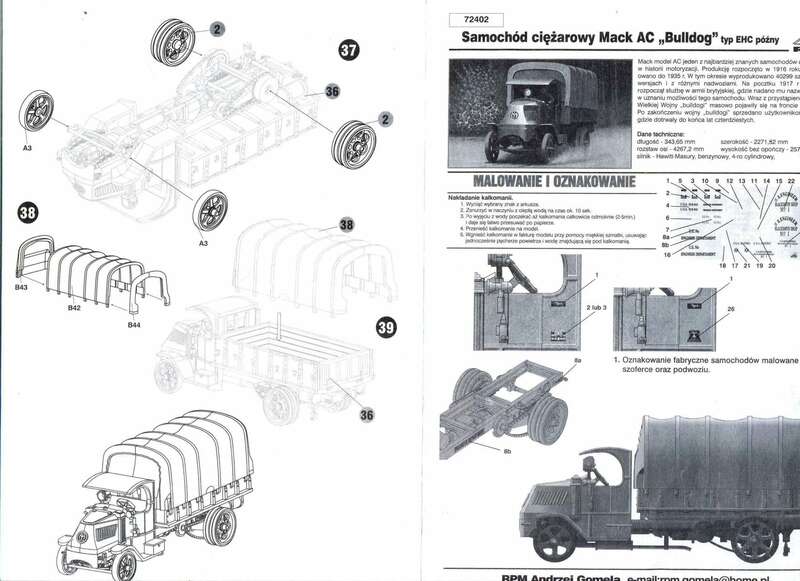 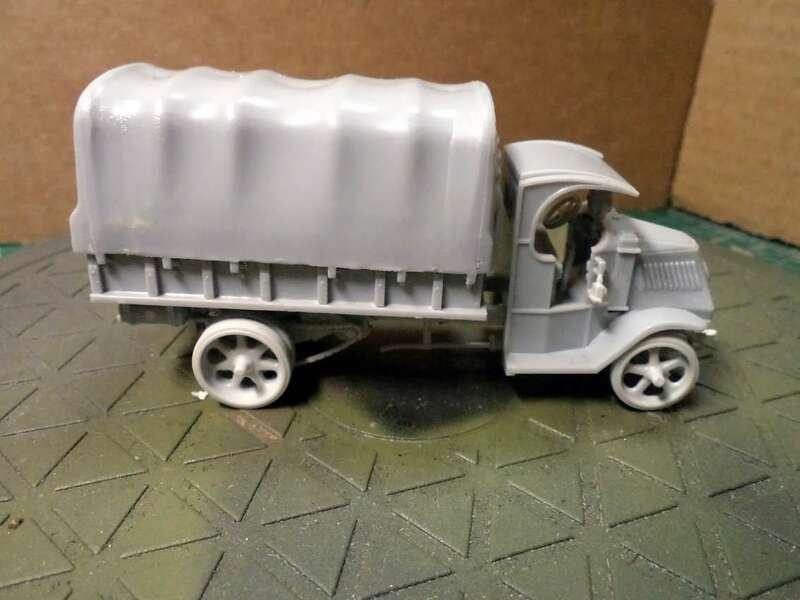 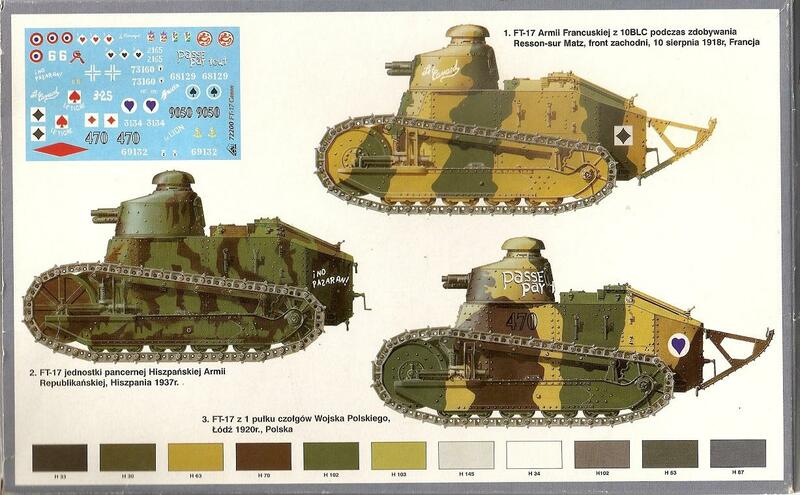 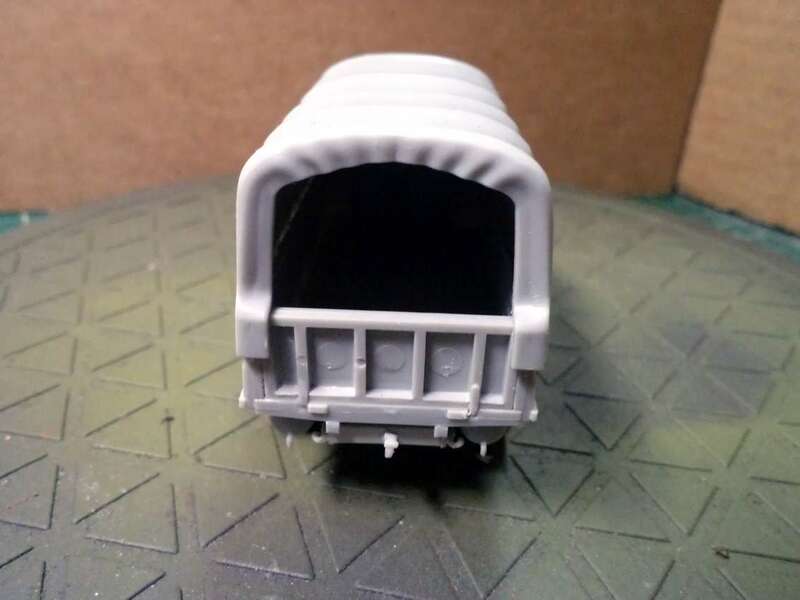 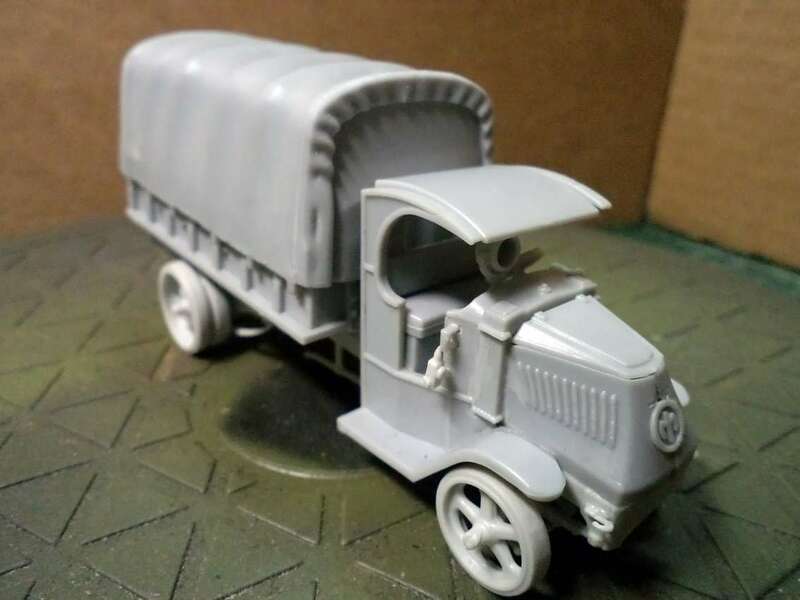 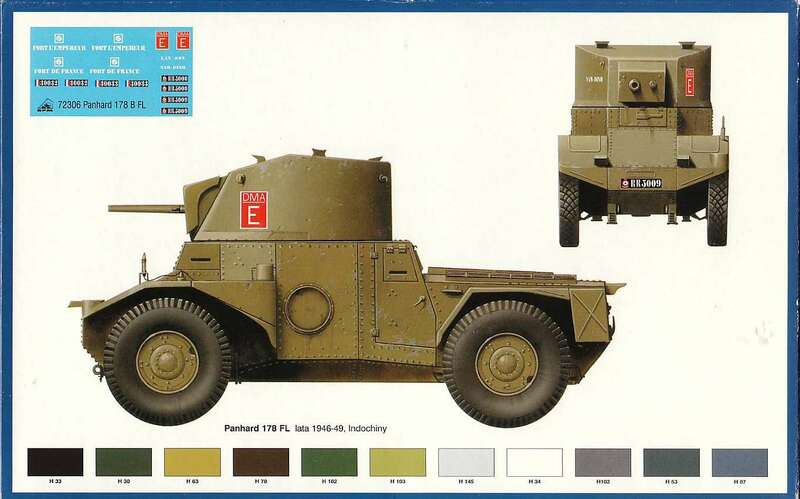 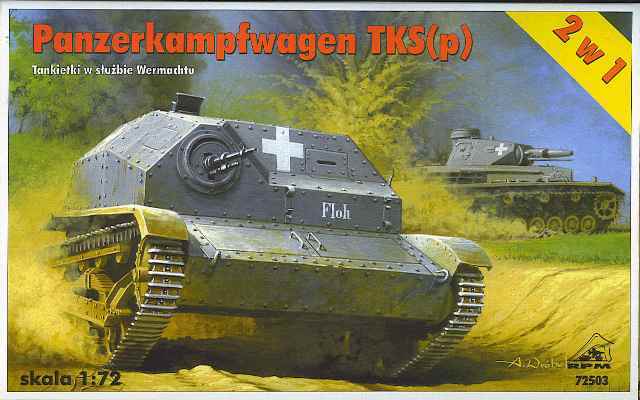 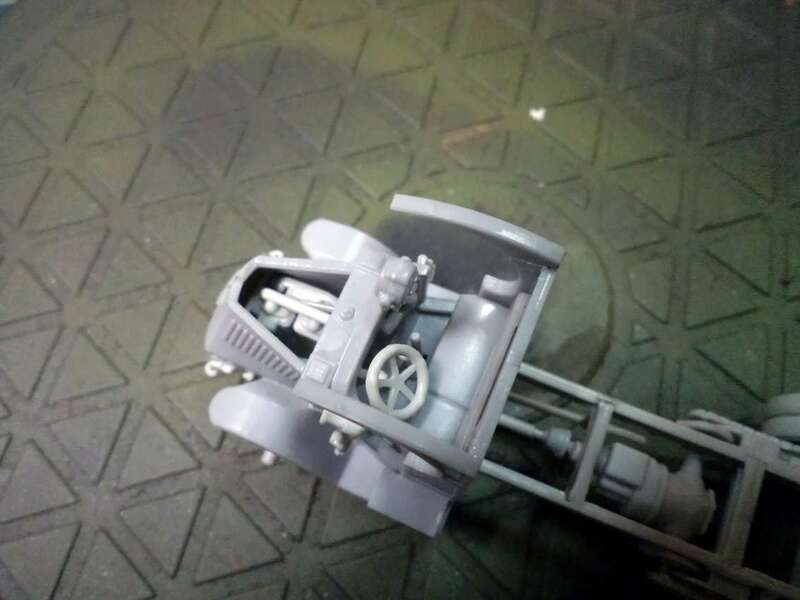 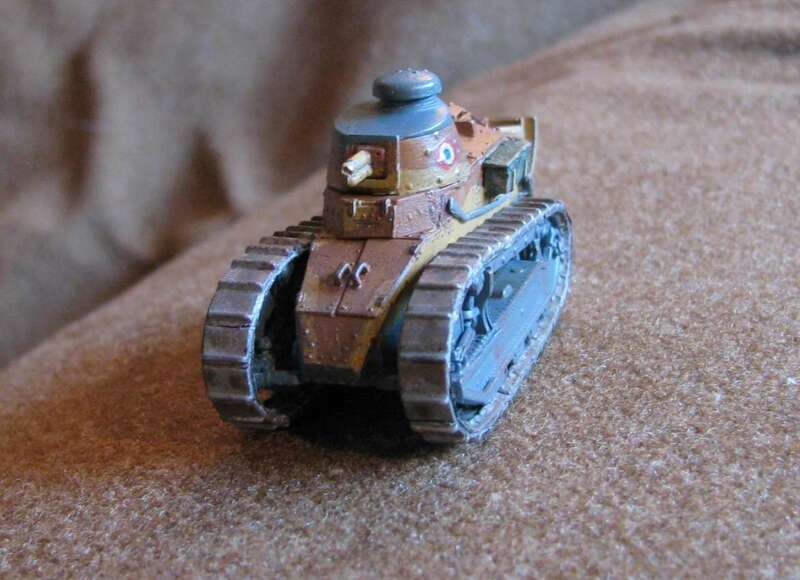 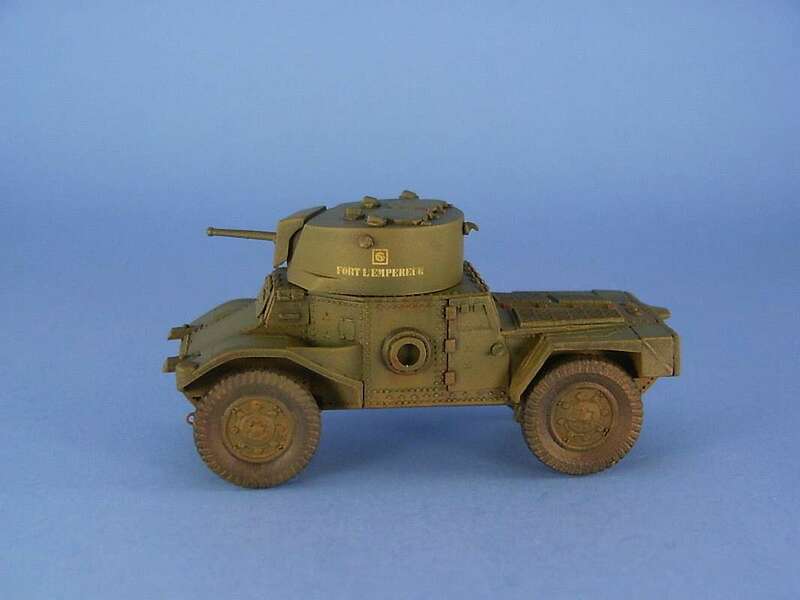 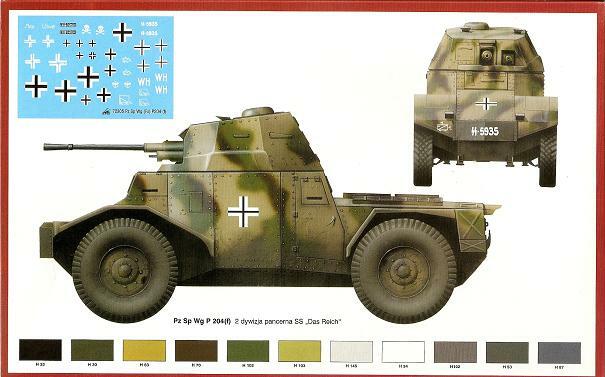 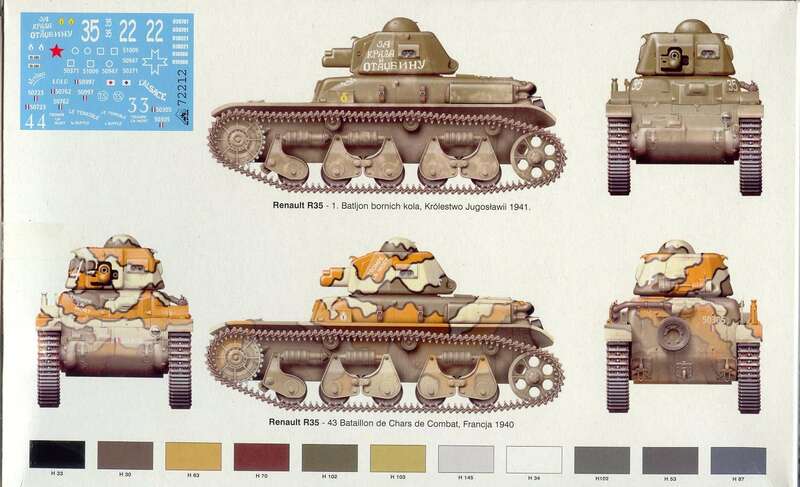 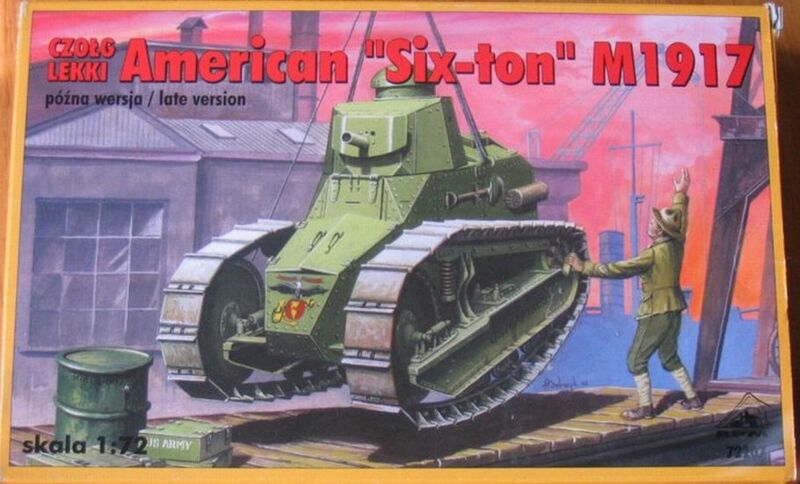 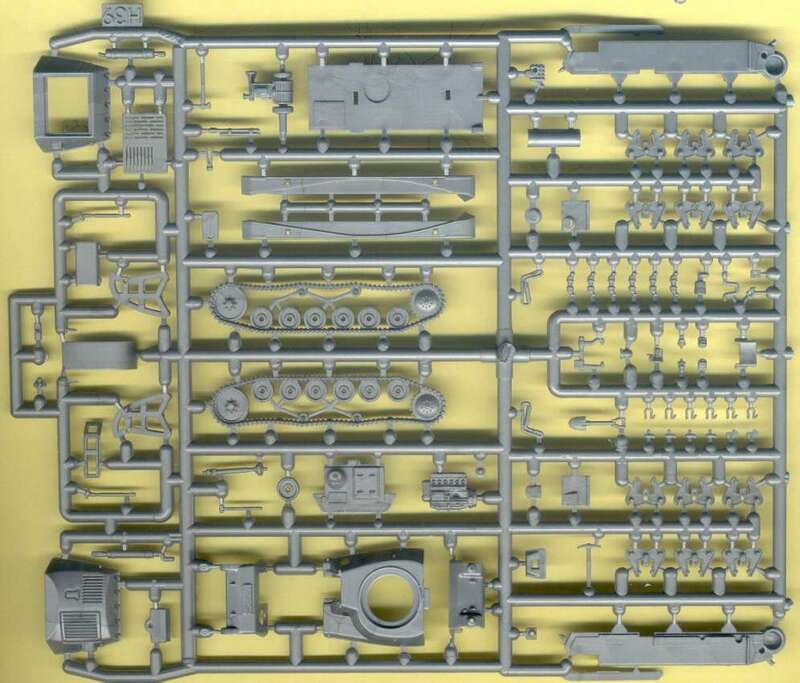 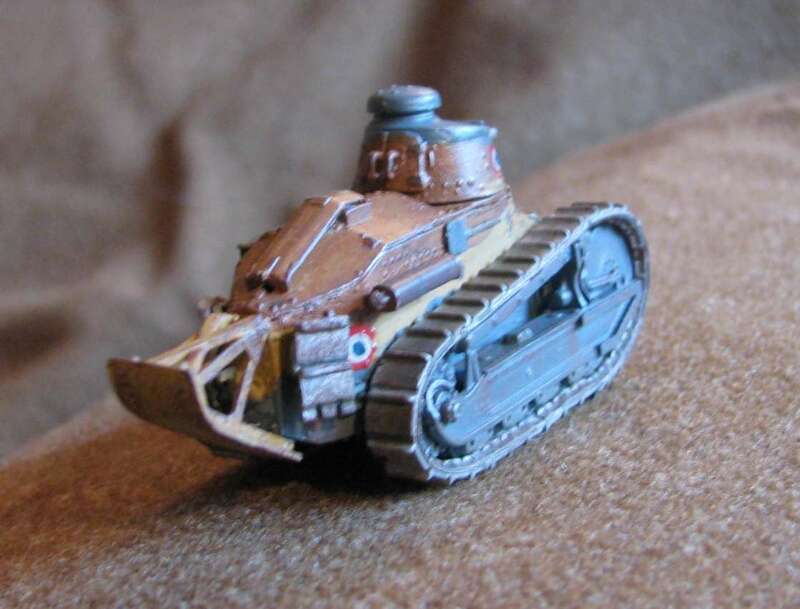 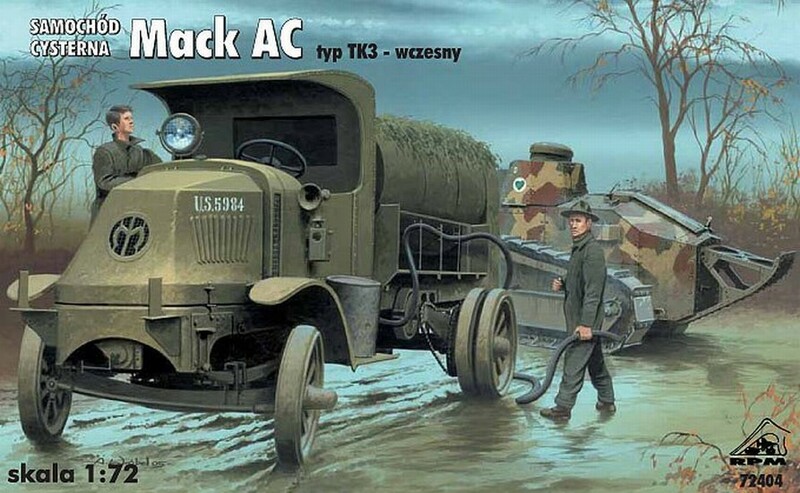 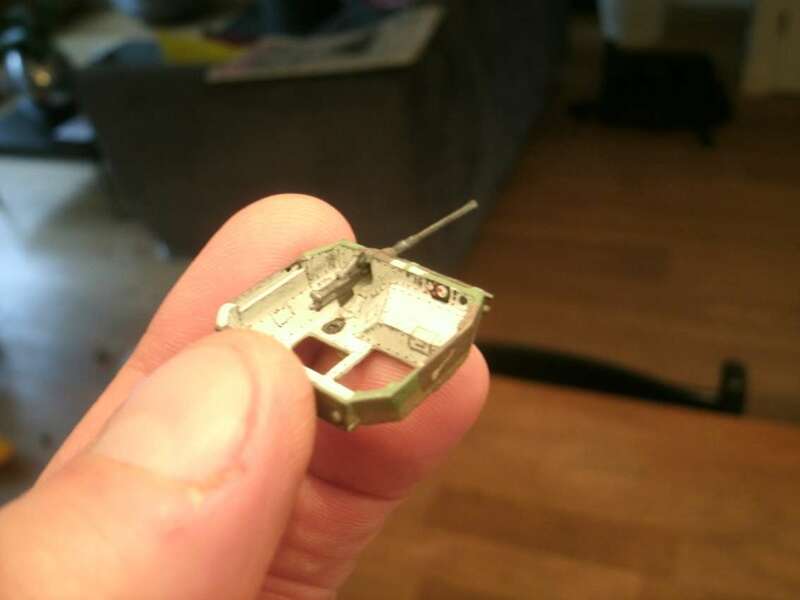 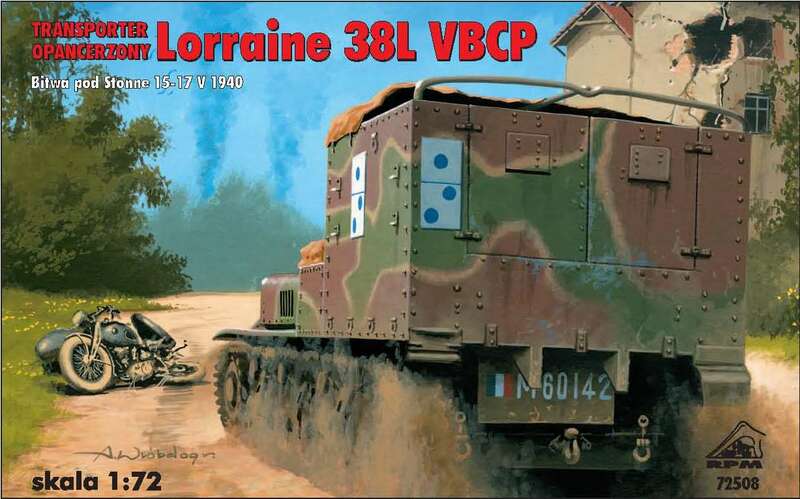 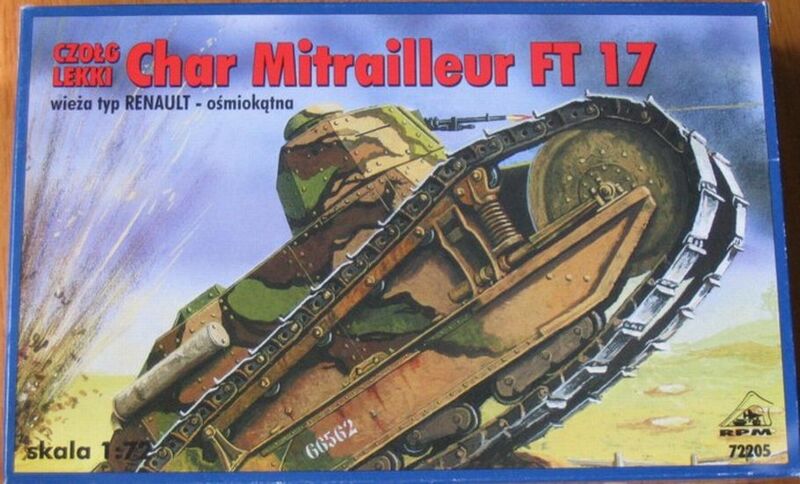 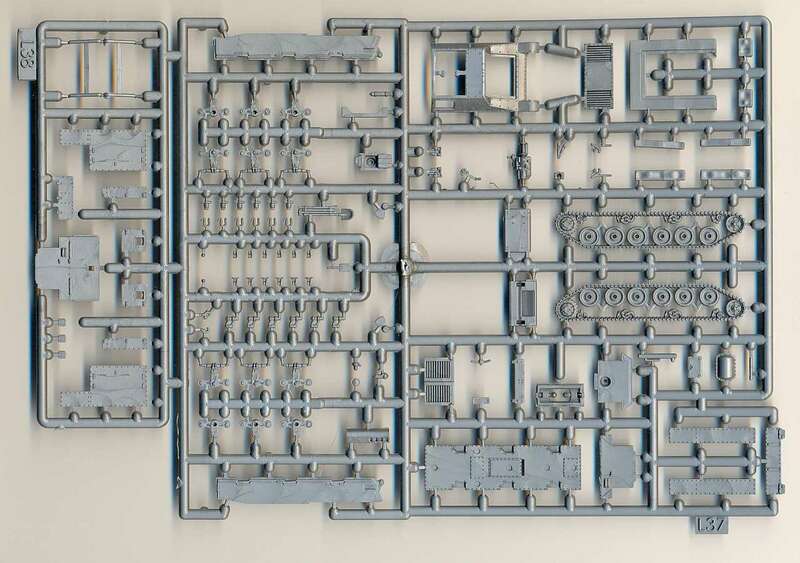 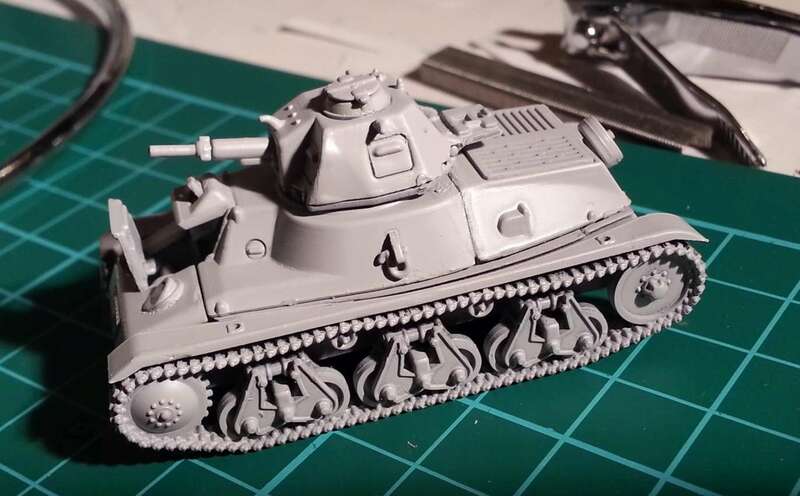 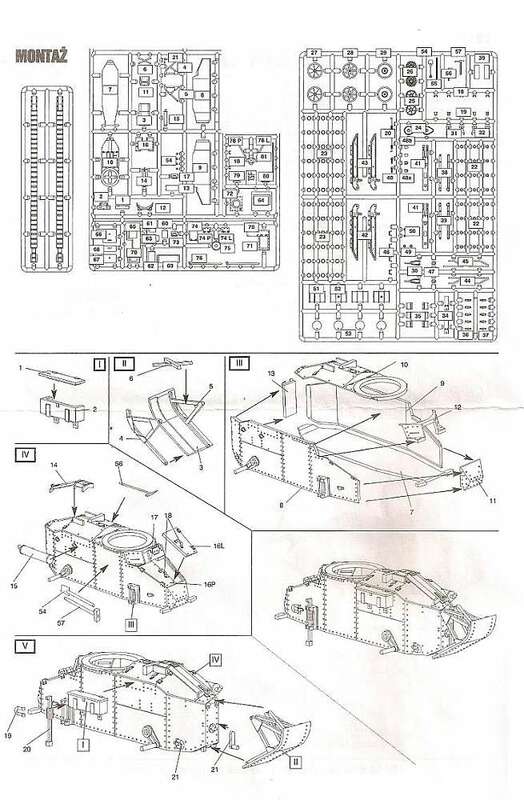 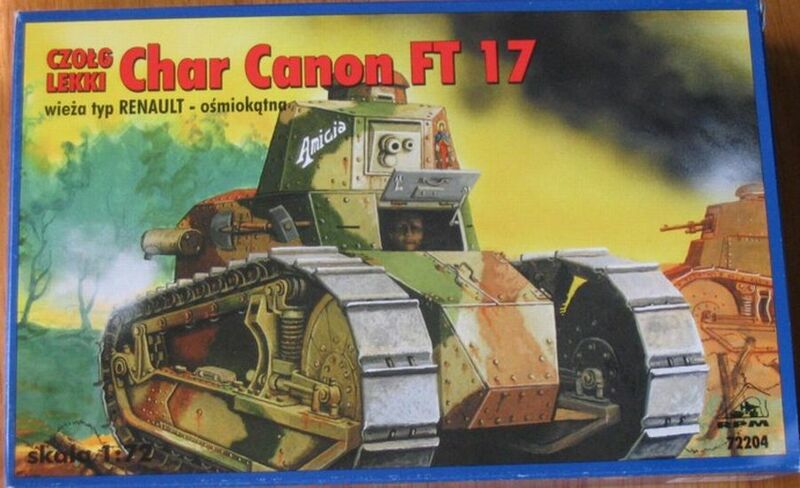 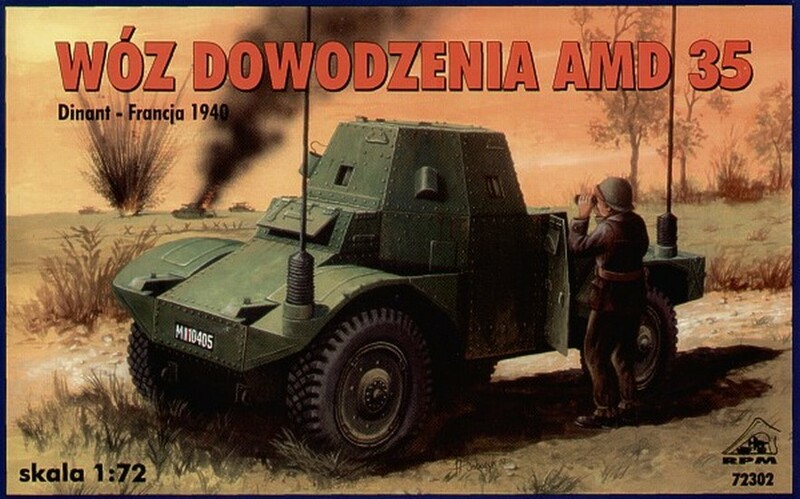 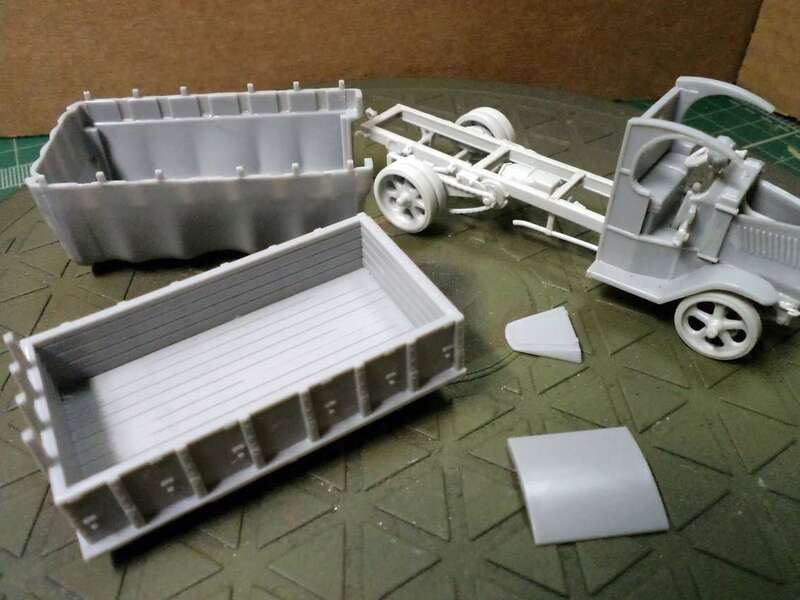 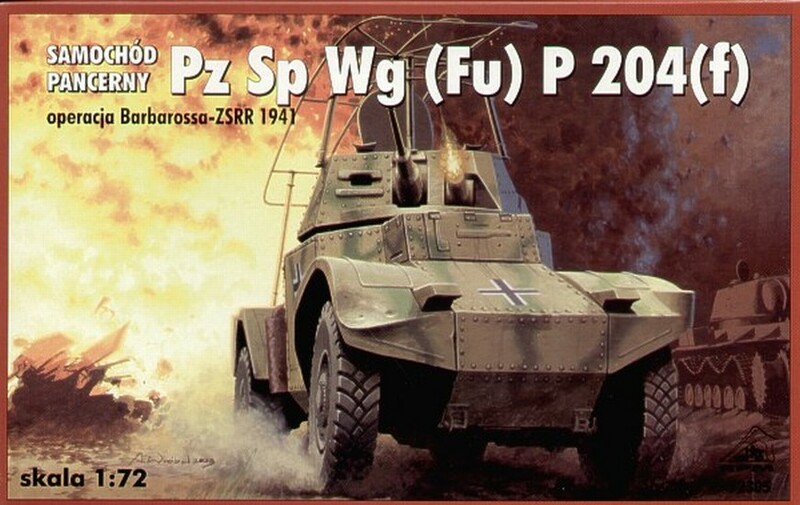 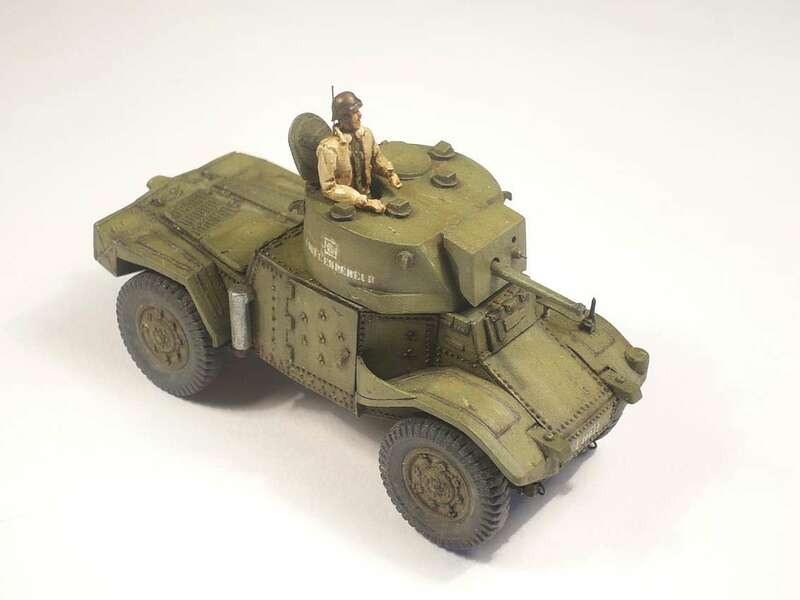 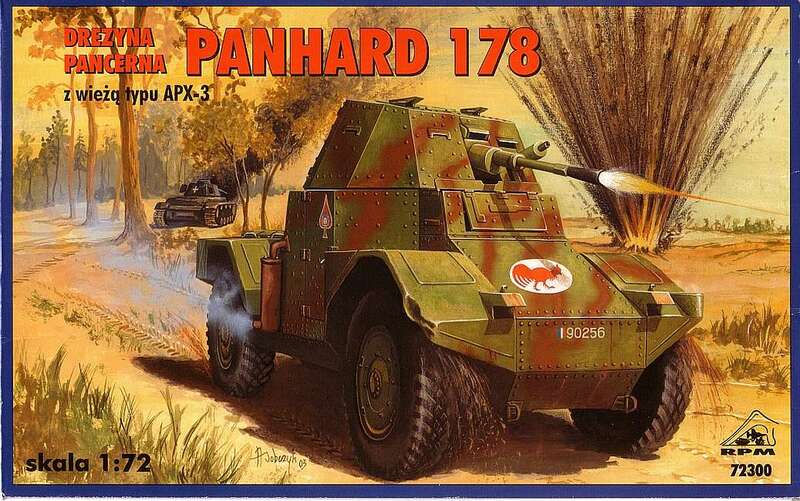 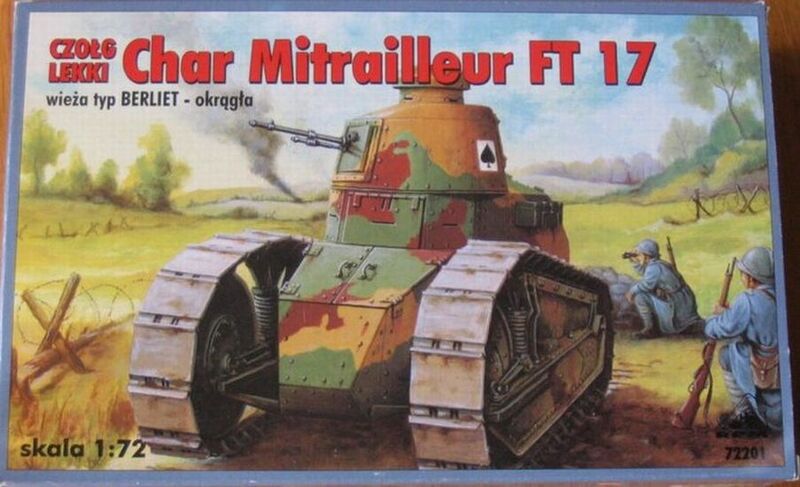 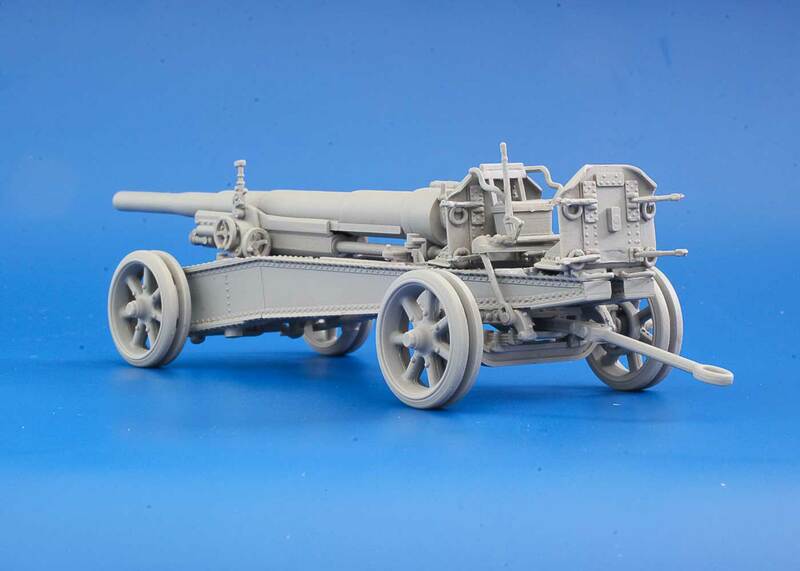 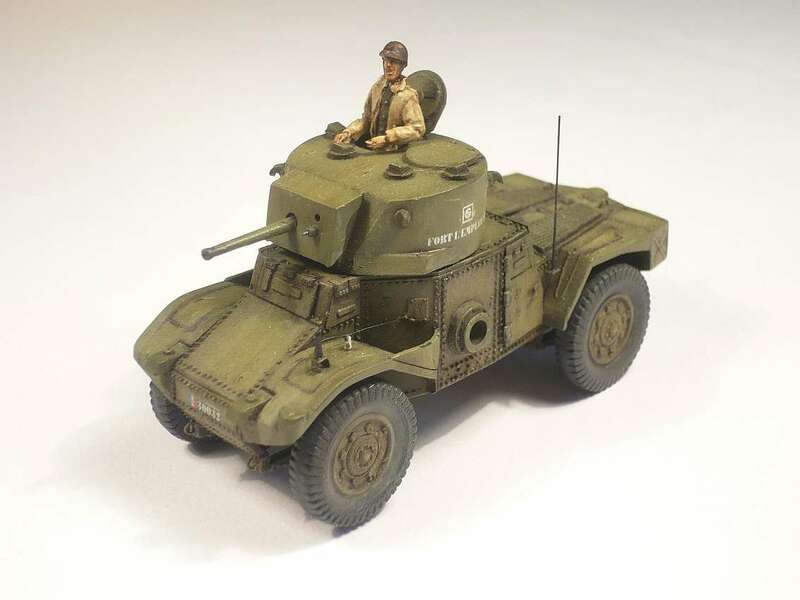 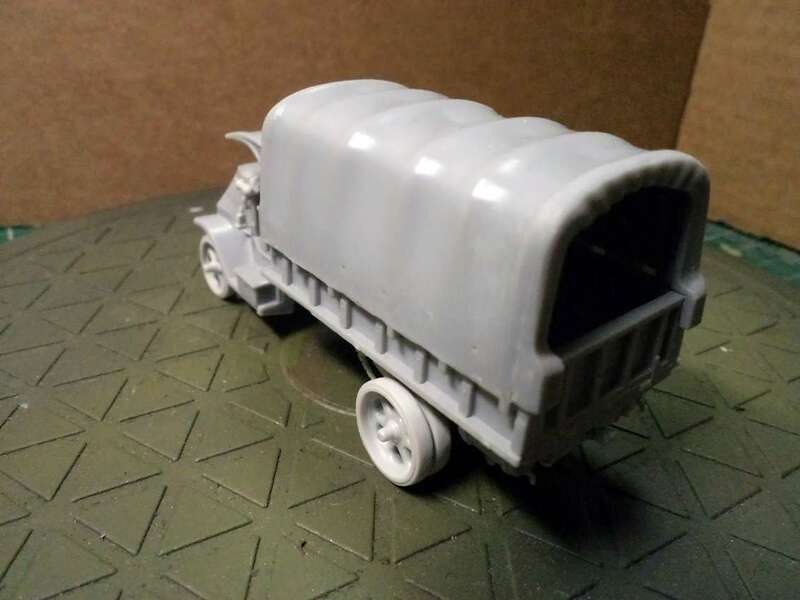 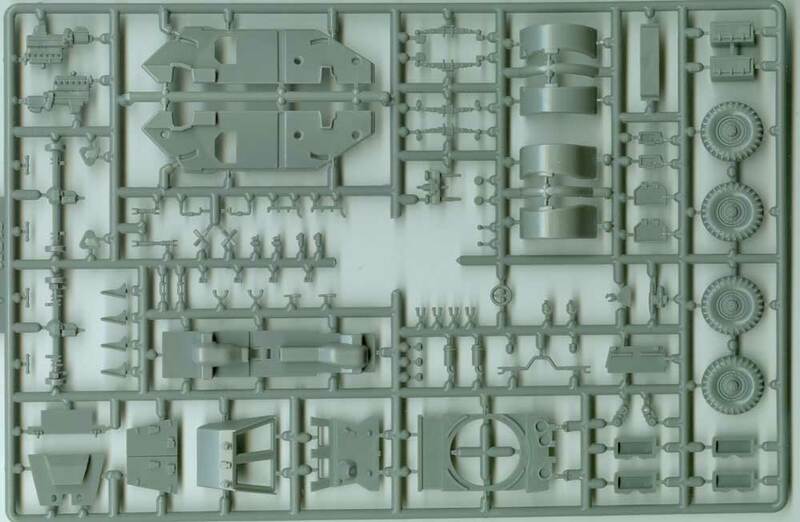 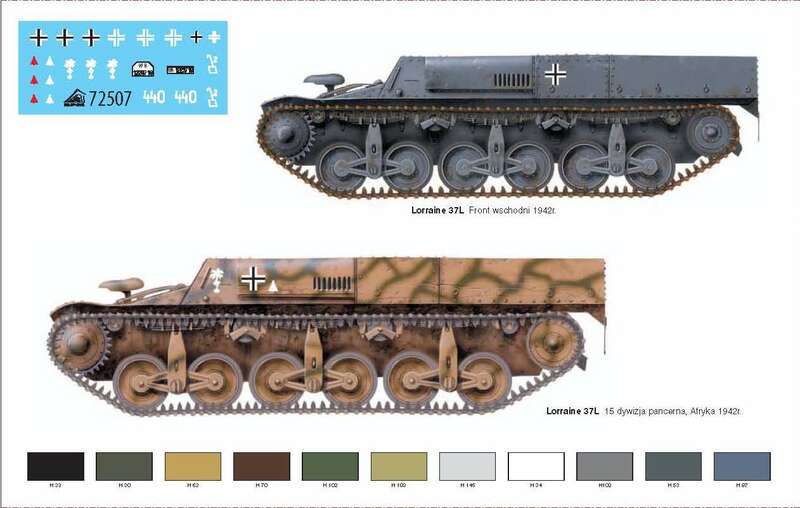 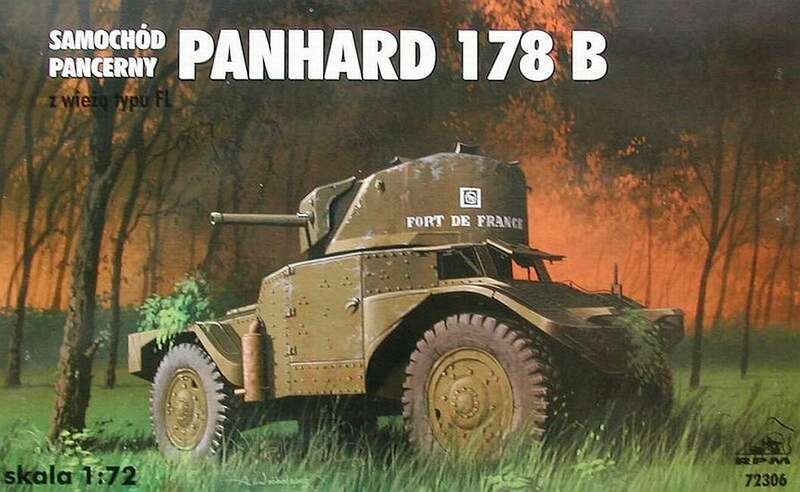 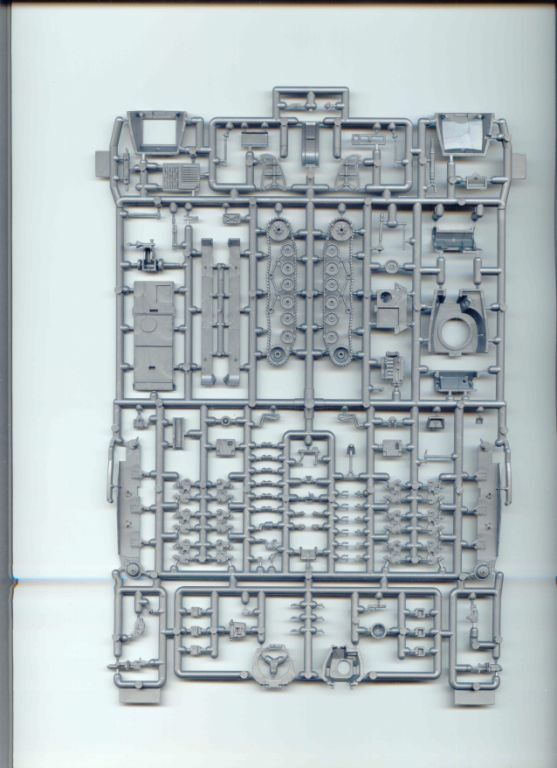 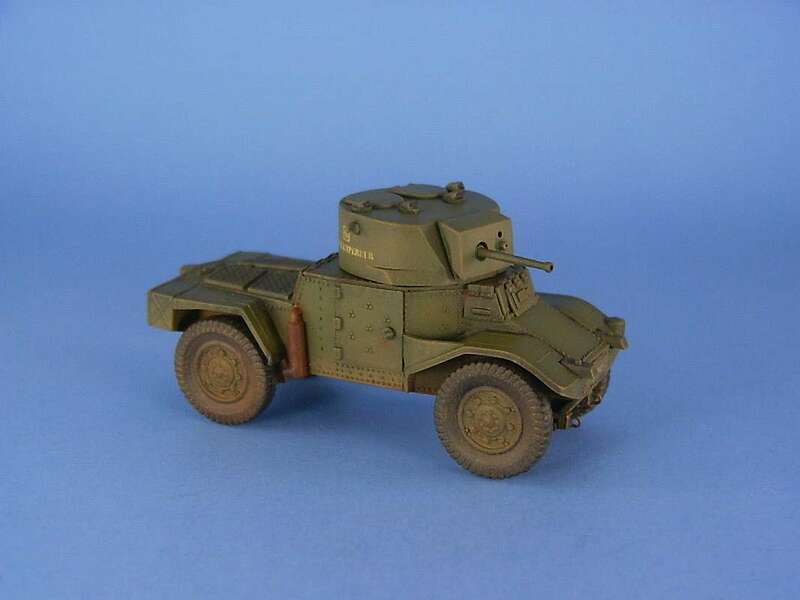 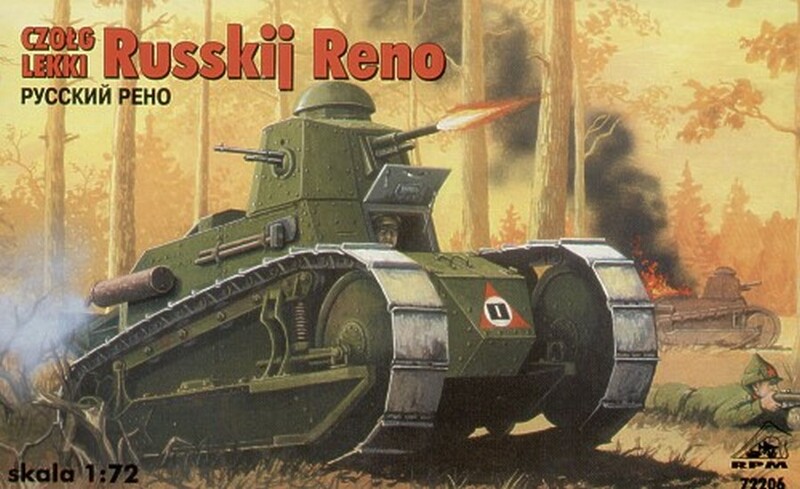 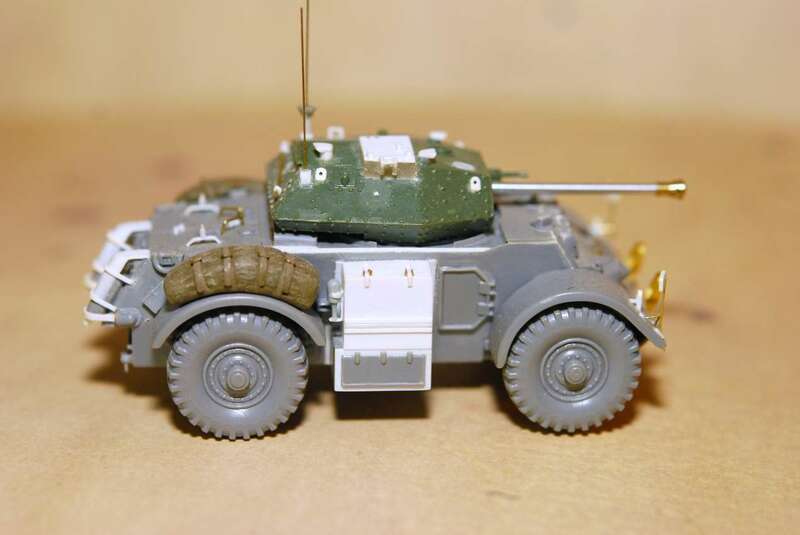 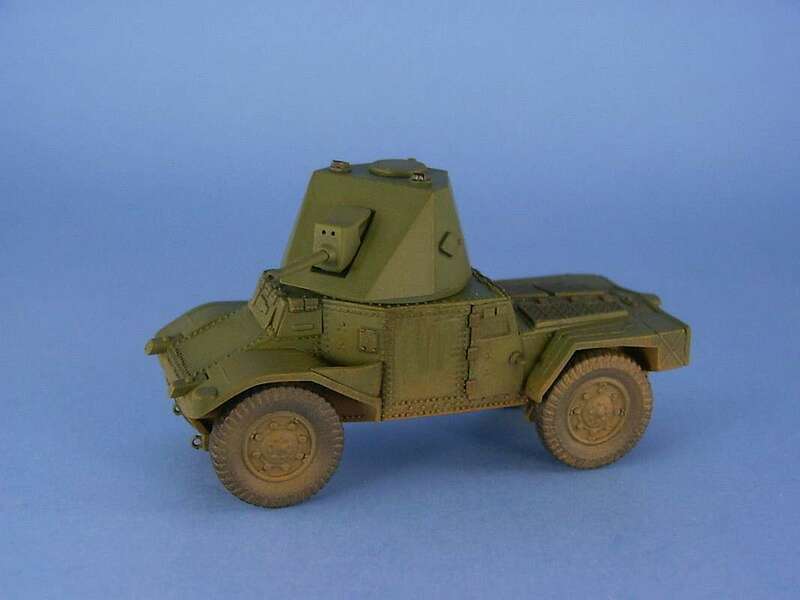 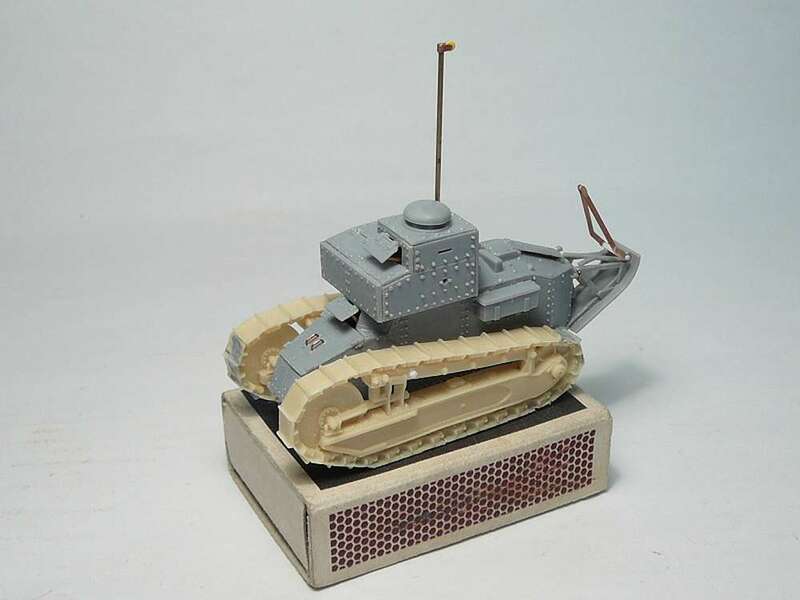 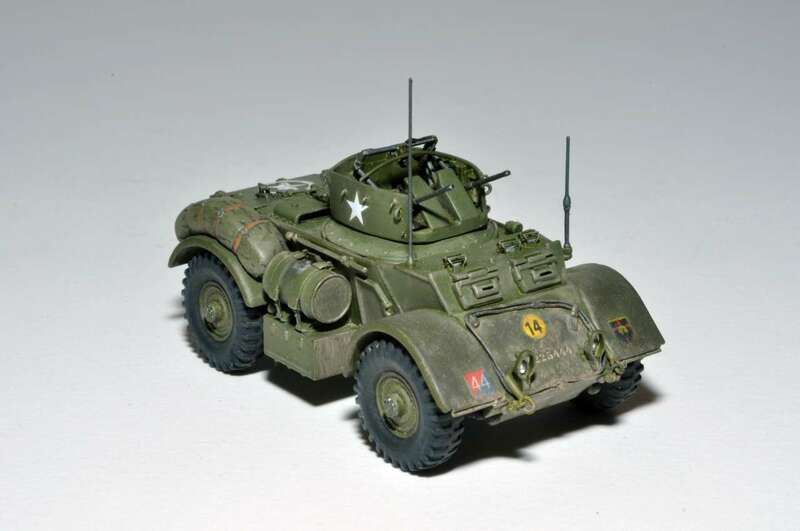 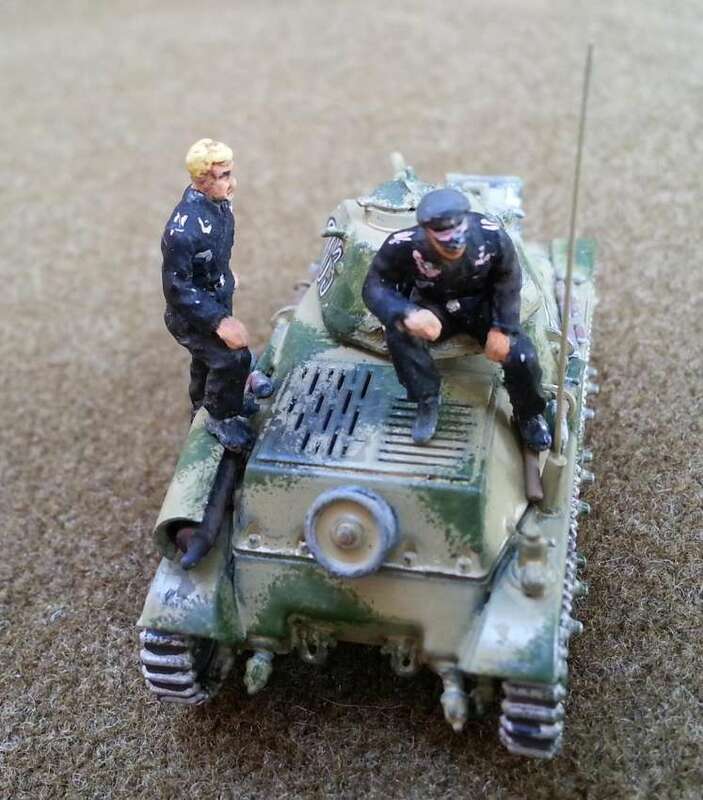 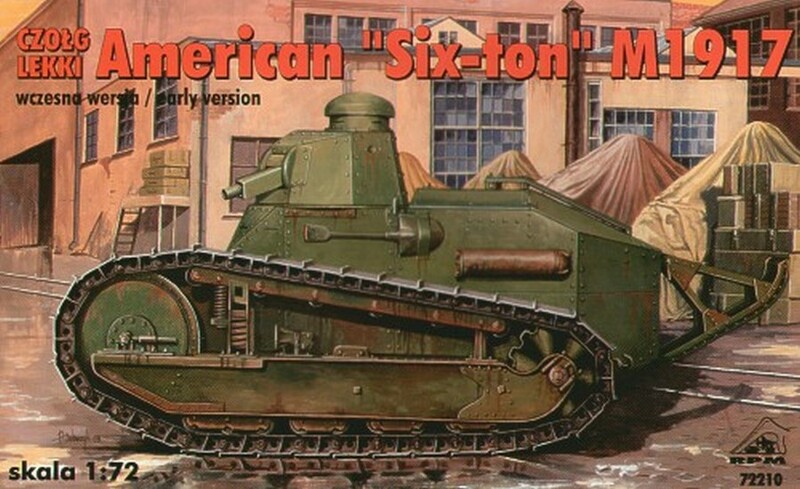 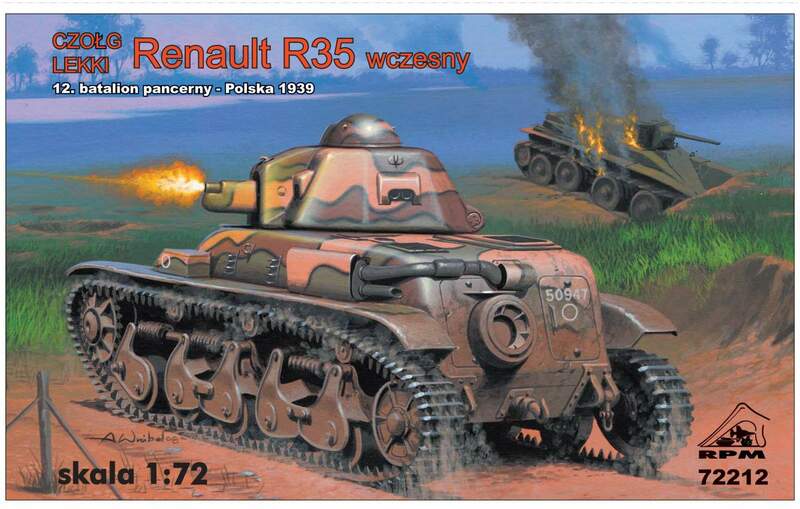 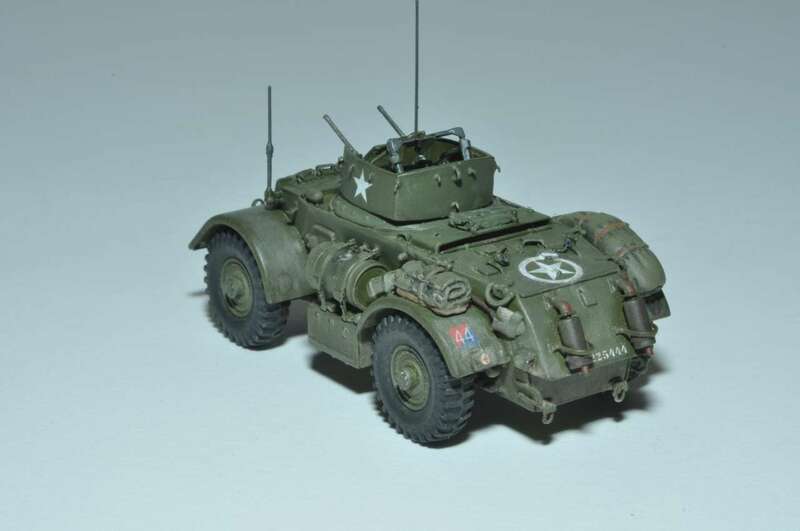 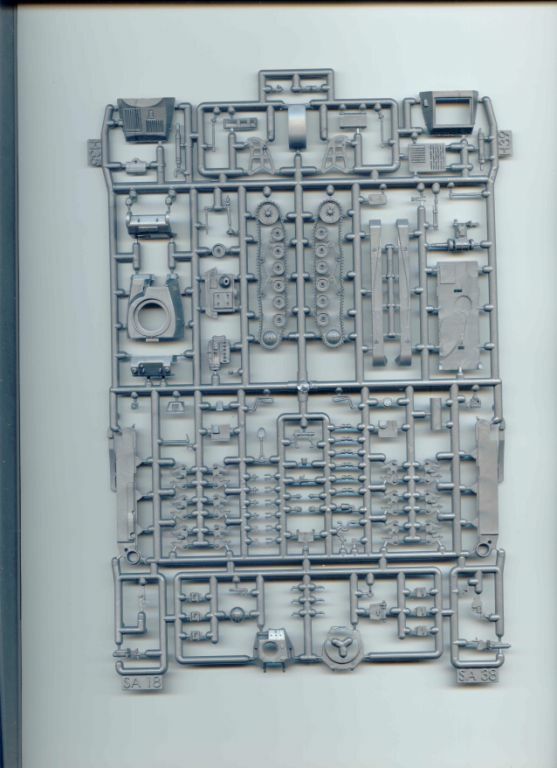 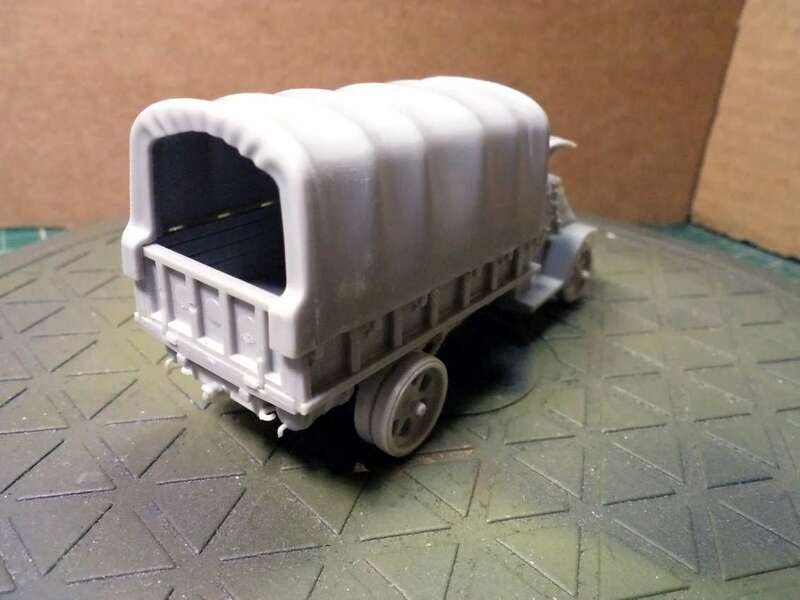 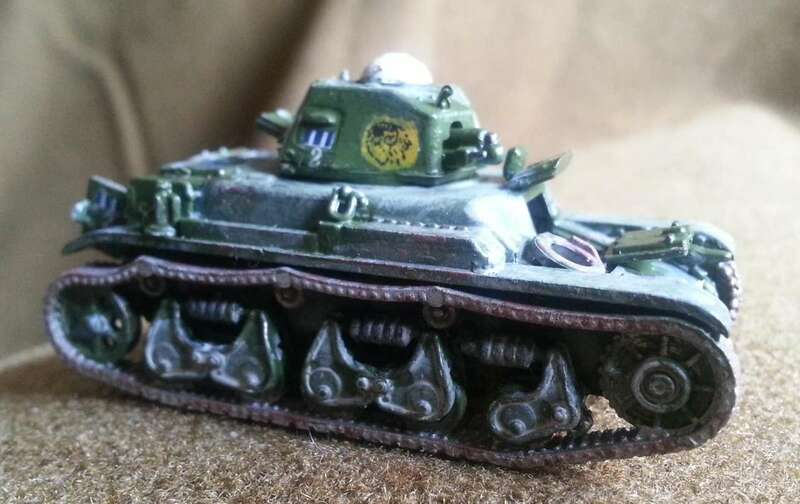 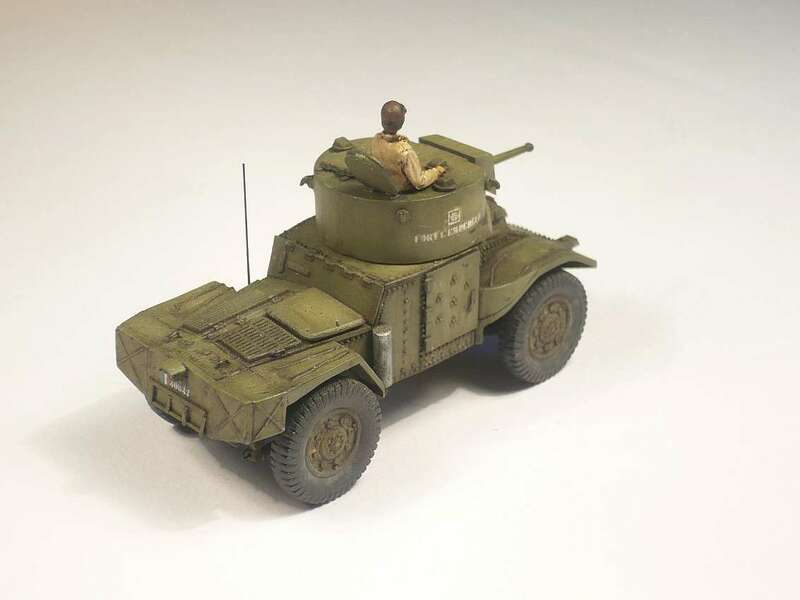 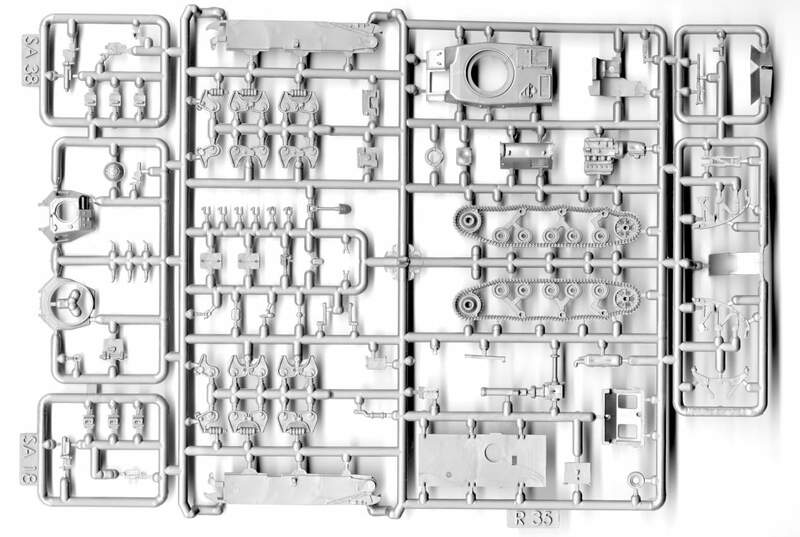 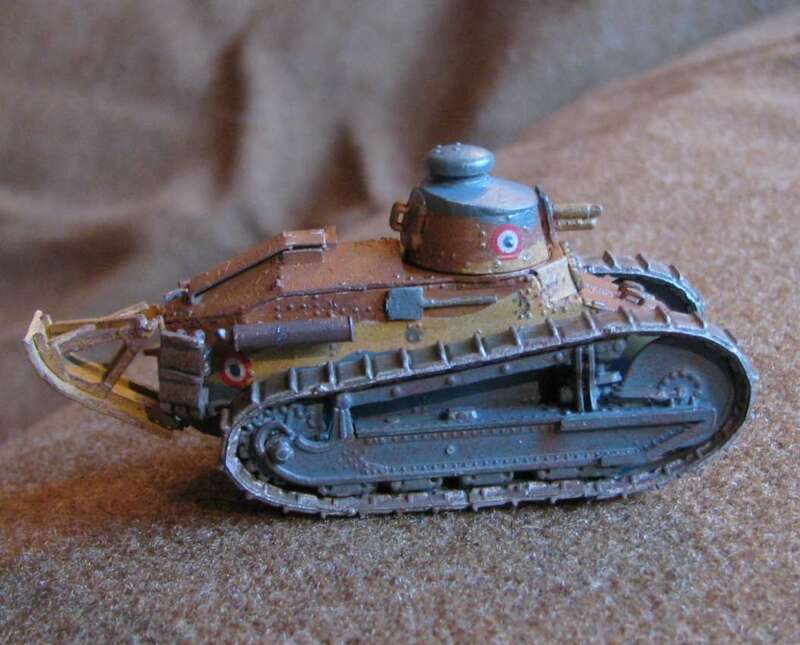 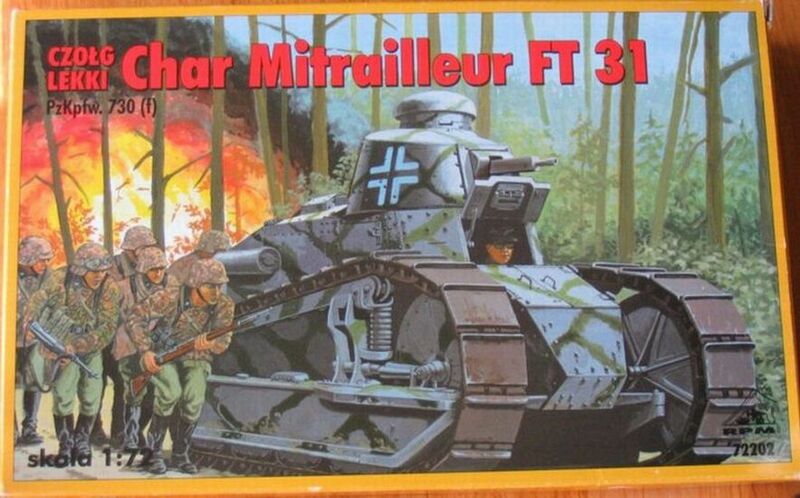 Based on RPM's Ford Tc armoured car, this kit has just two sprues of 51 finely moulded parts, plus a small decal sheet with markings as per the box top. 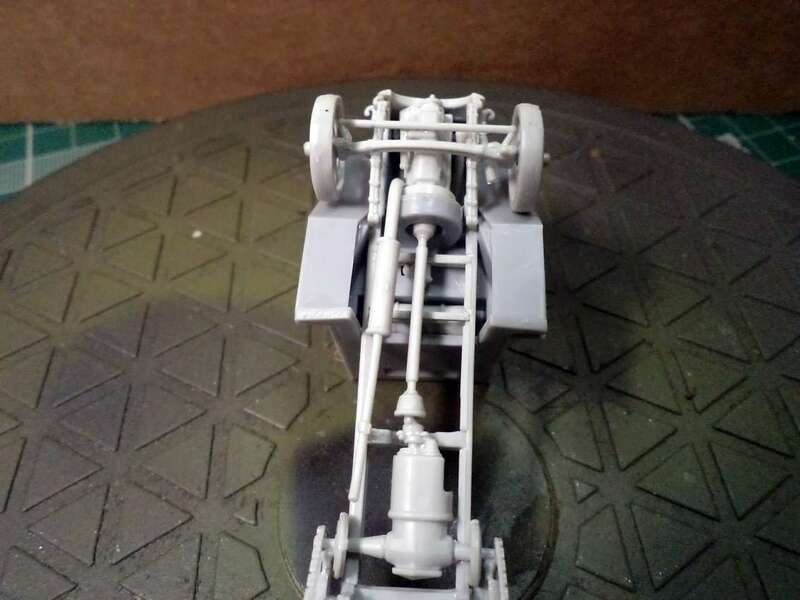 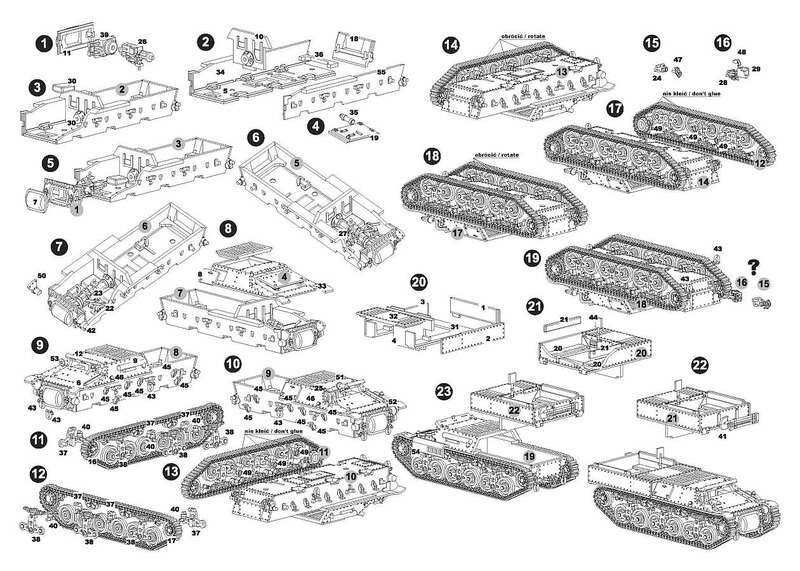 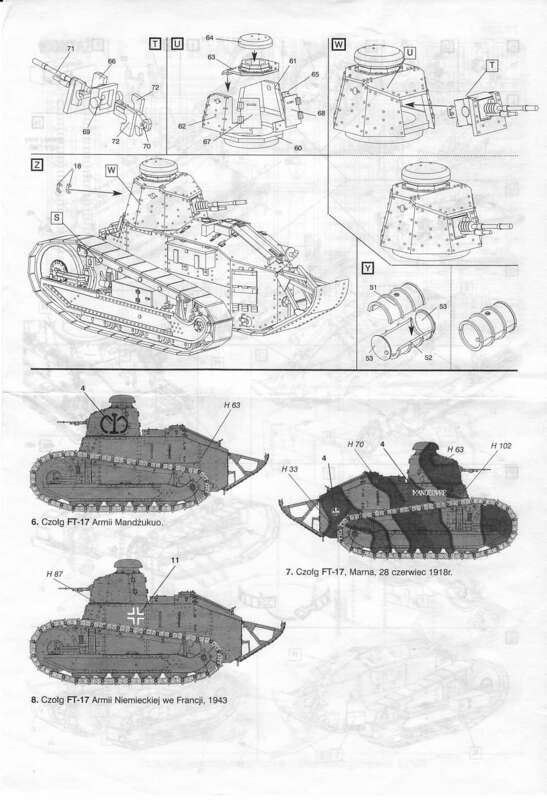 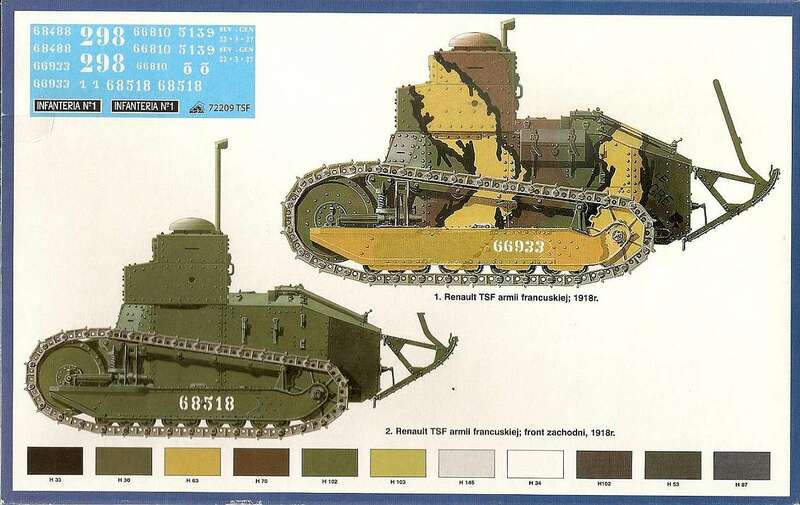 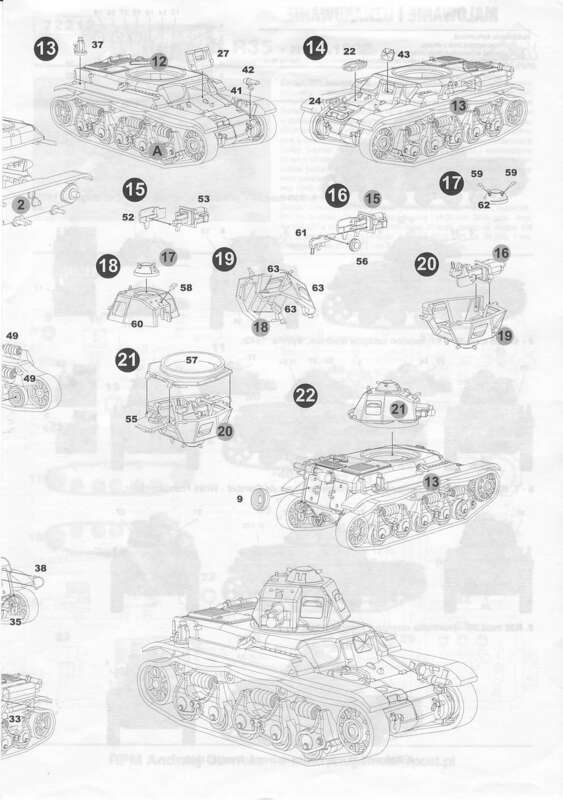 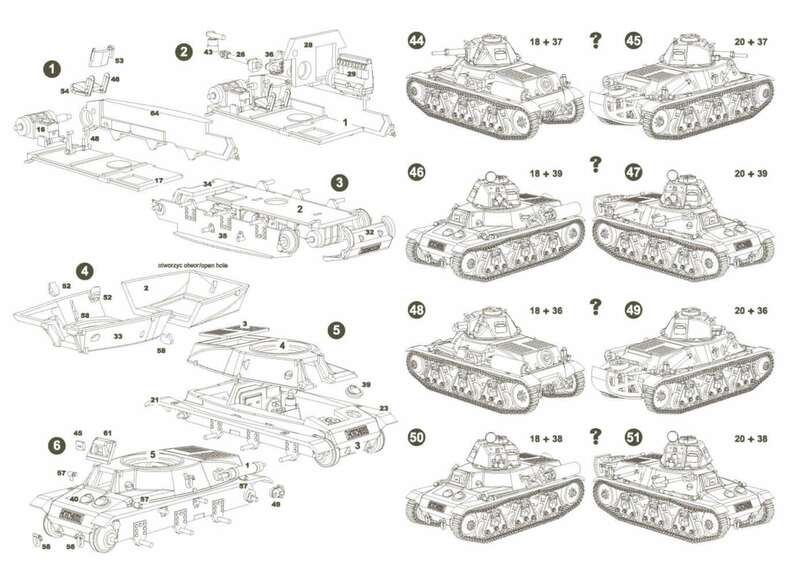 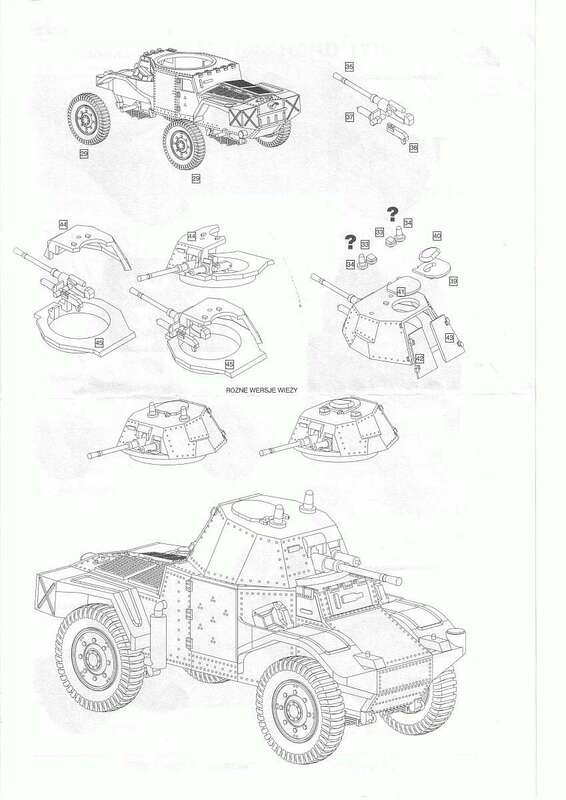 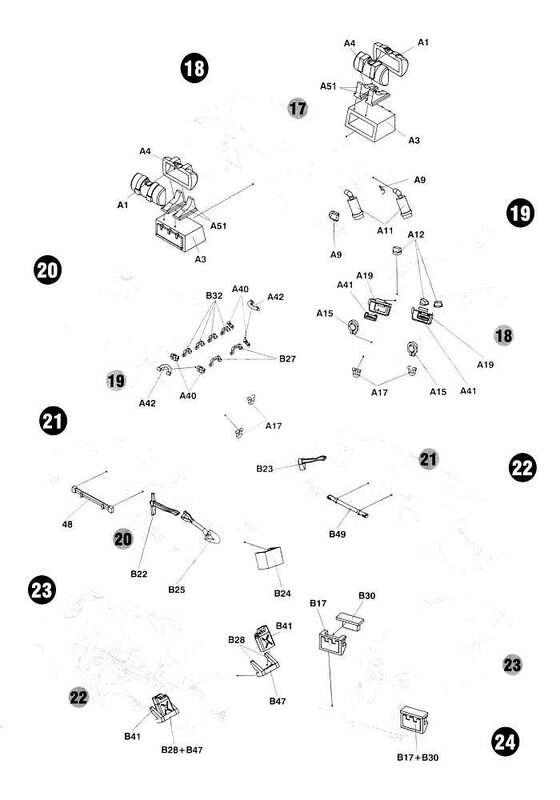 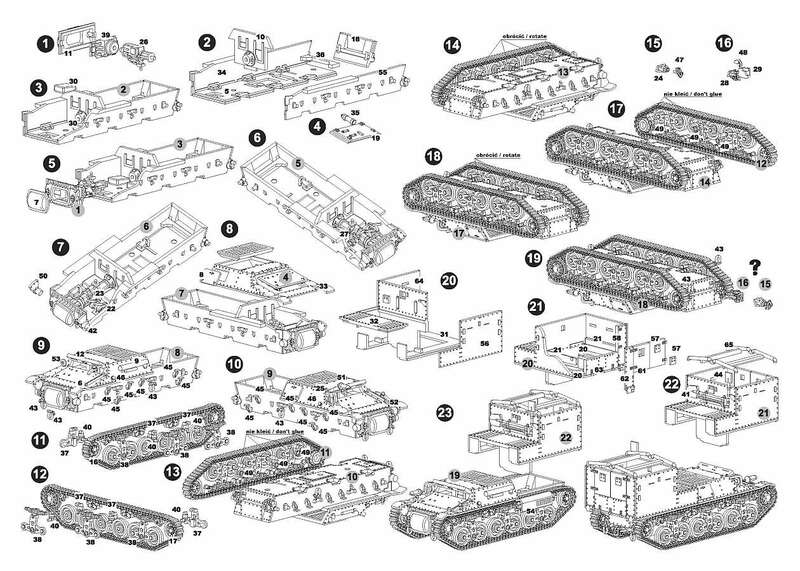 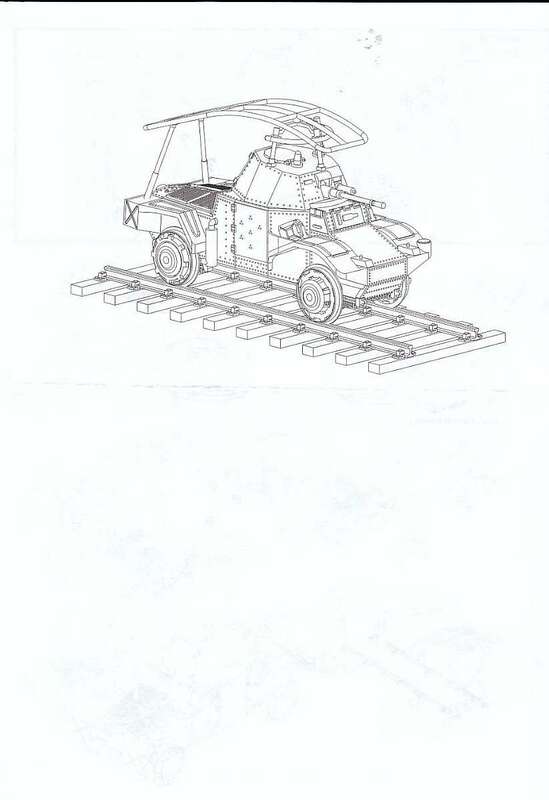 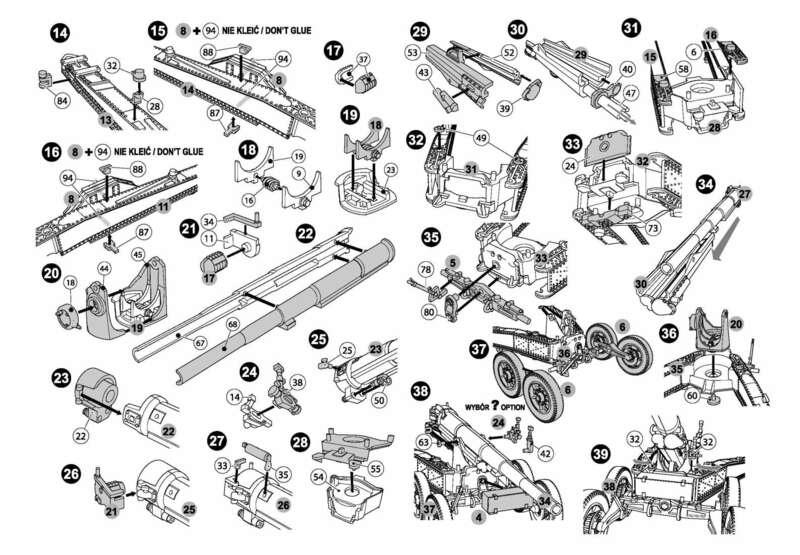 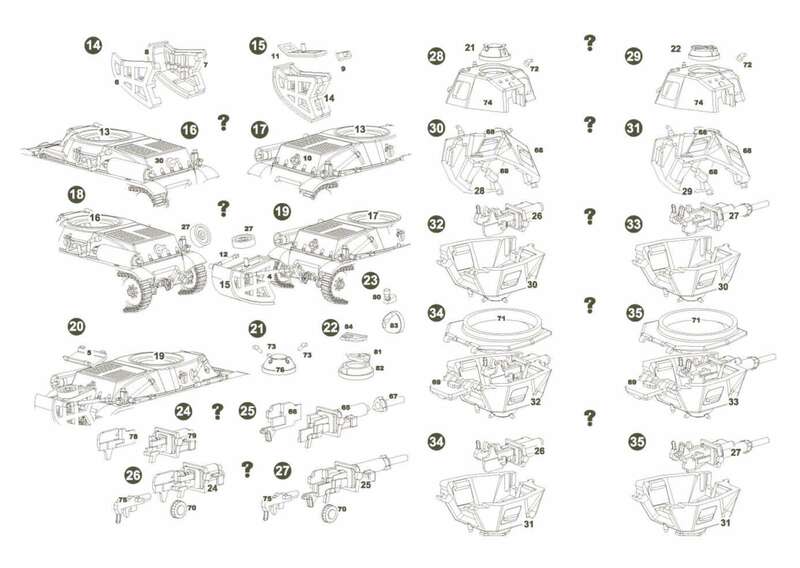 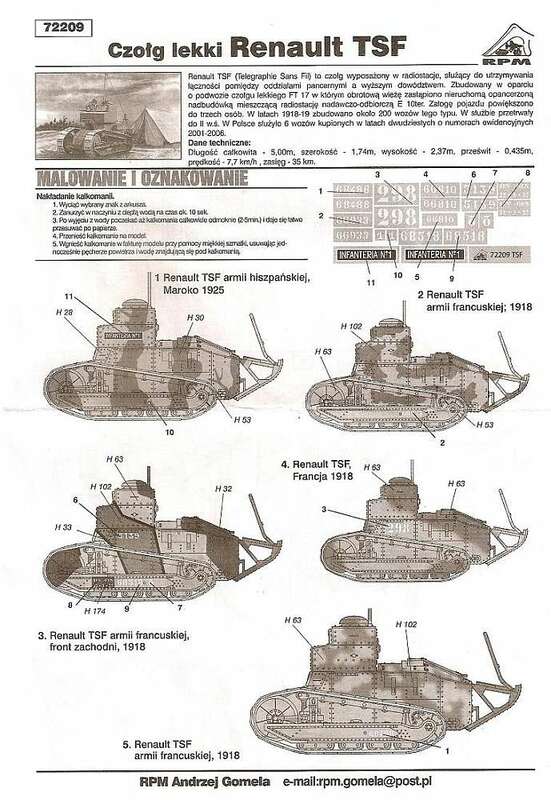 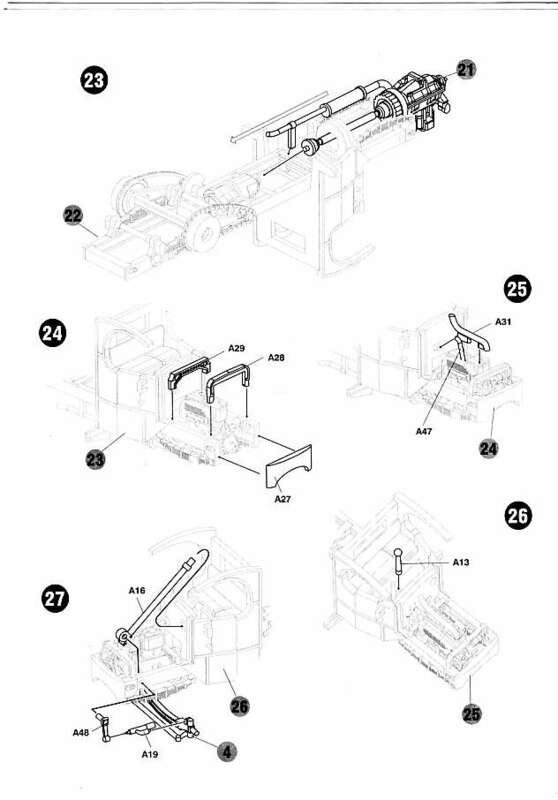 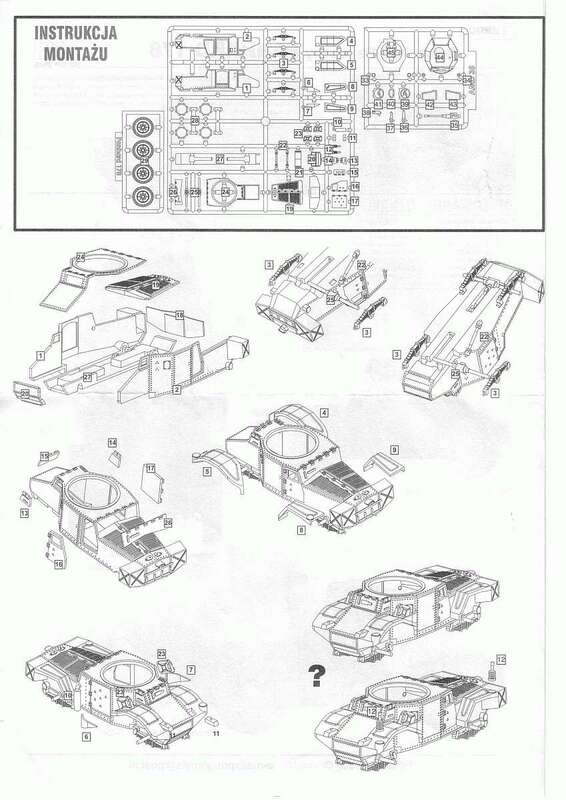 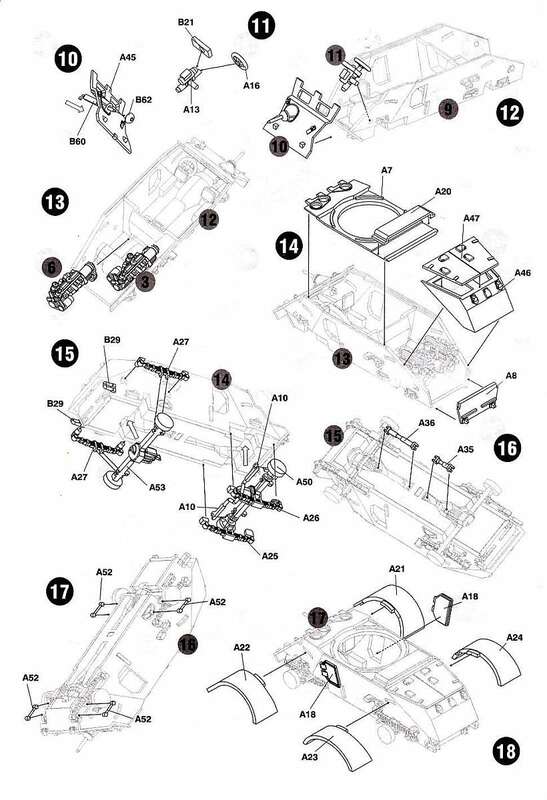 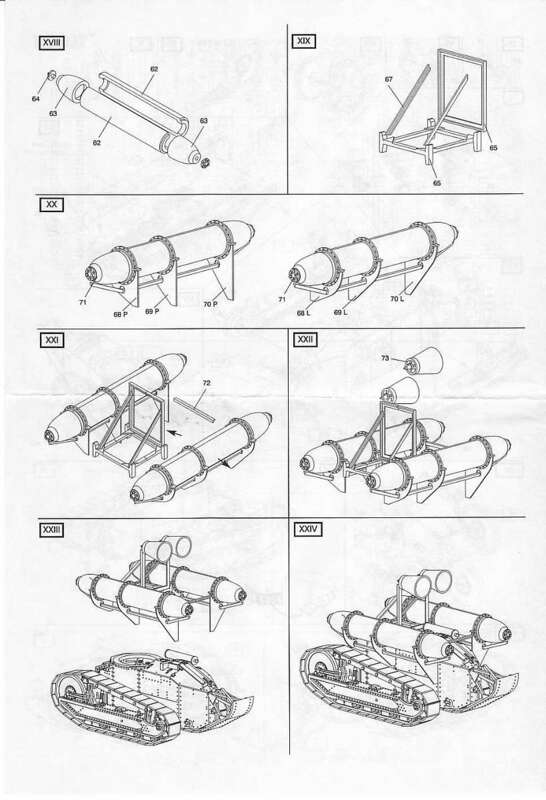 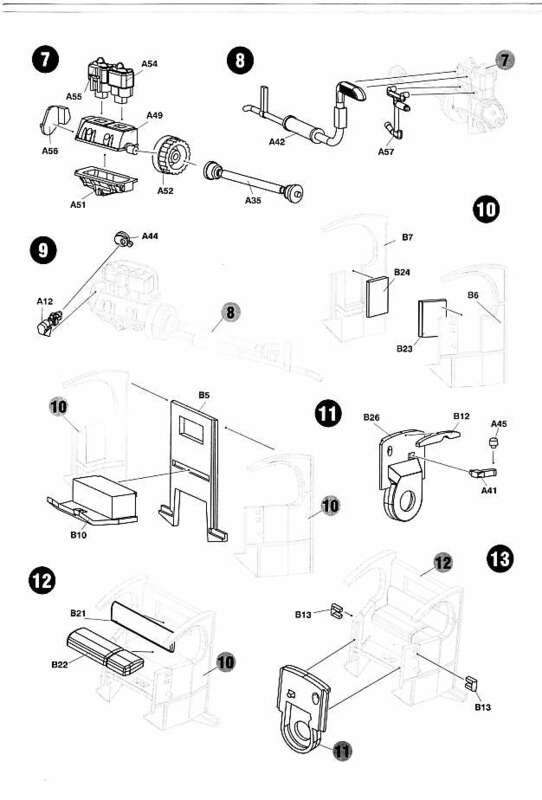 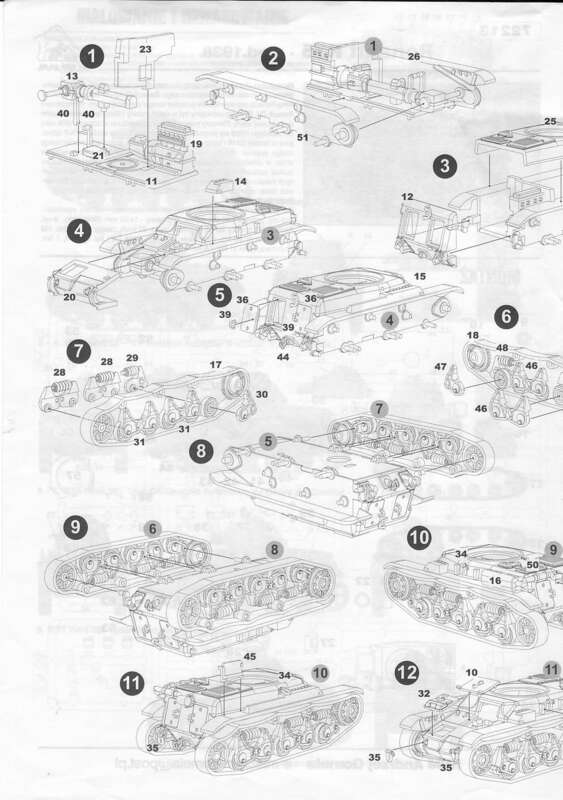 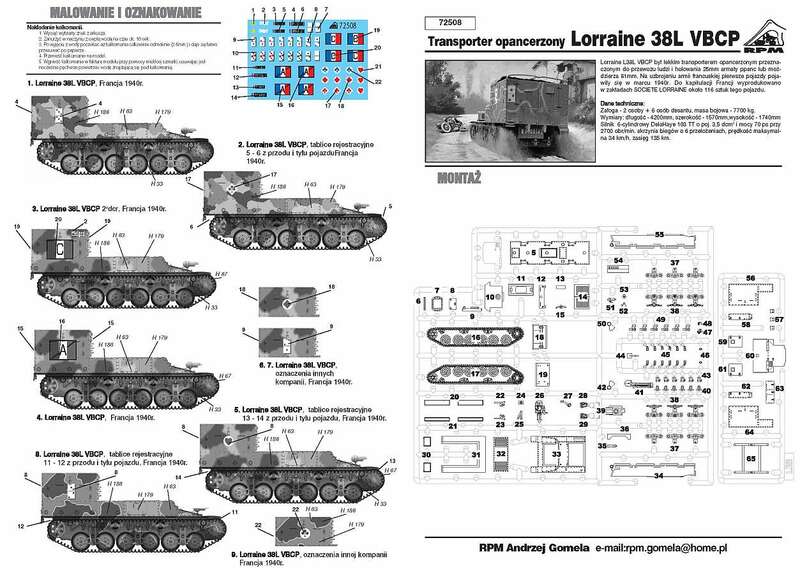 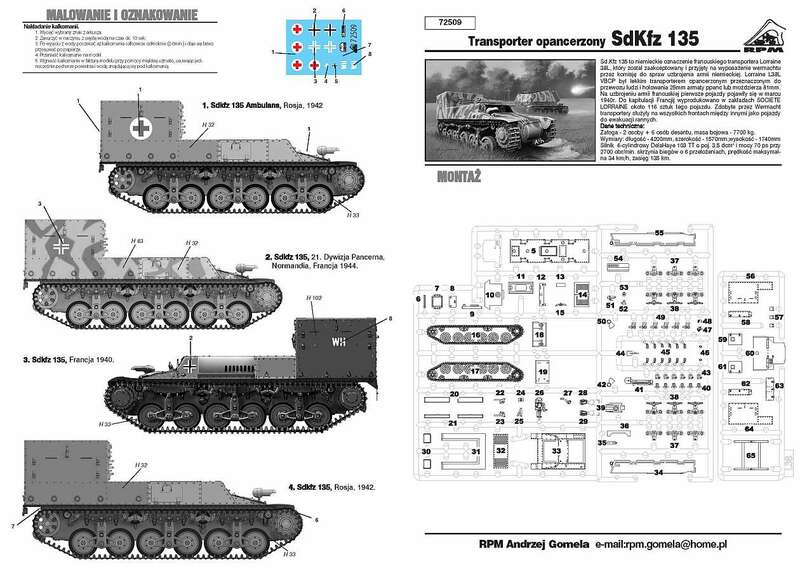 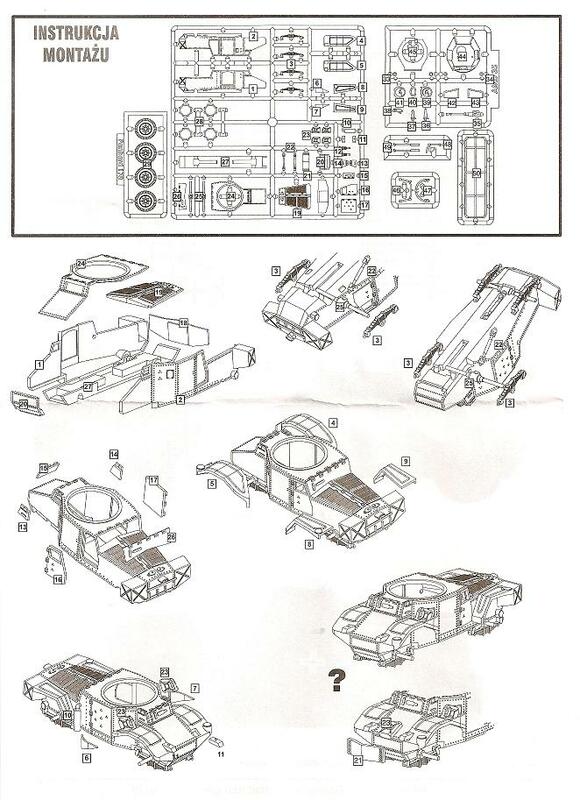 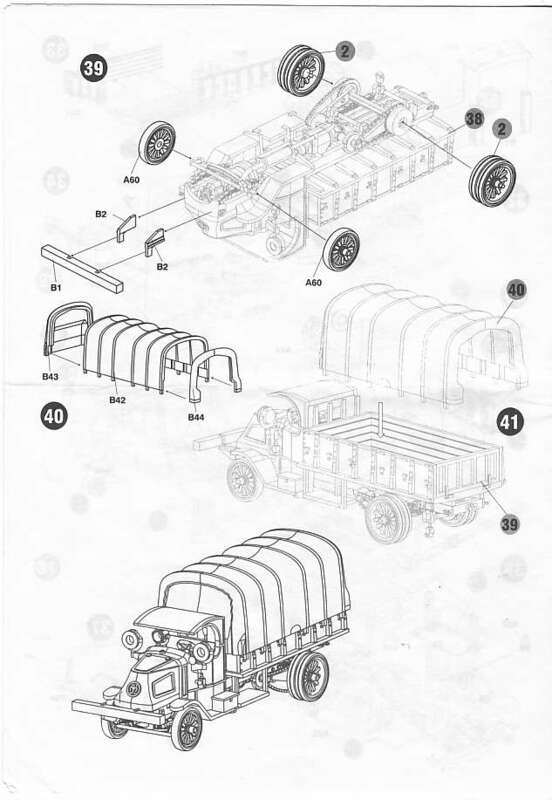 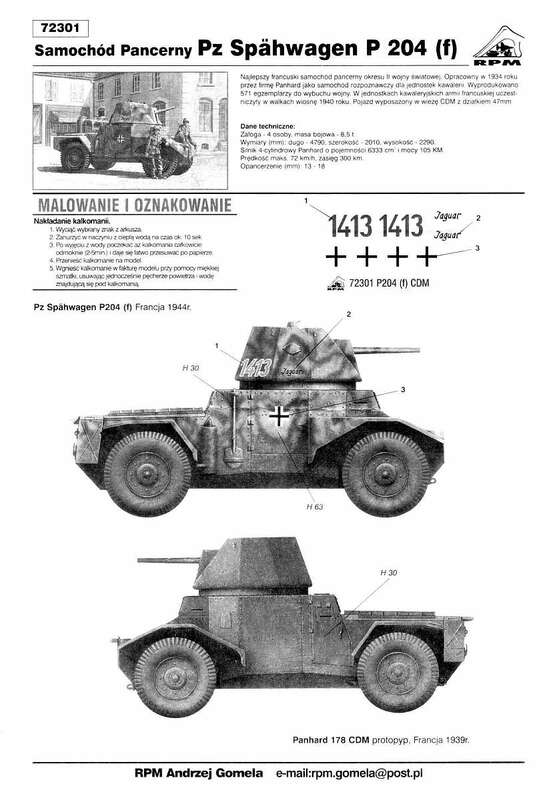 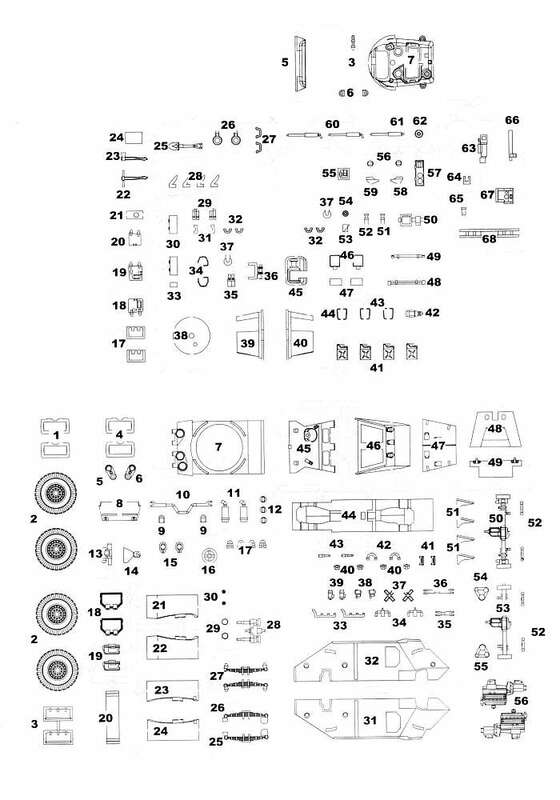 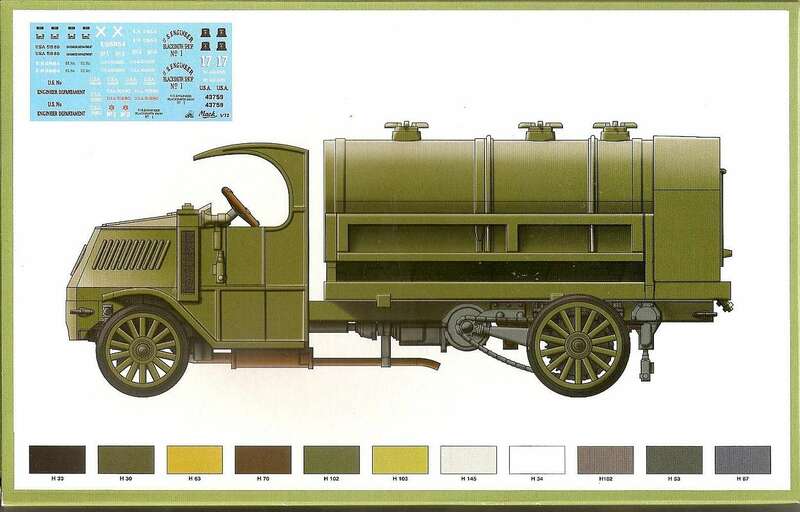 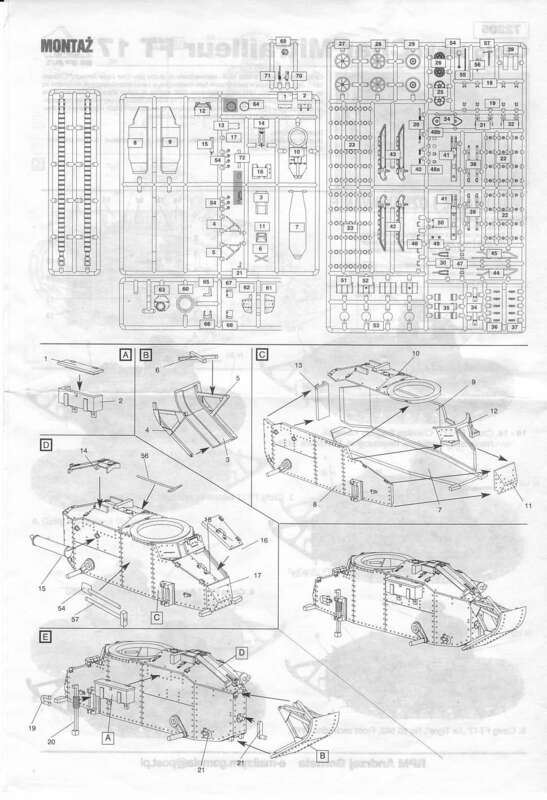 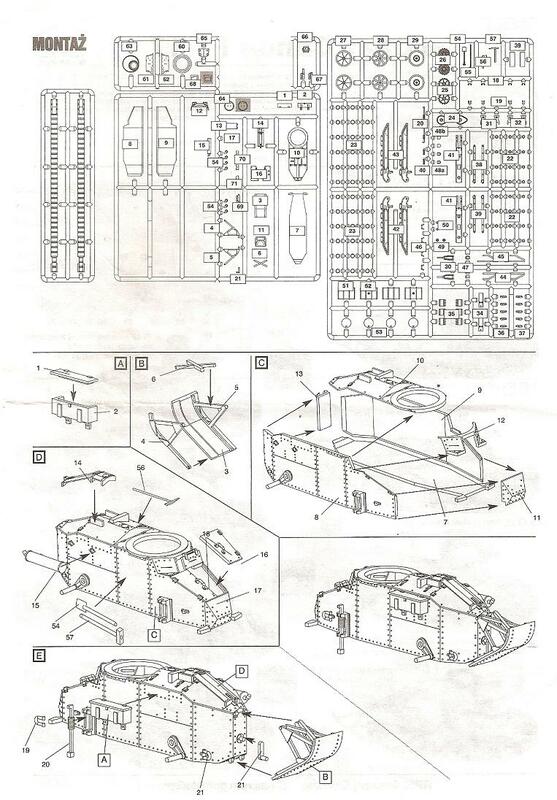 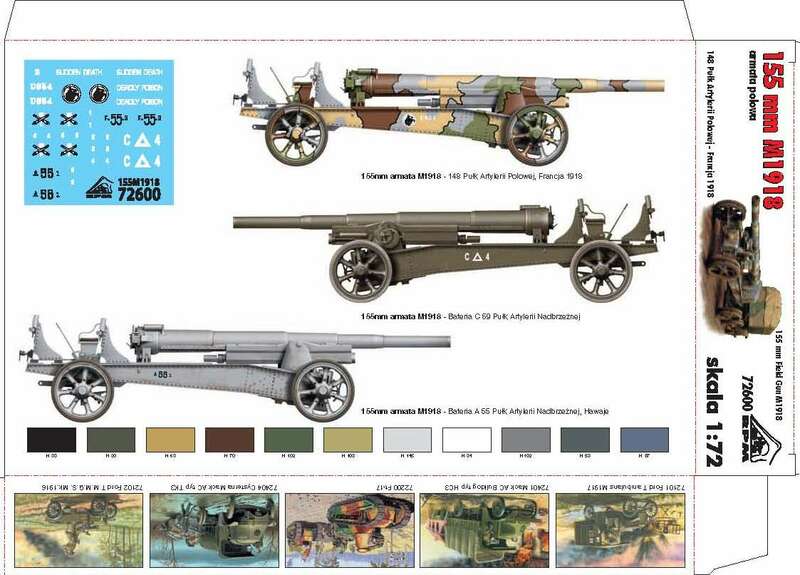 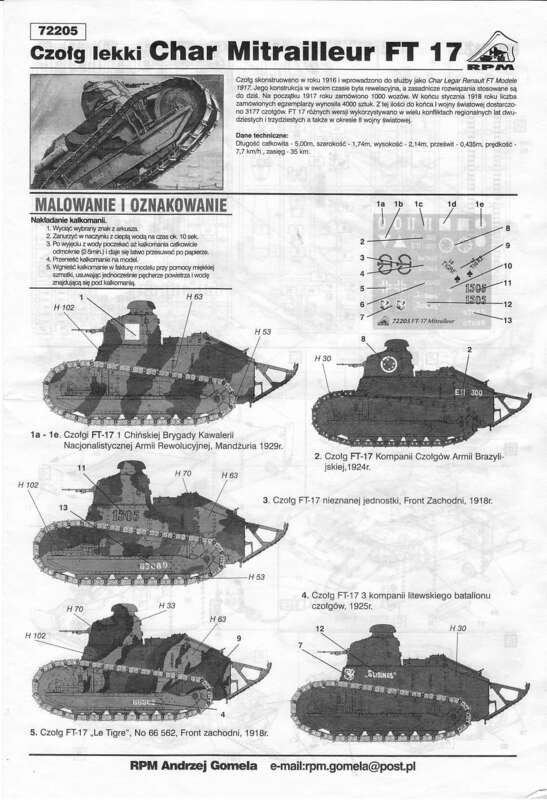 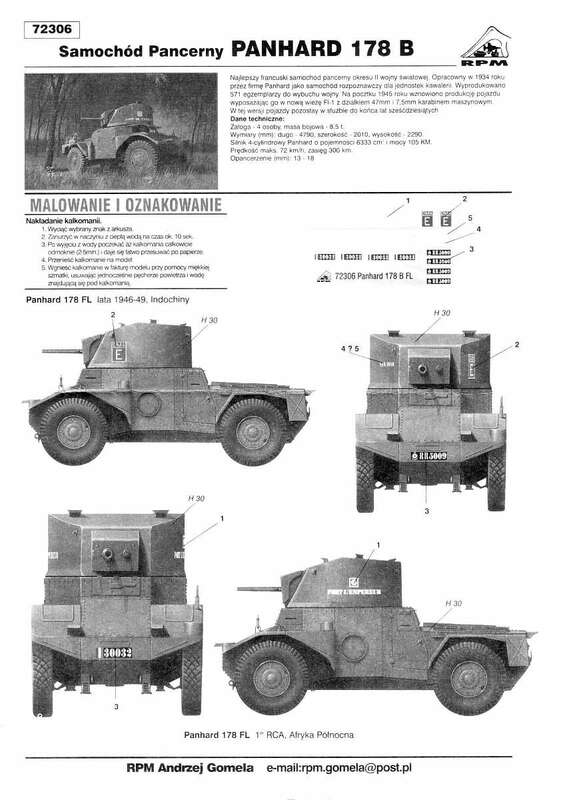 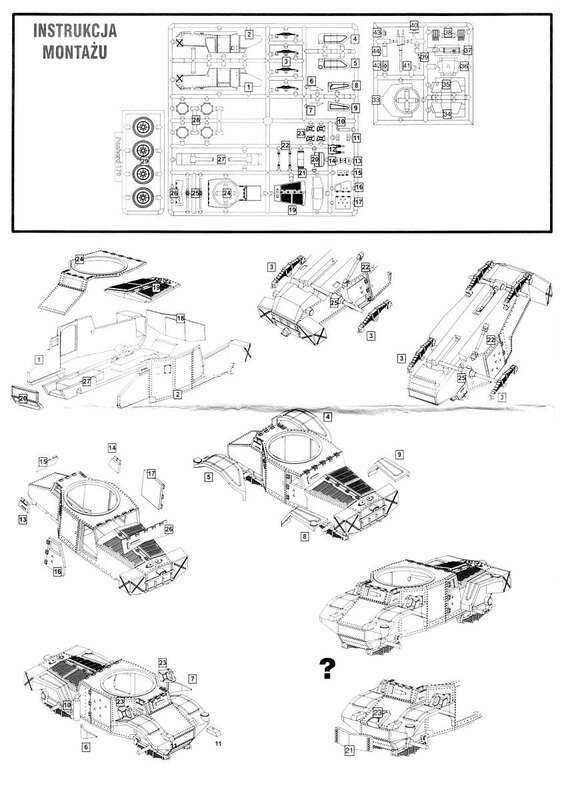 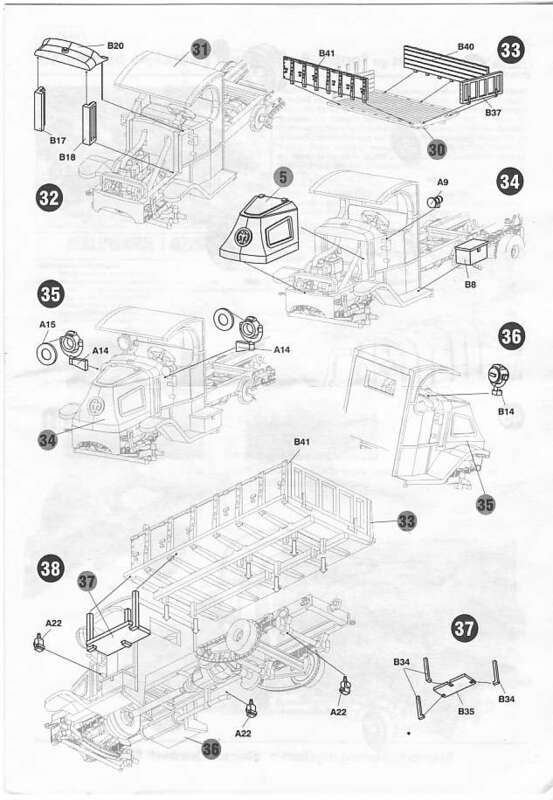 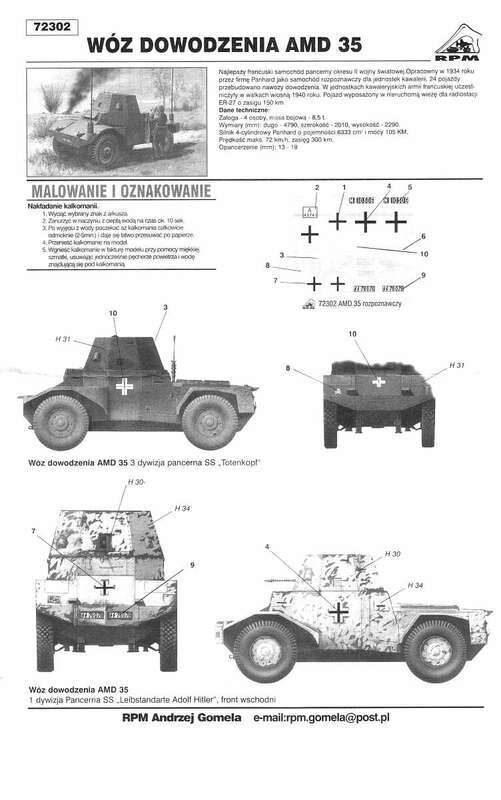 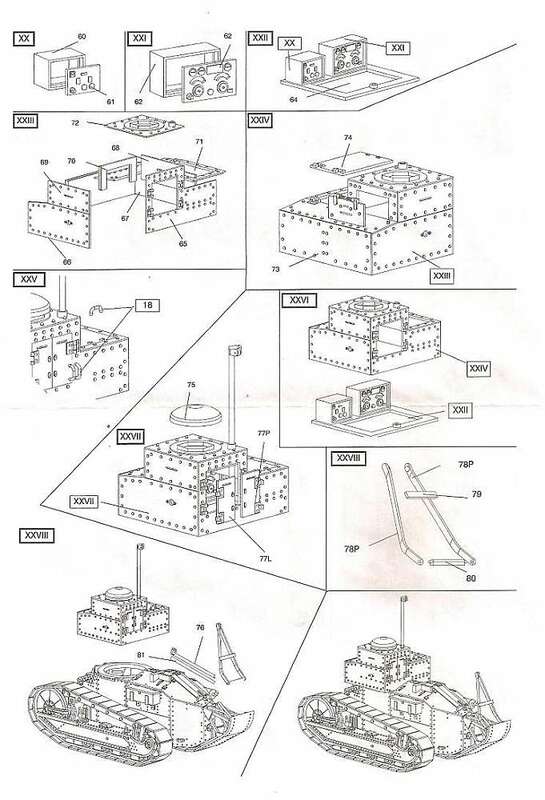 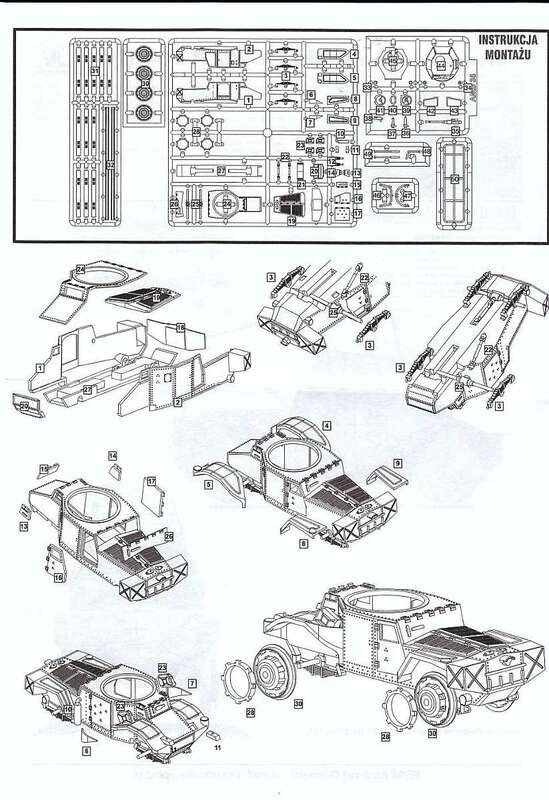 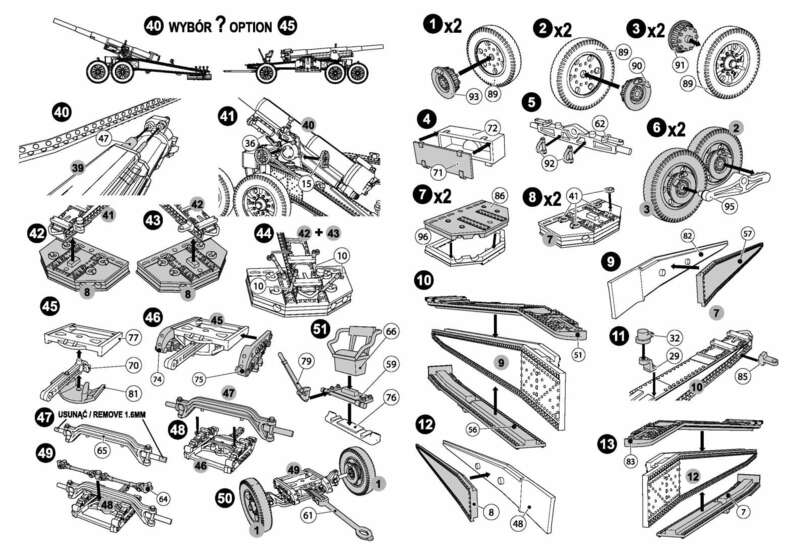 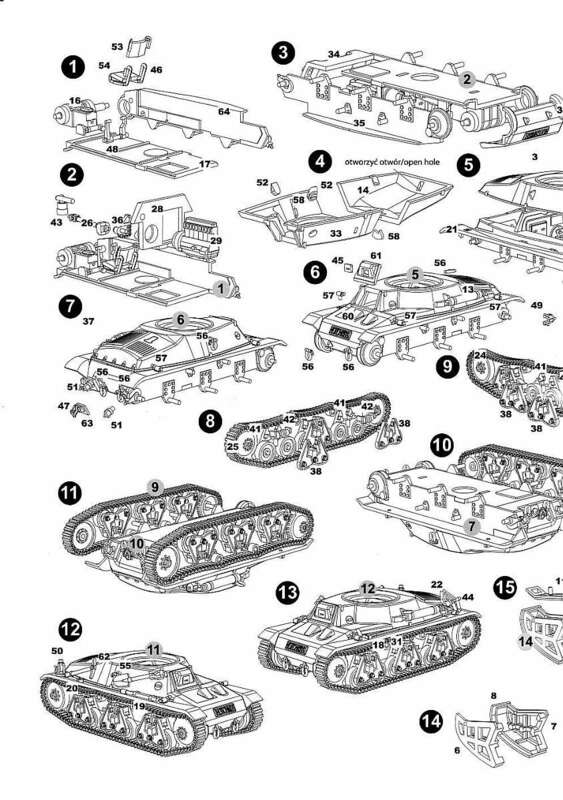 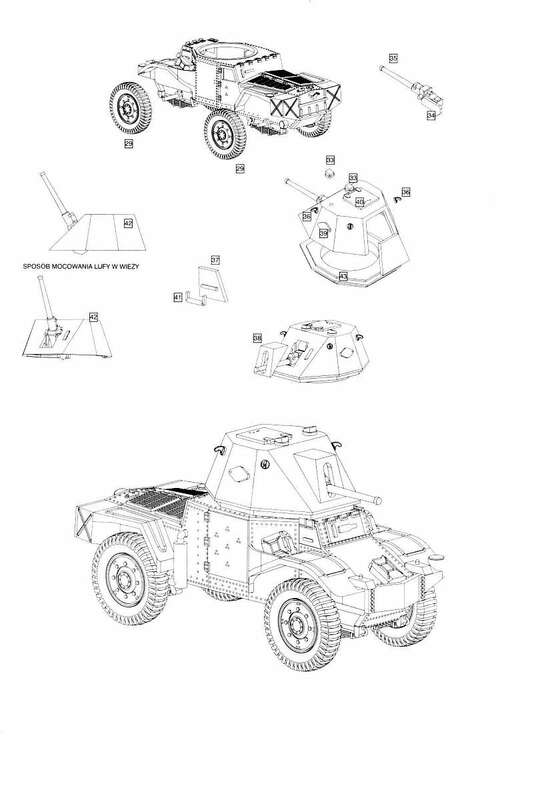 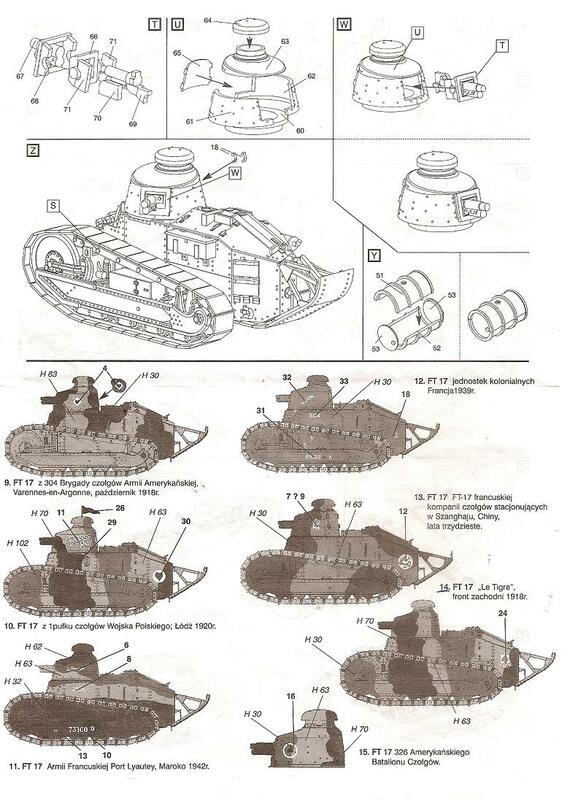 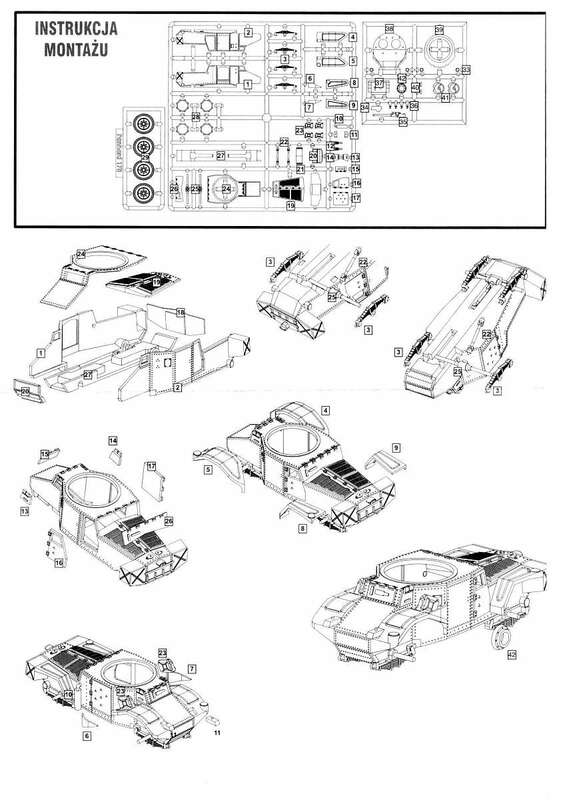 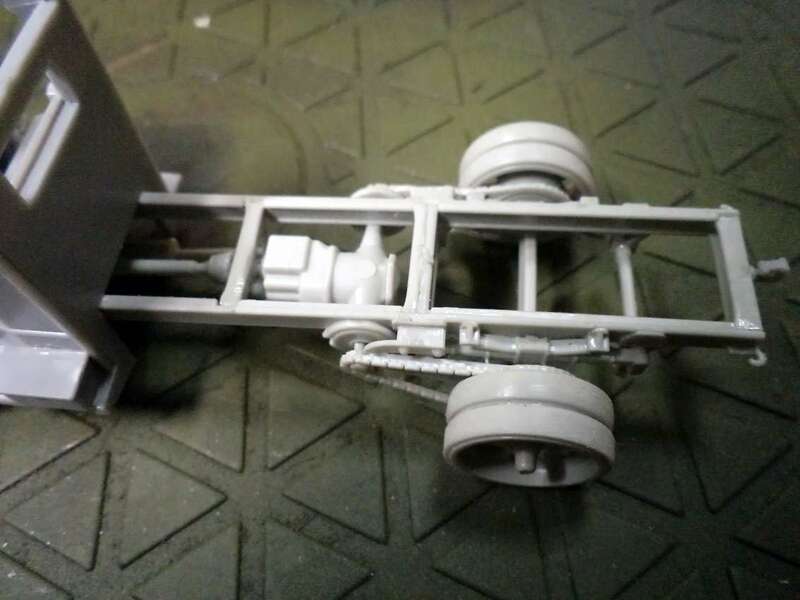 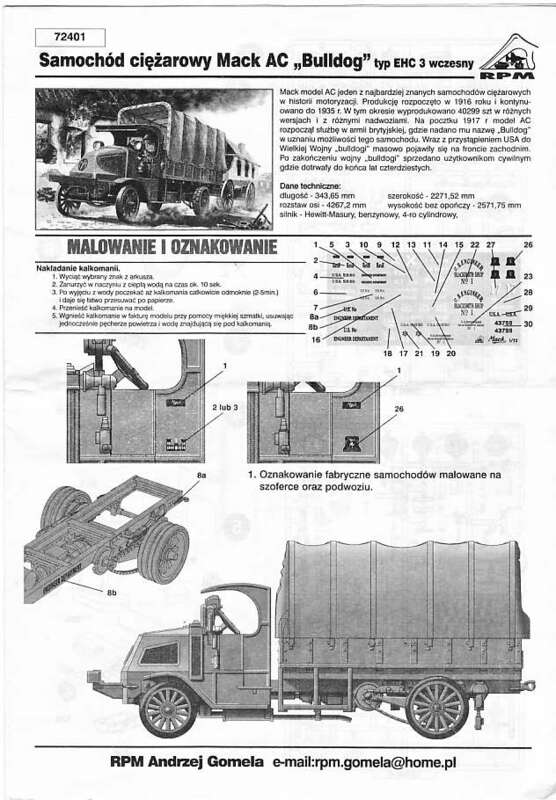 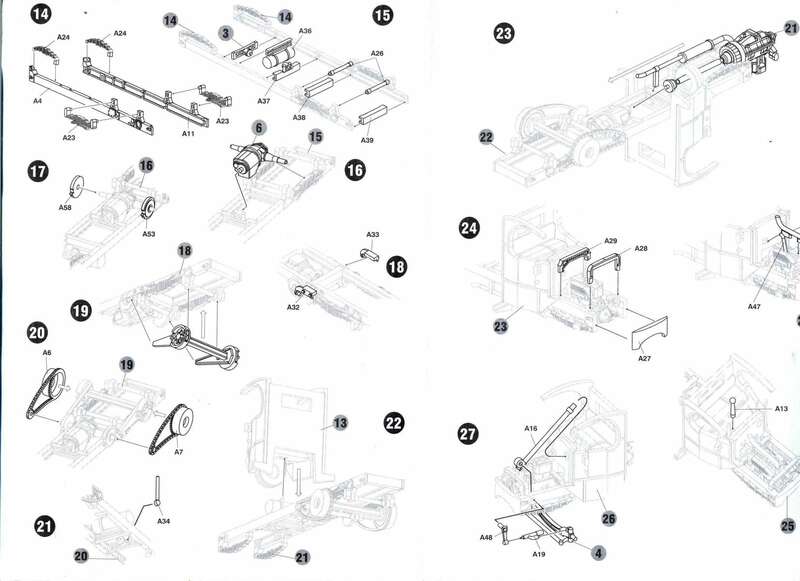 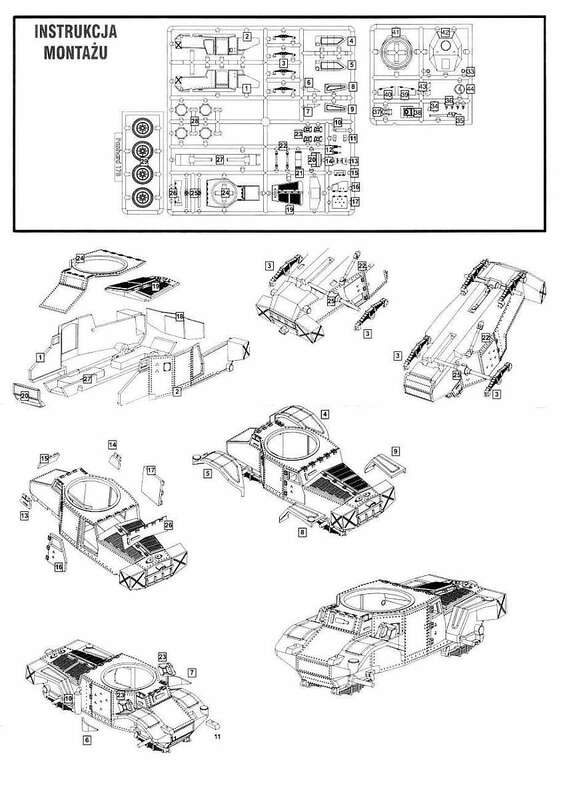 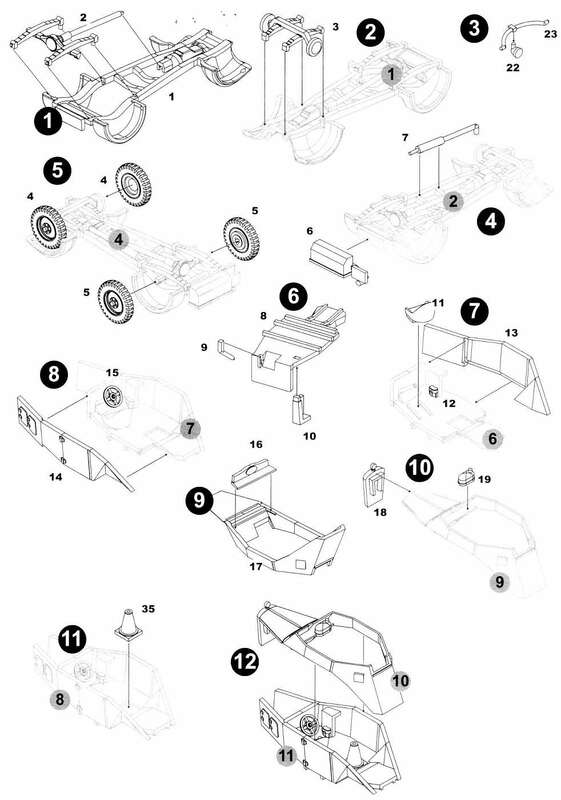 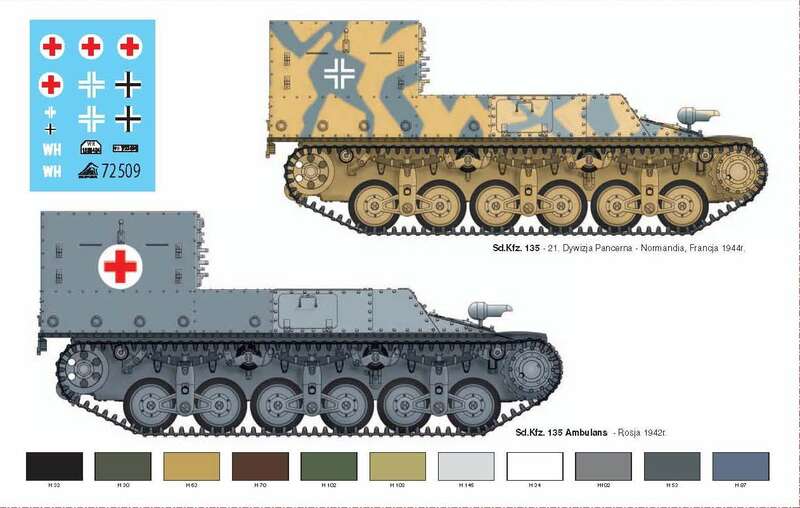 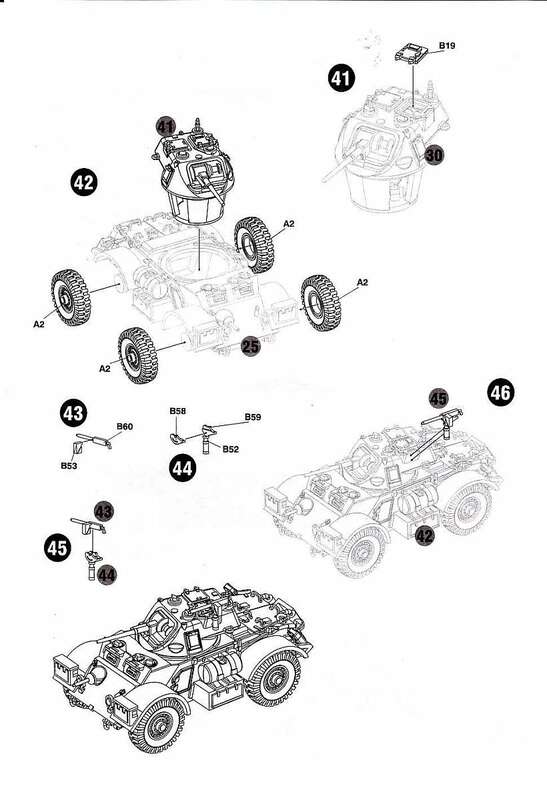 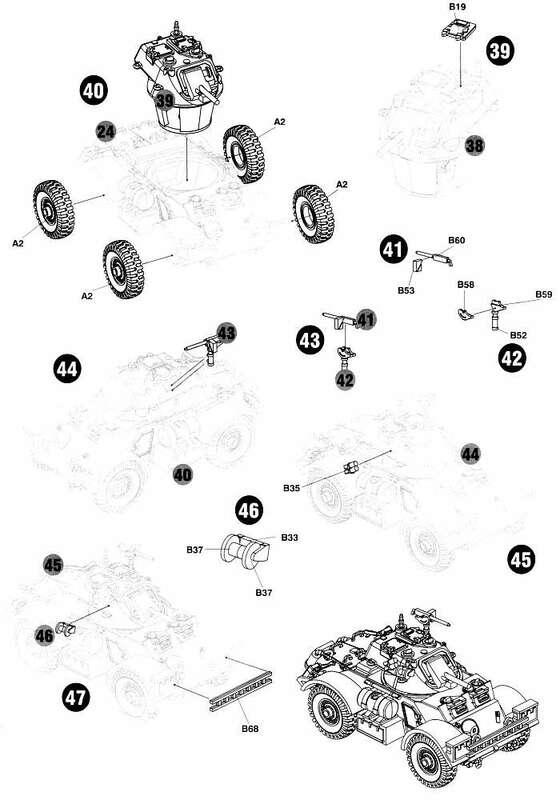 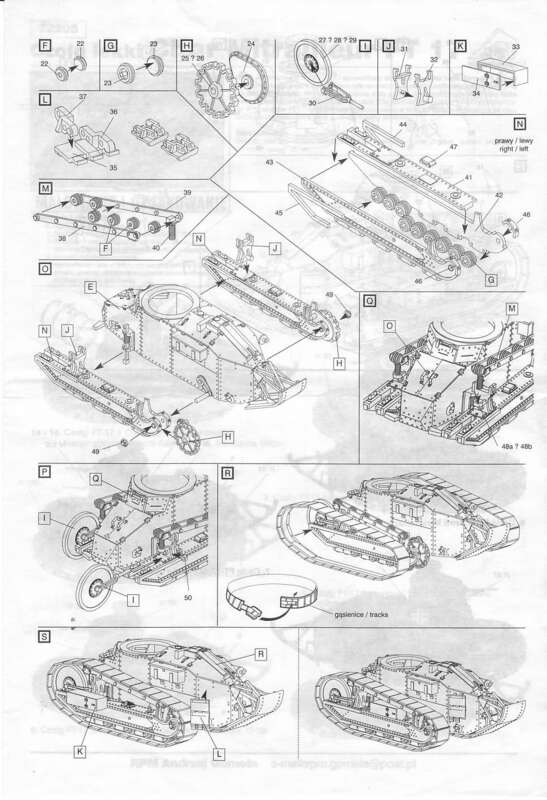 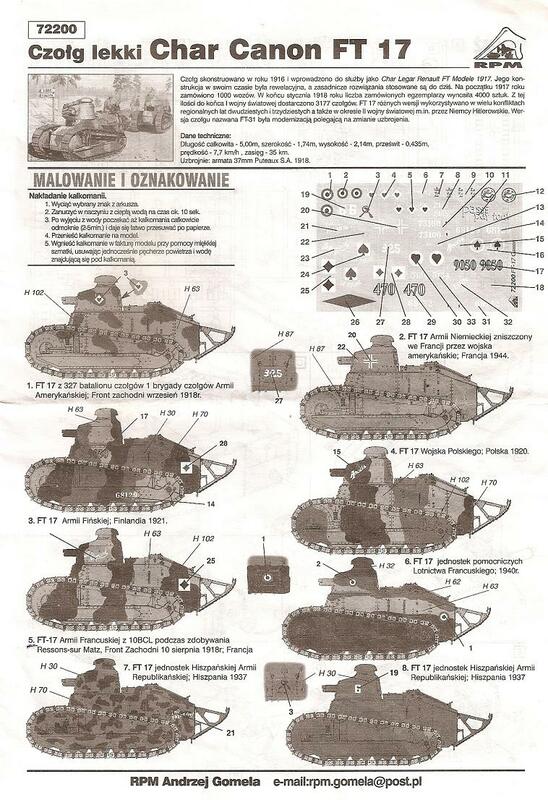 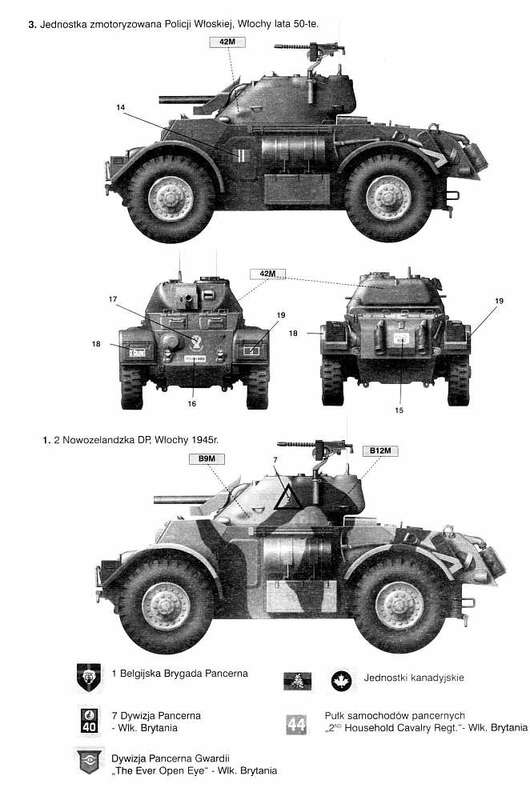 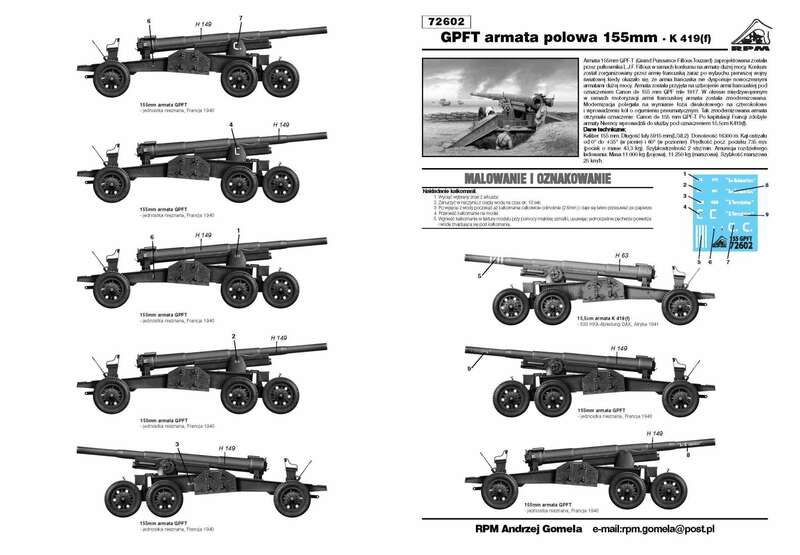 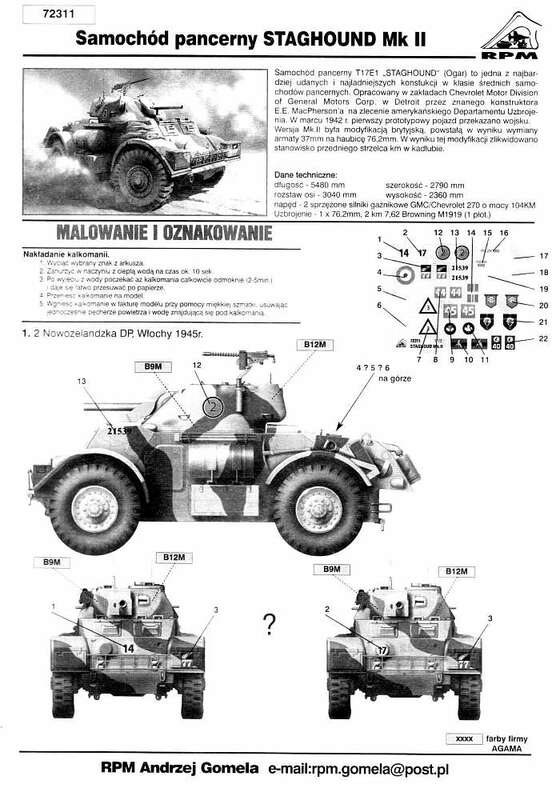 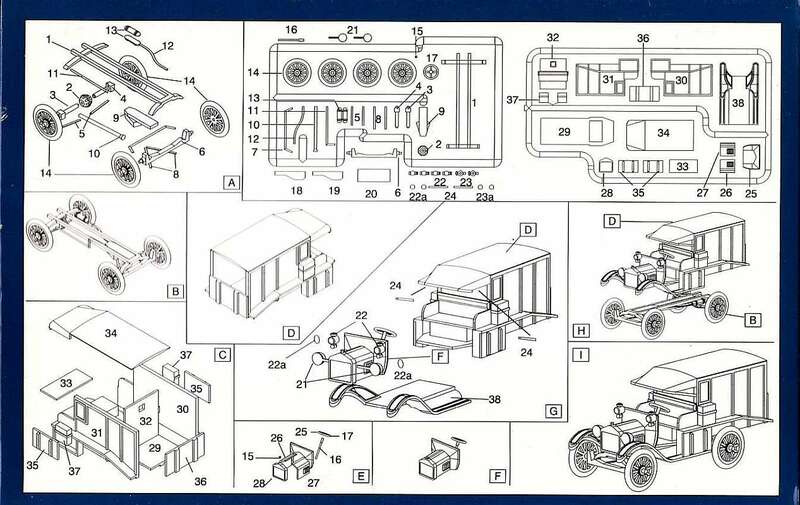 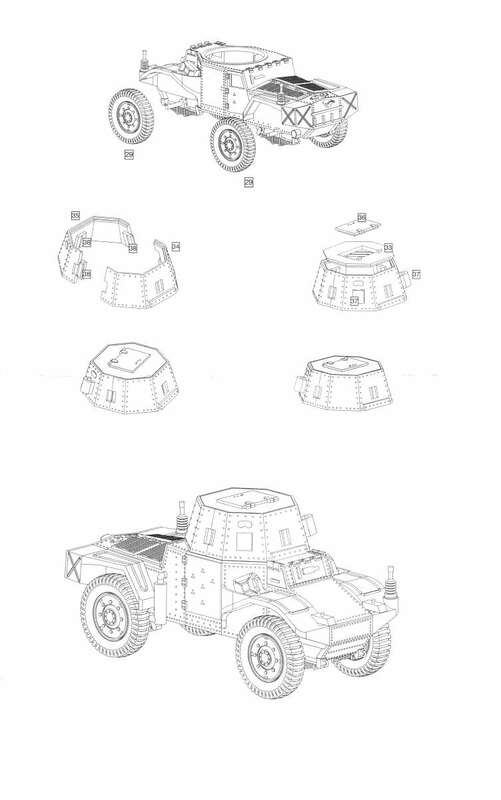 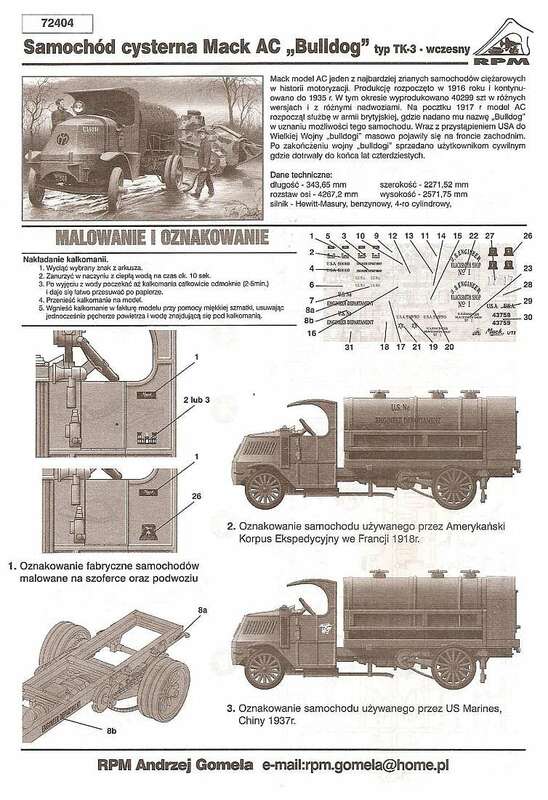 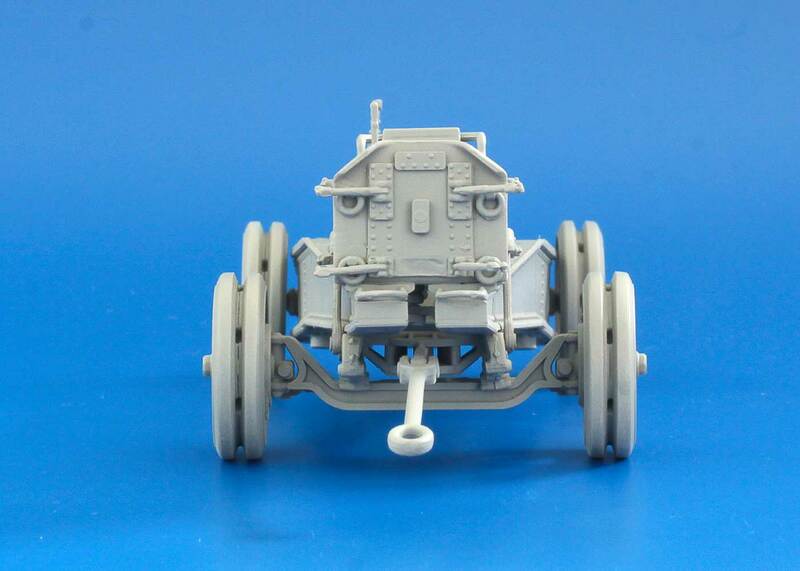 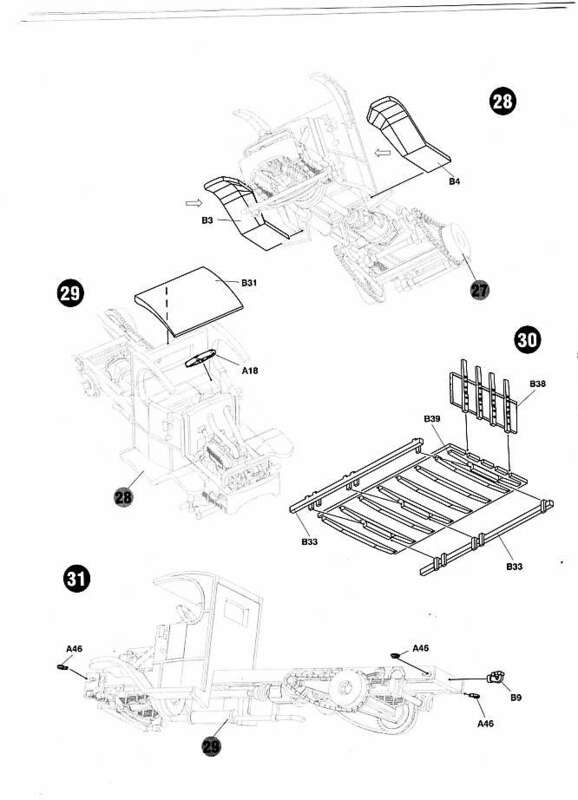 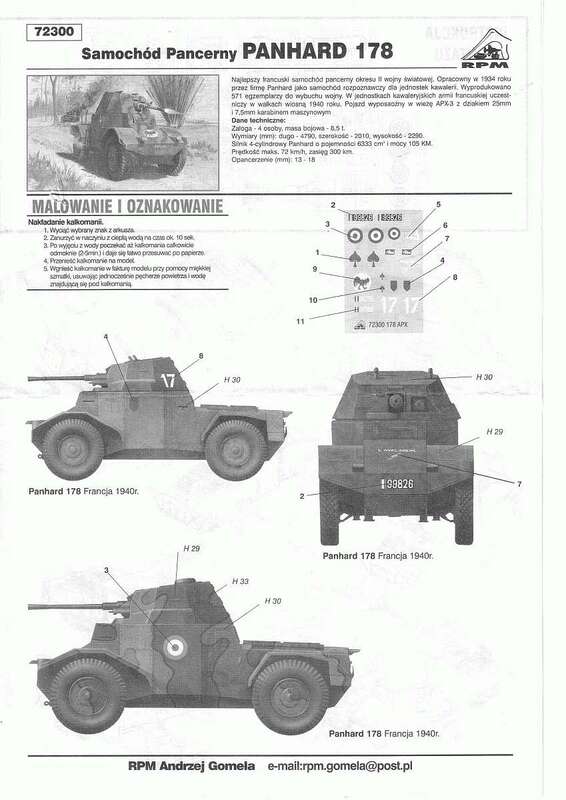 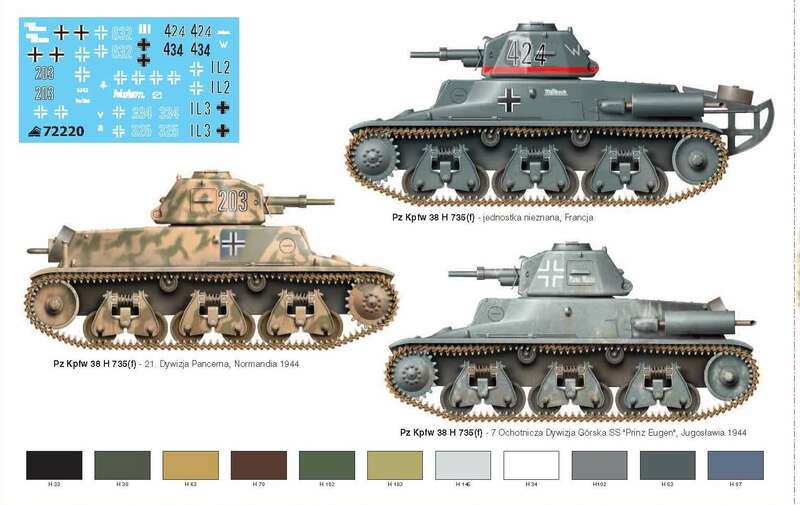 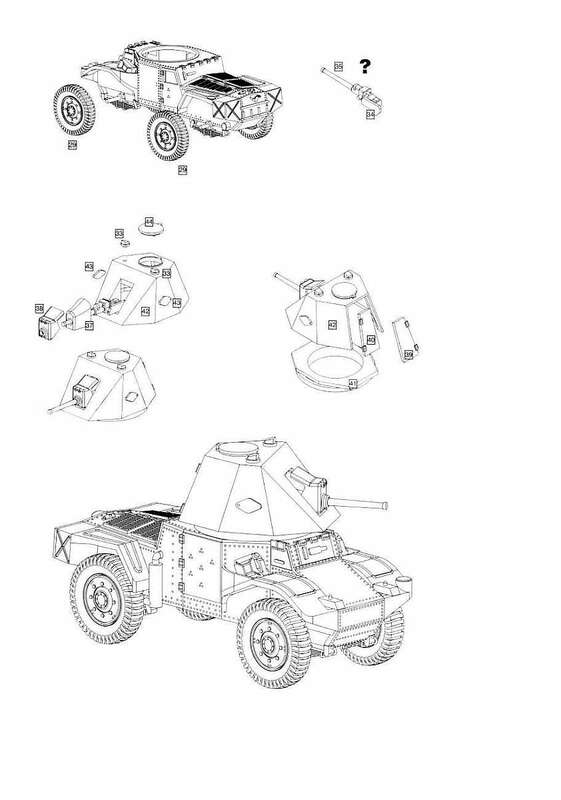 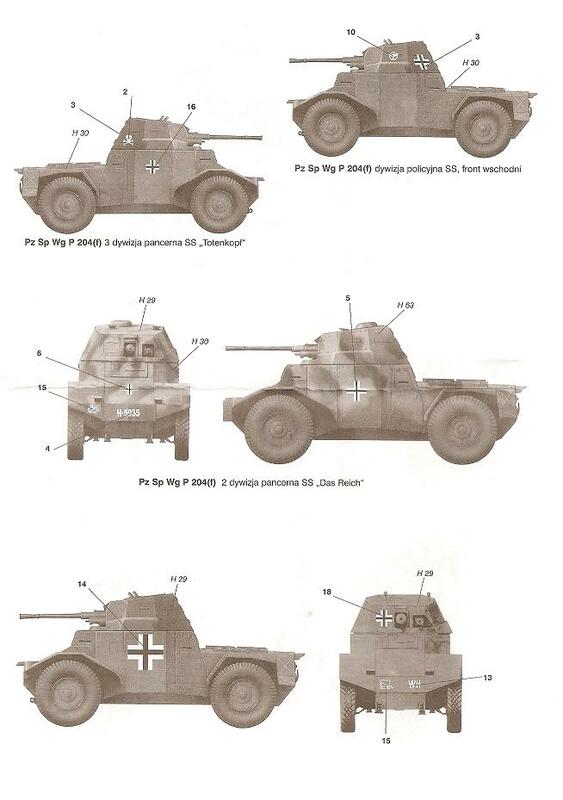 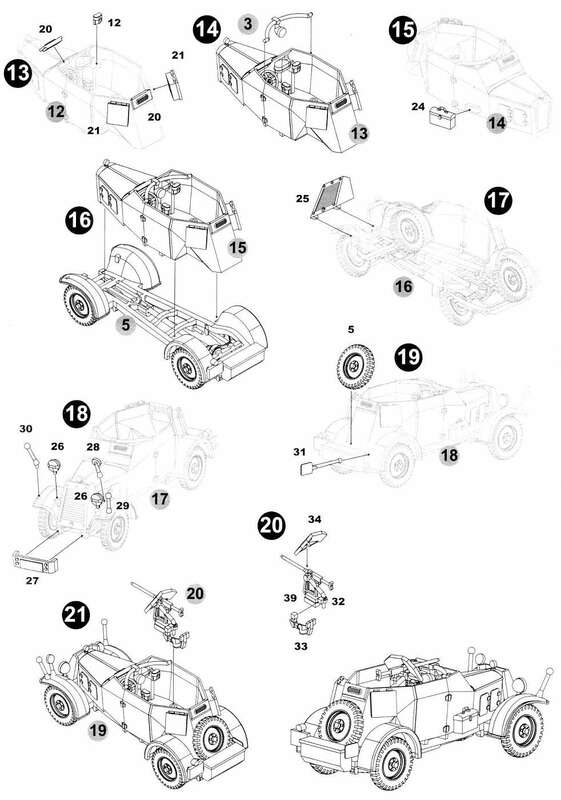 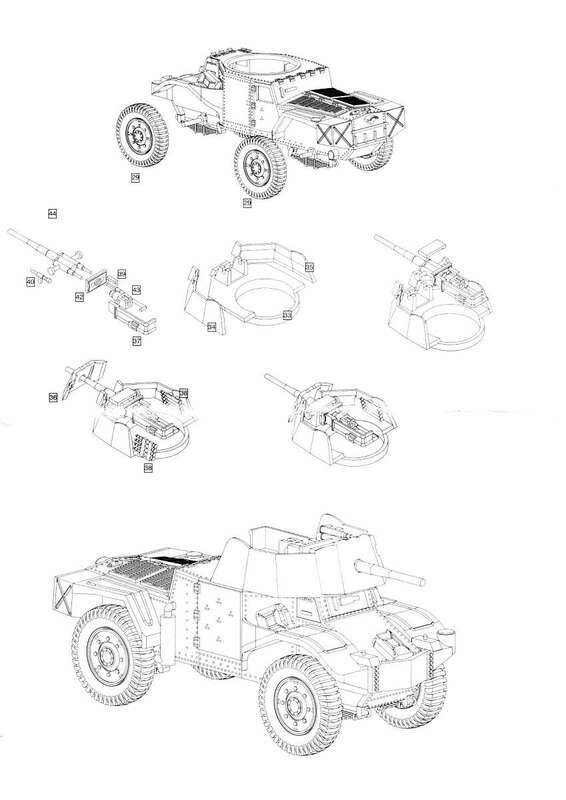 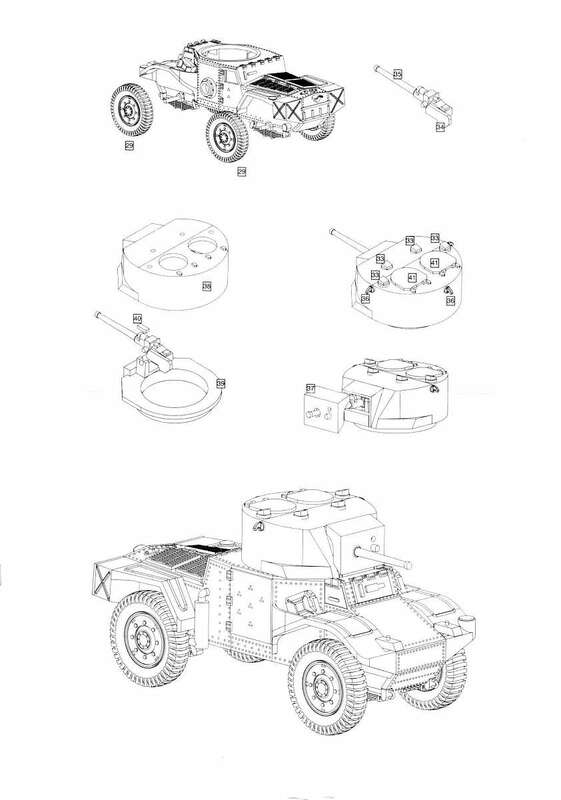 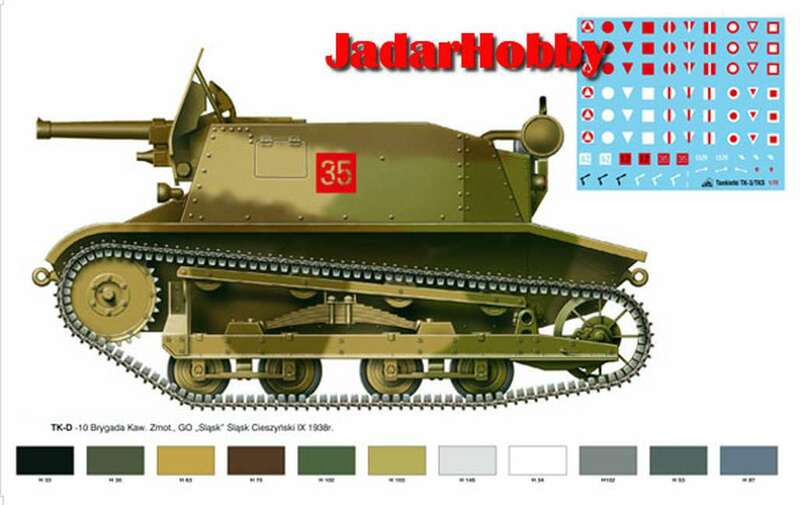 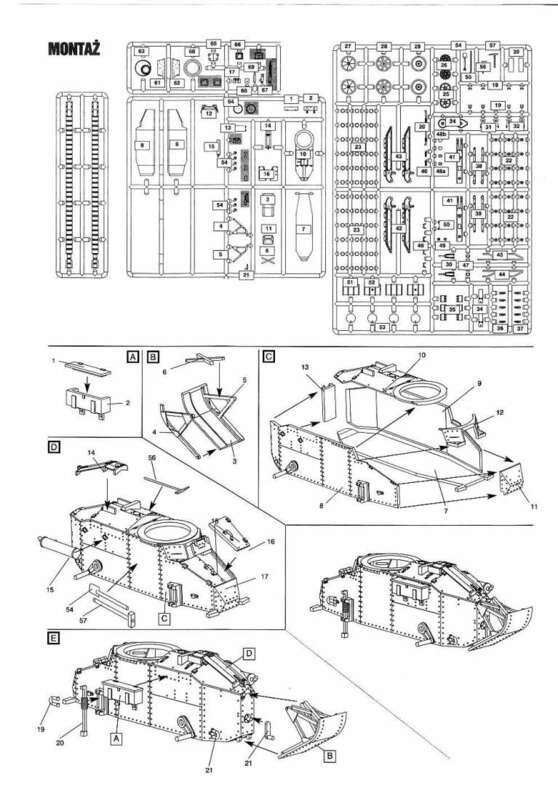 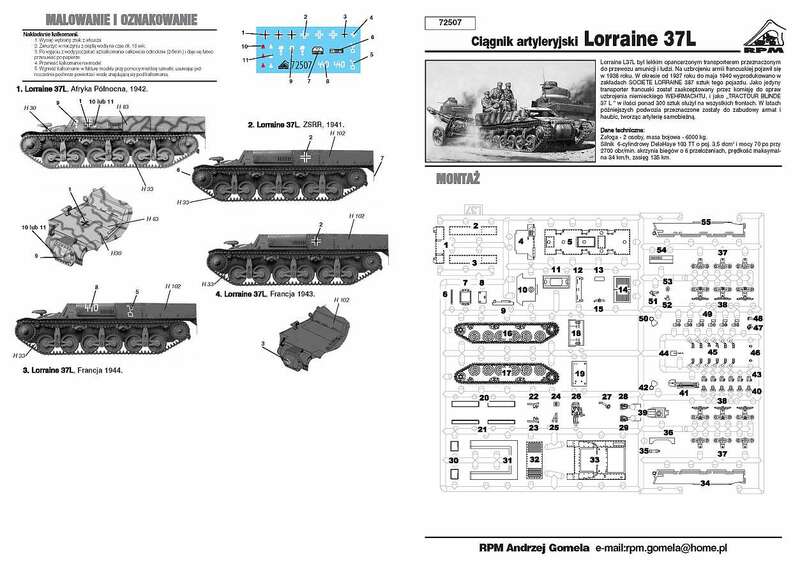 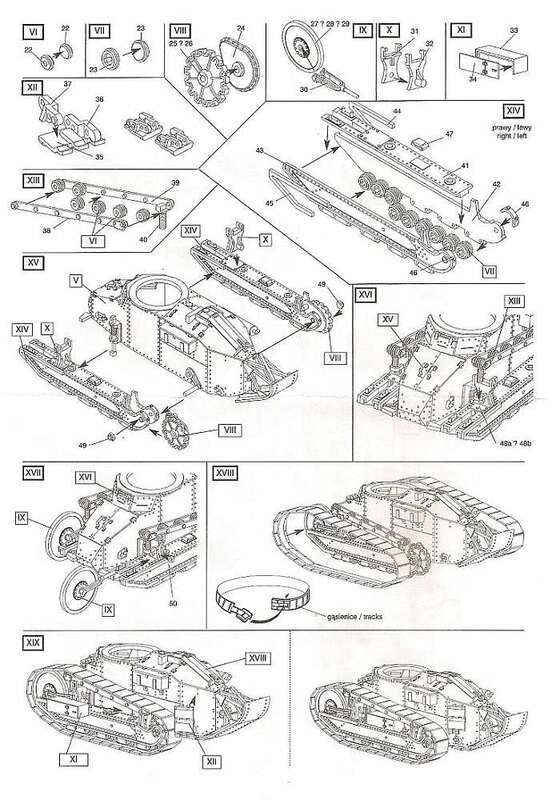 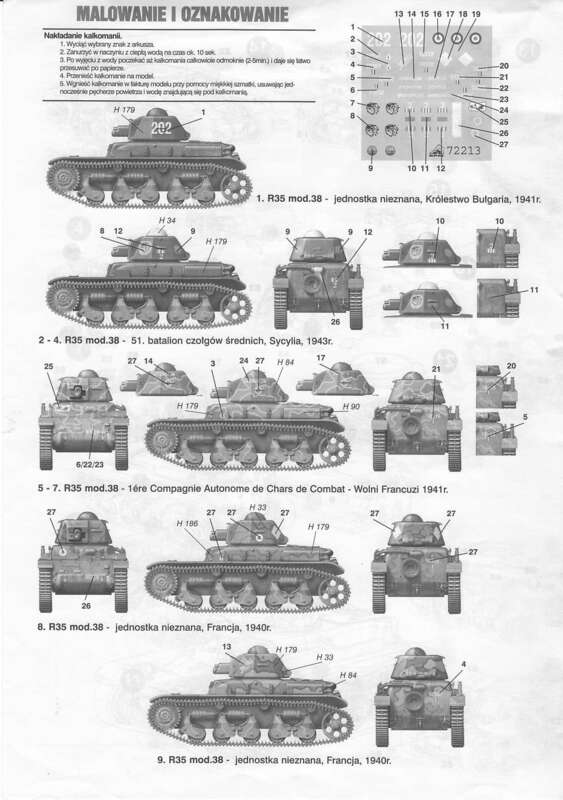 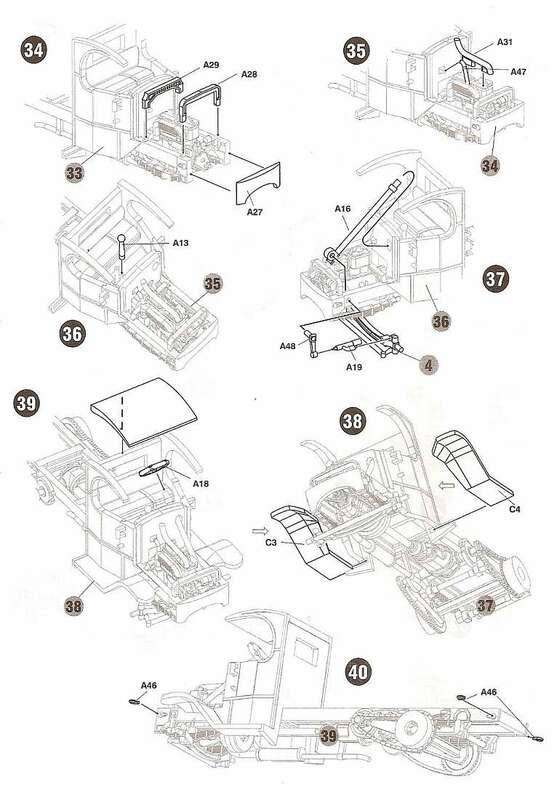 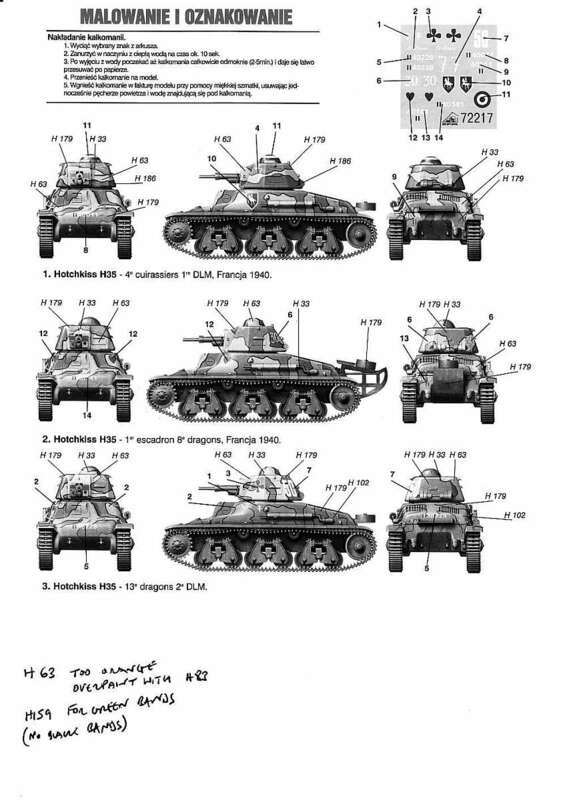 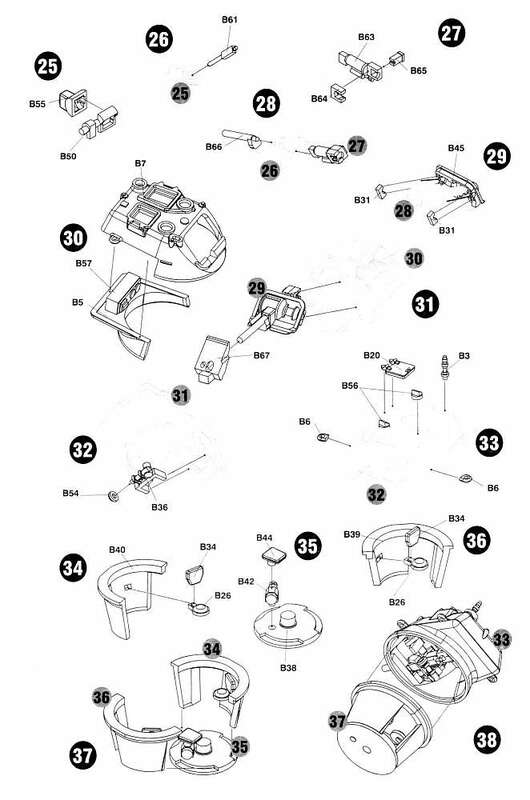 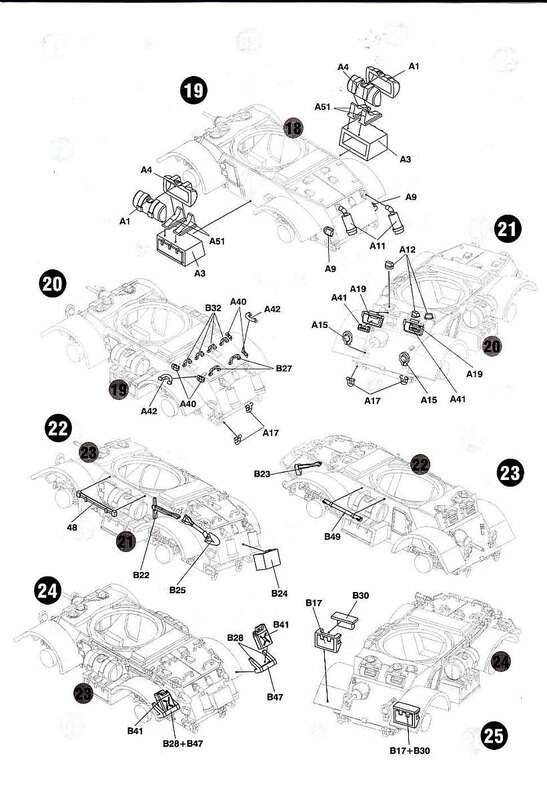 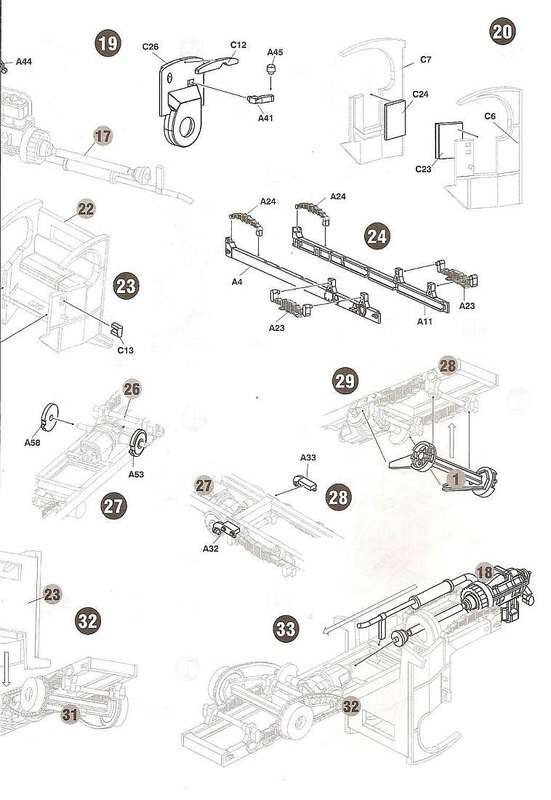 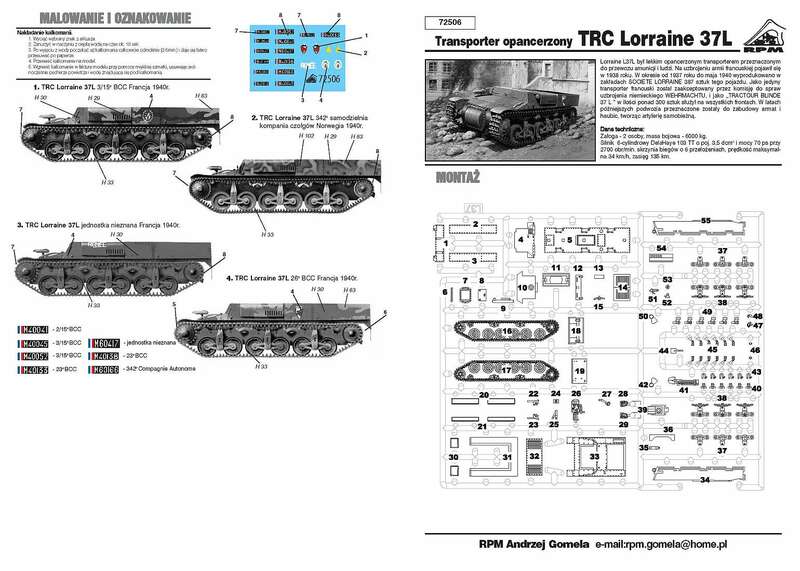 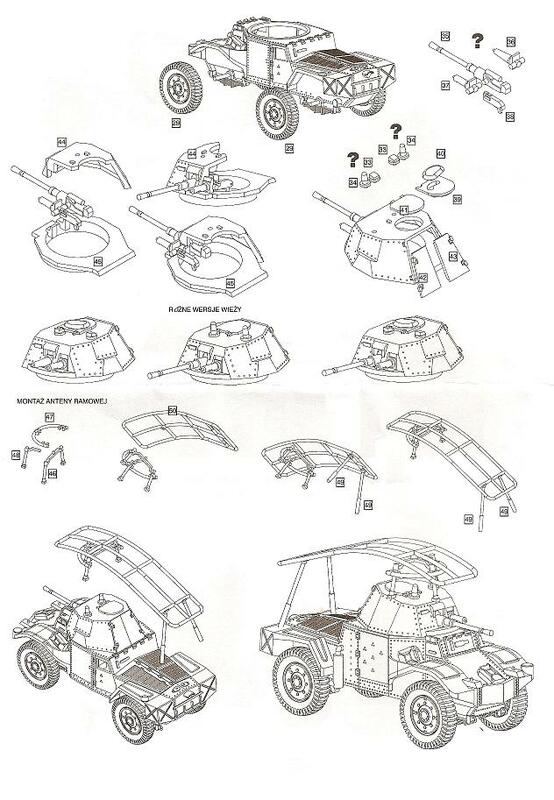 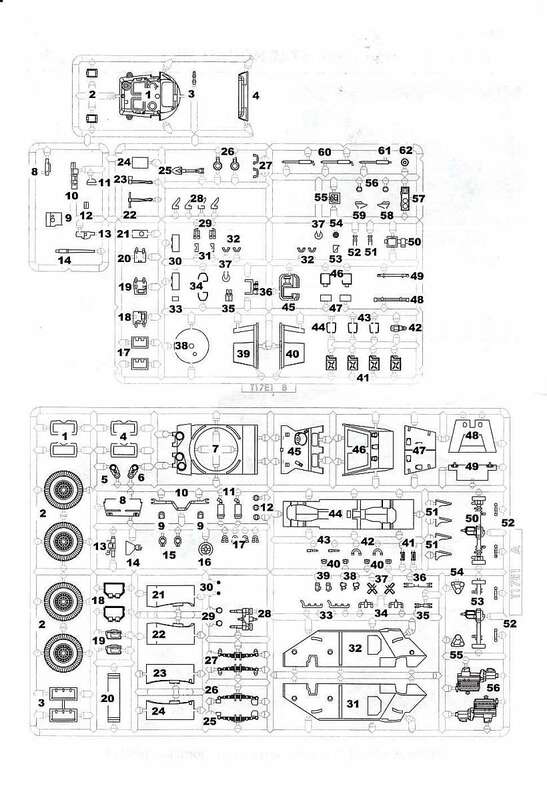 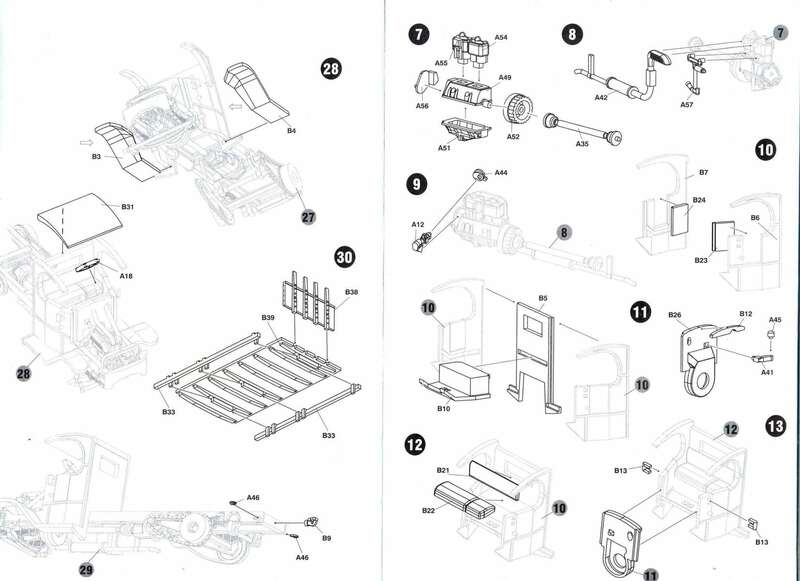 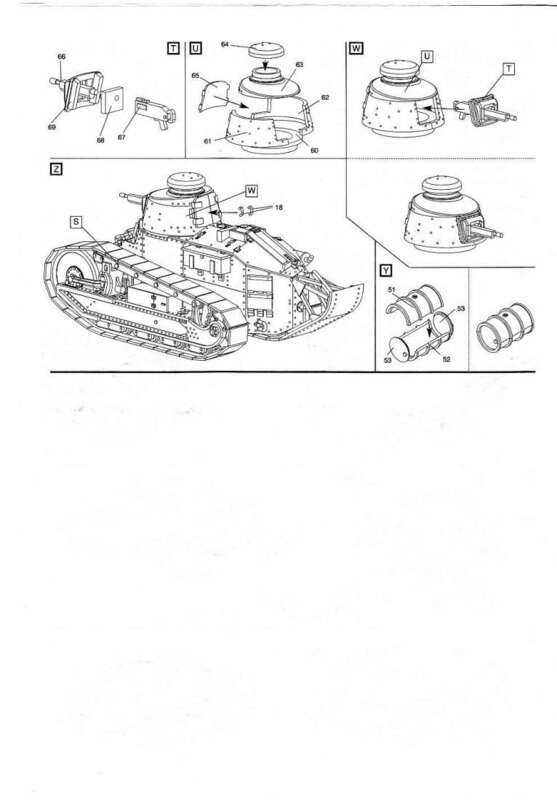 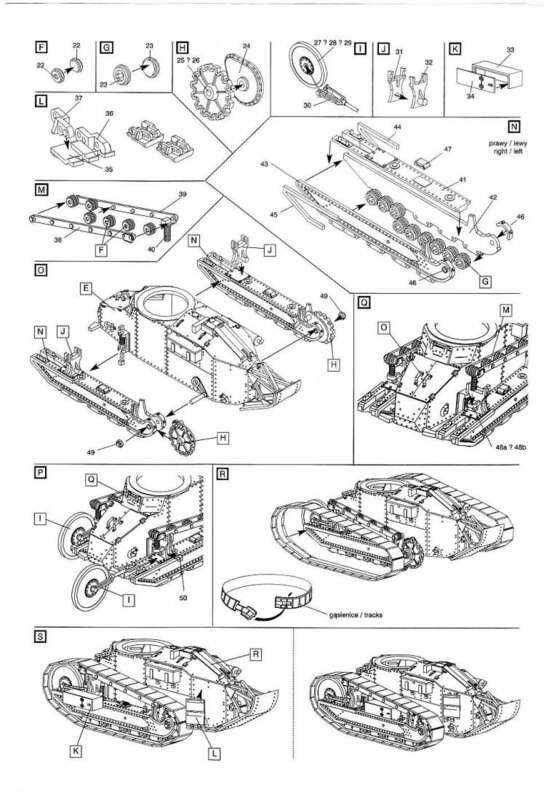 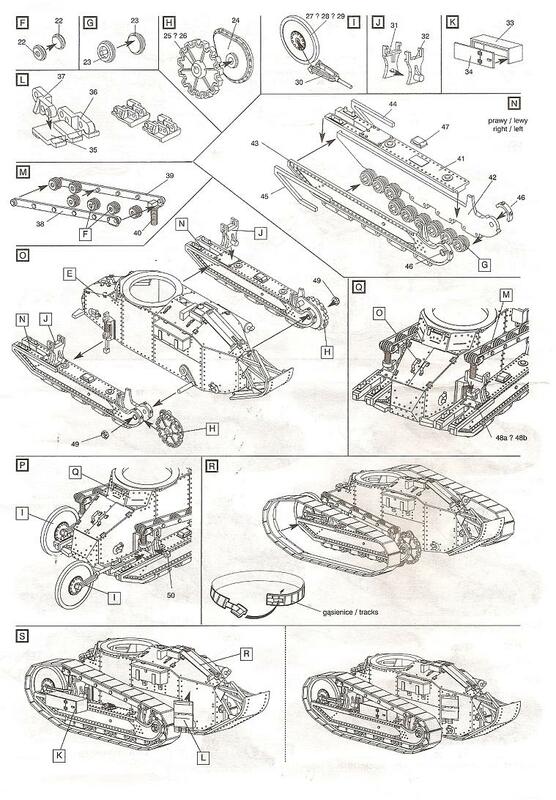 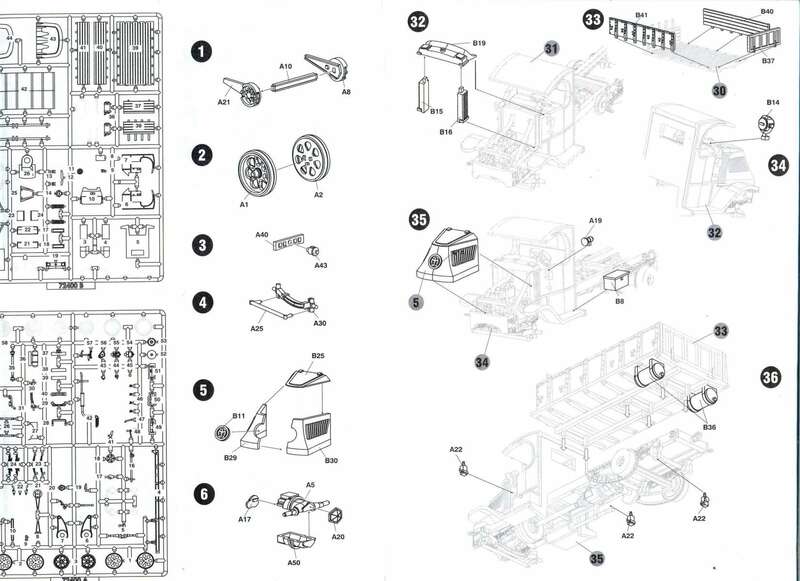 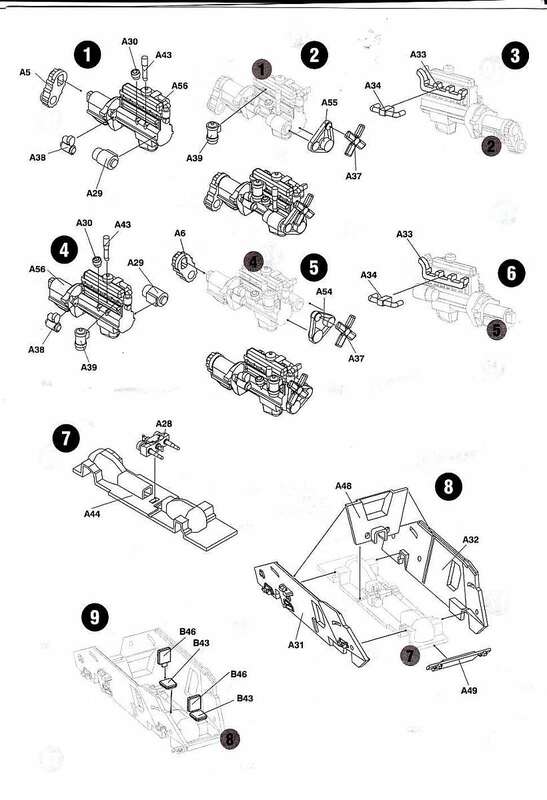 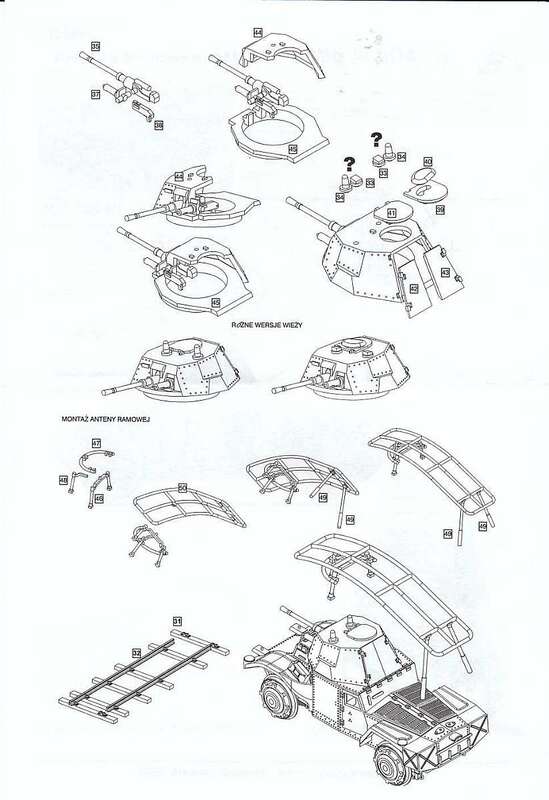 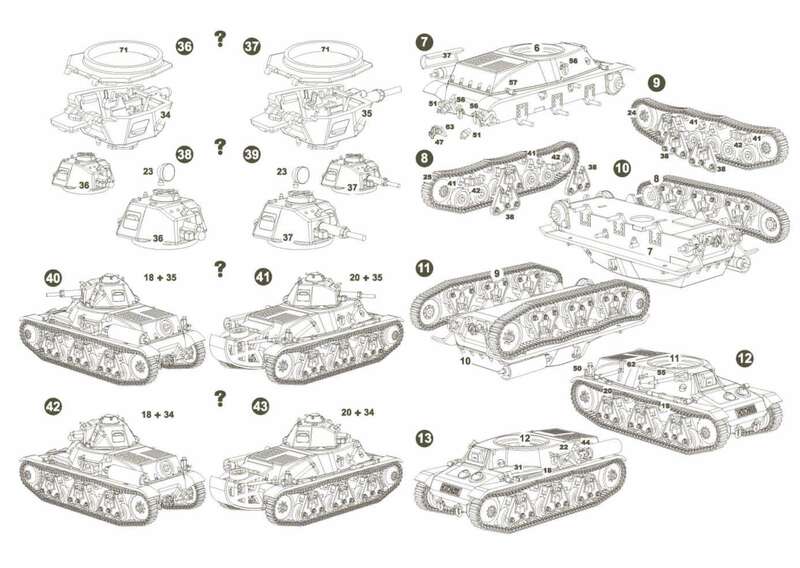 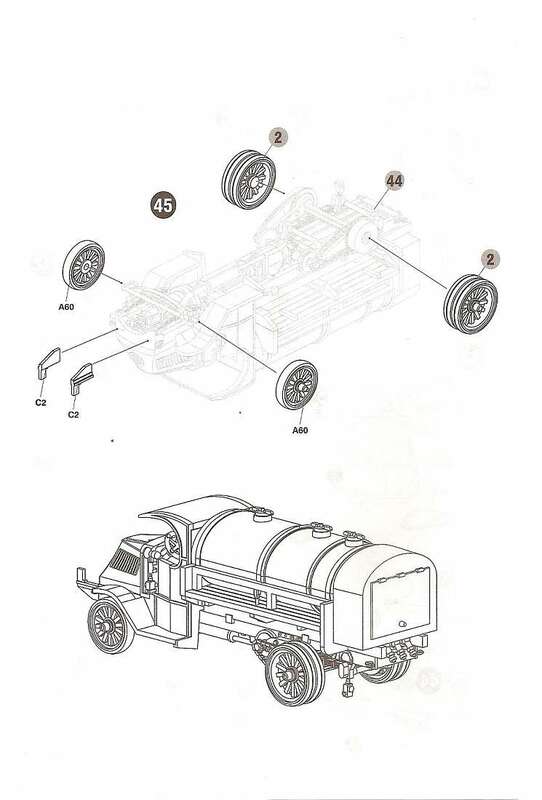 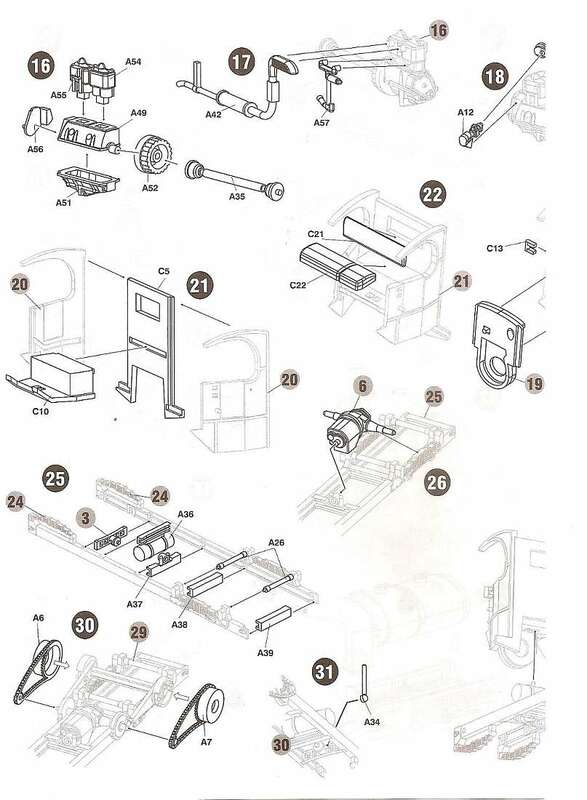 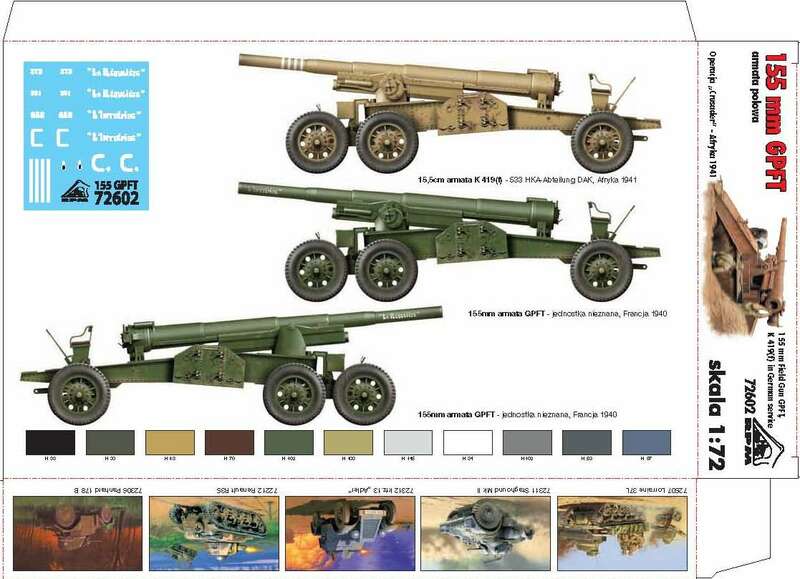 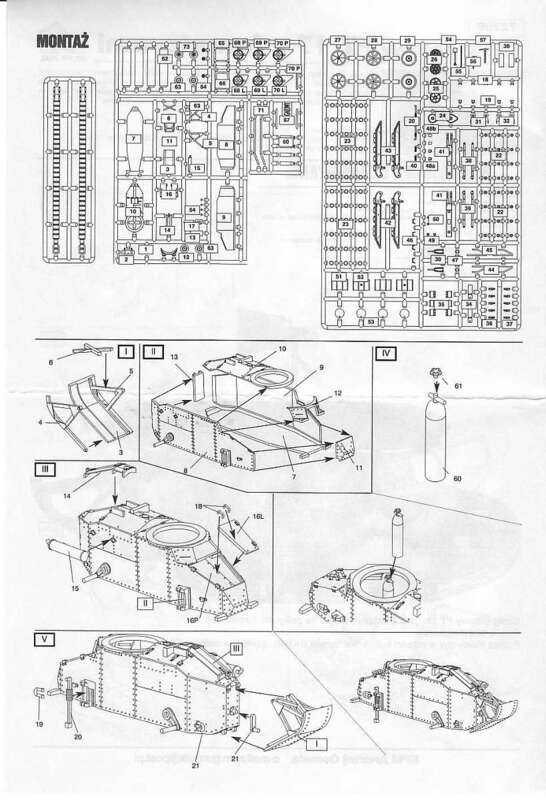 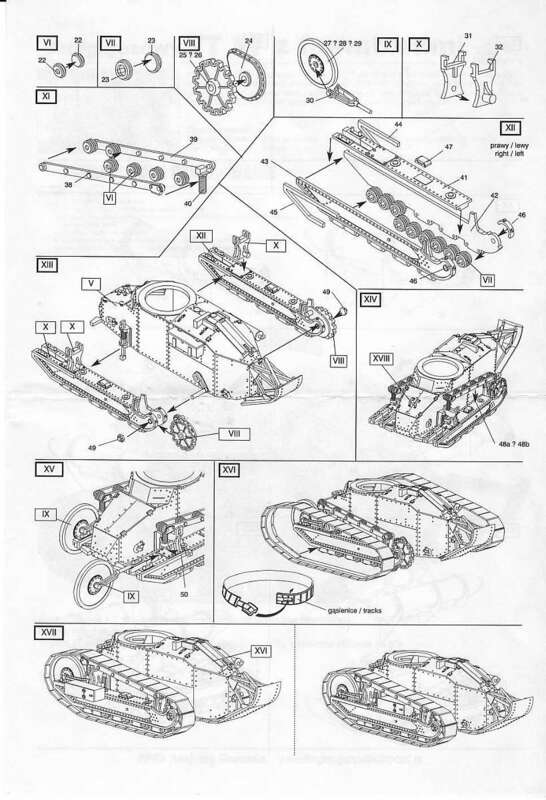 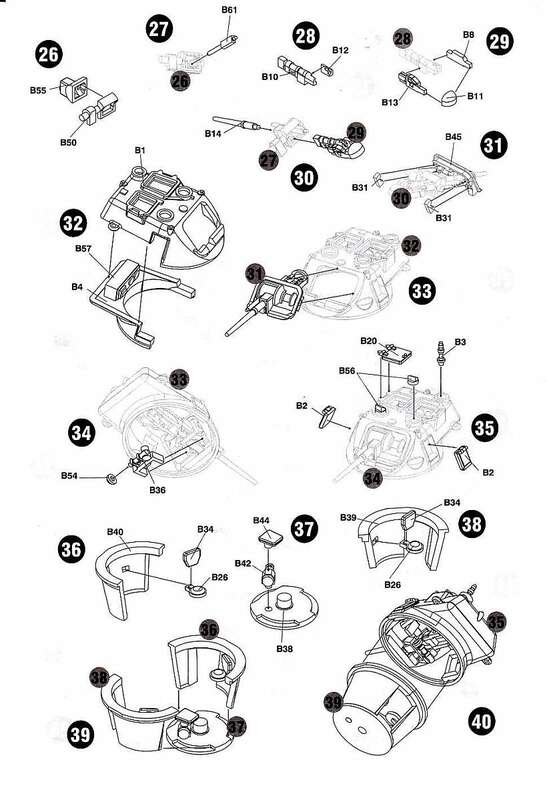 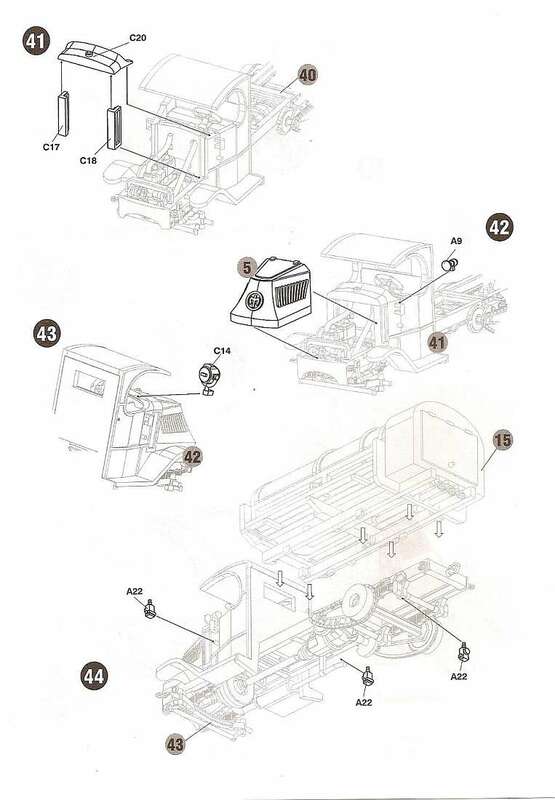 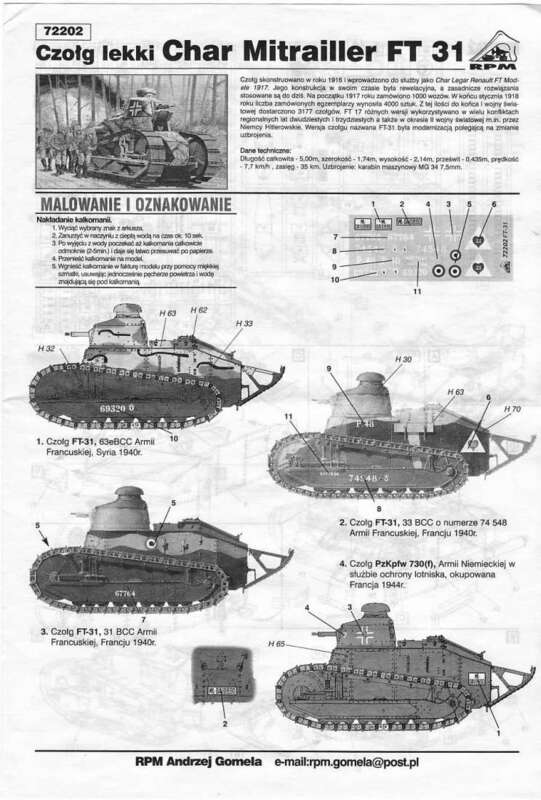 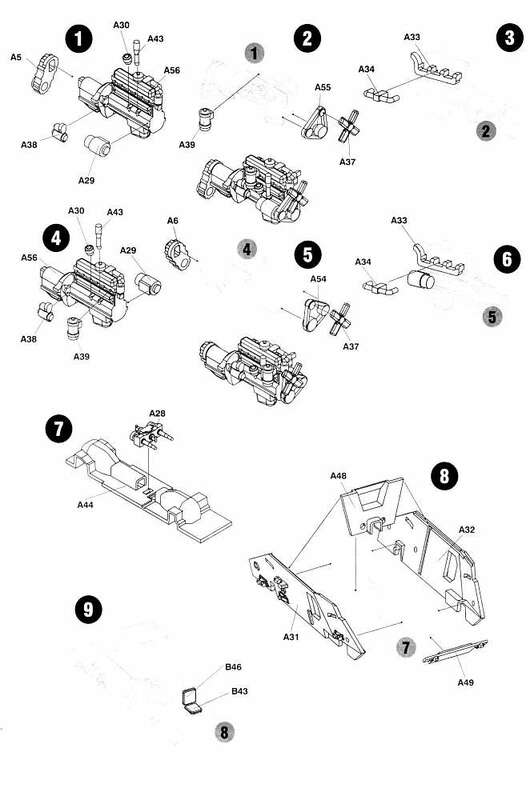 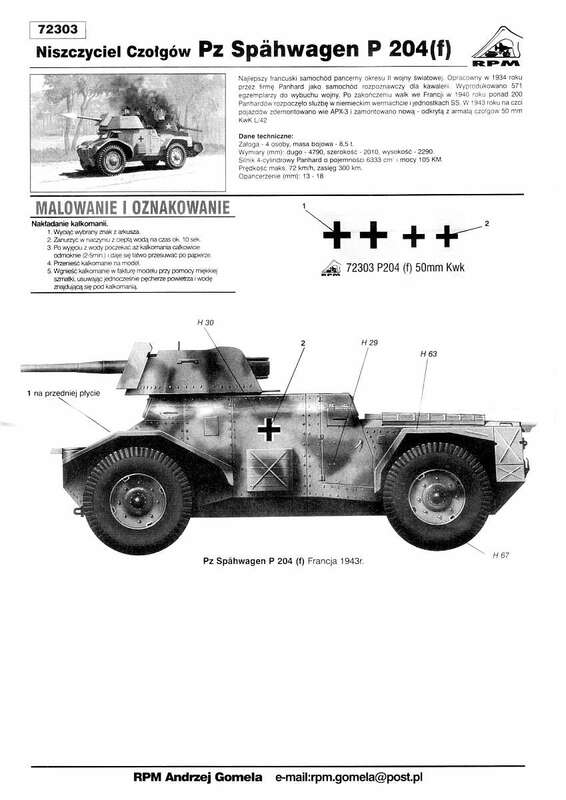 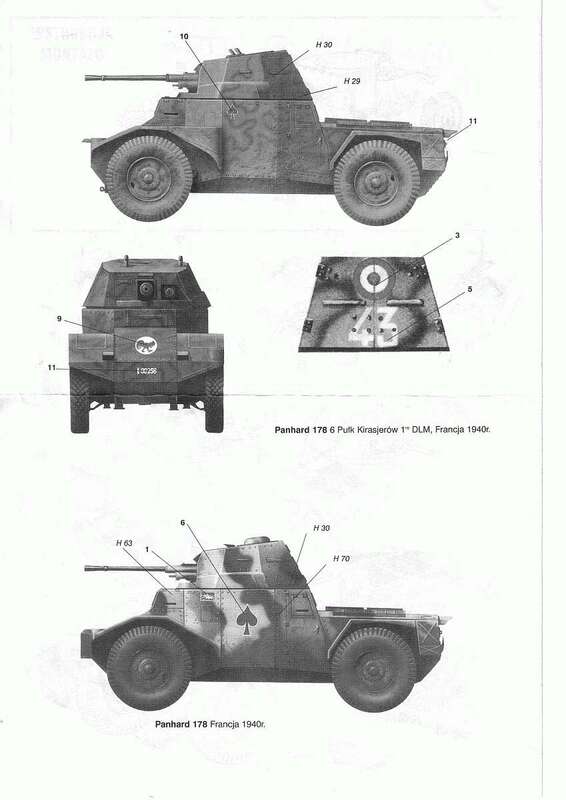 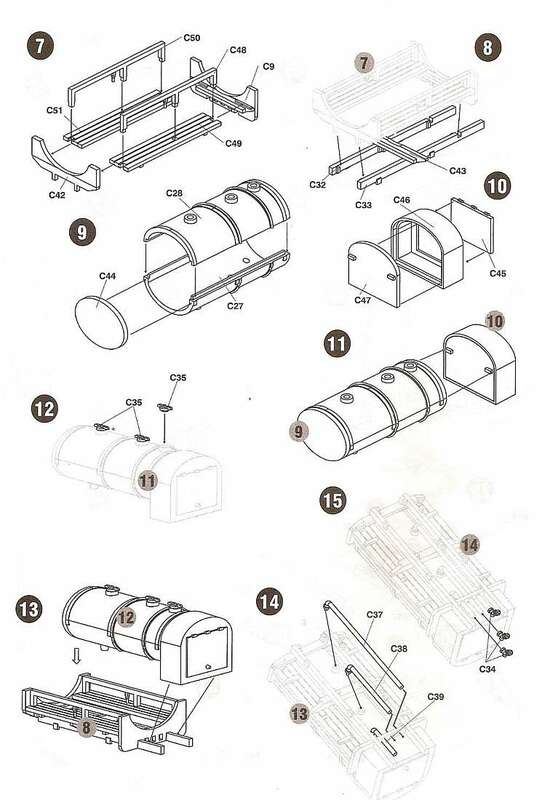 Detail israther good with separate chassis, wheels, axles, diff., drive shaft and exhaust...but no engine. 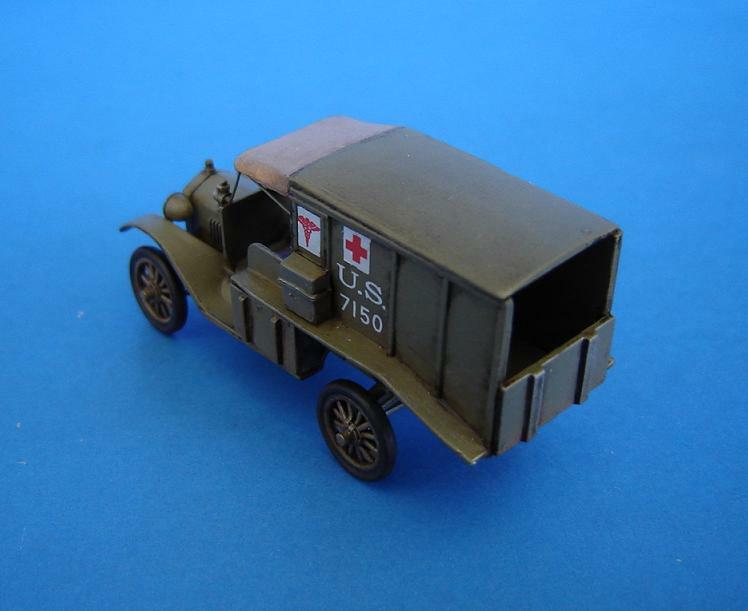 There's no interior detail for the ambulance section, but the driver's compartment has a steering wheel and a bench seat. 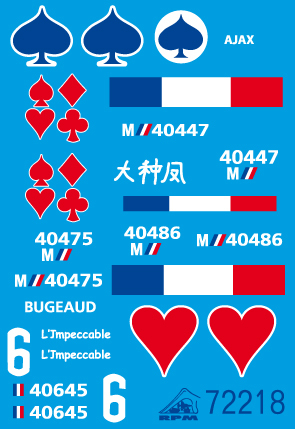 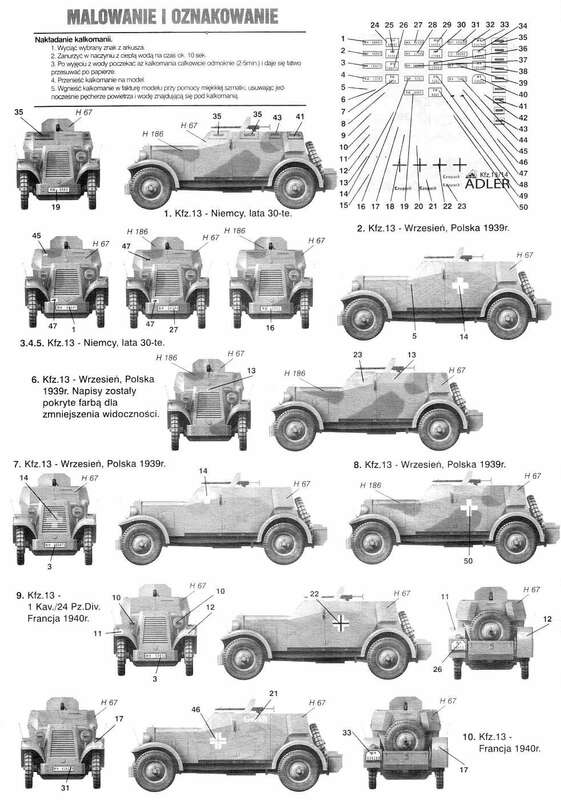 There are separate headlights and driving lights. 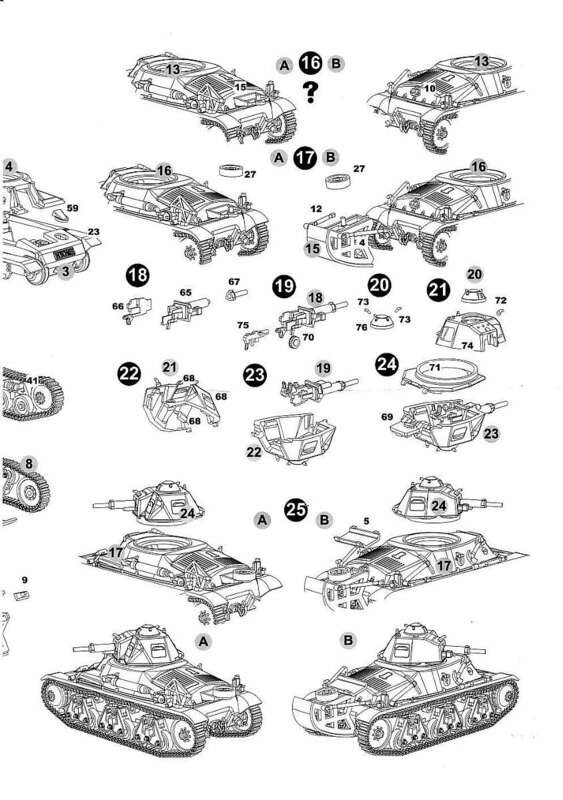 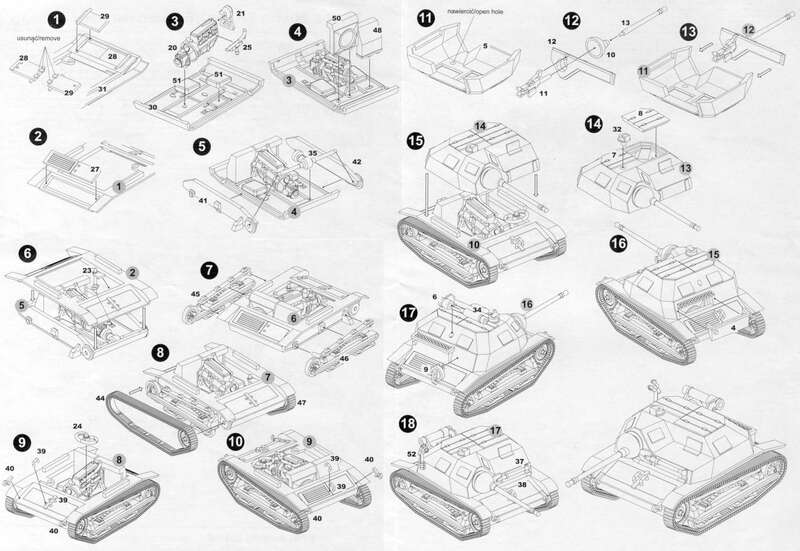 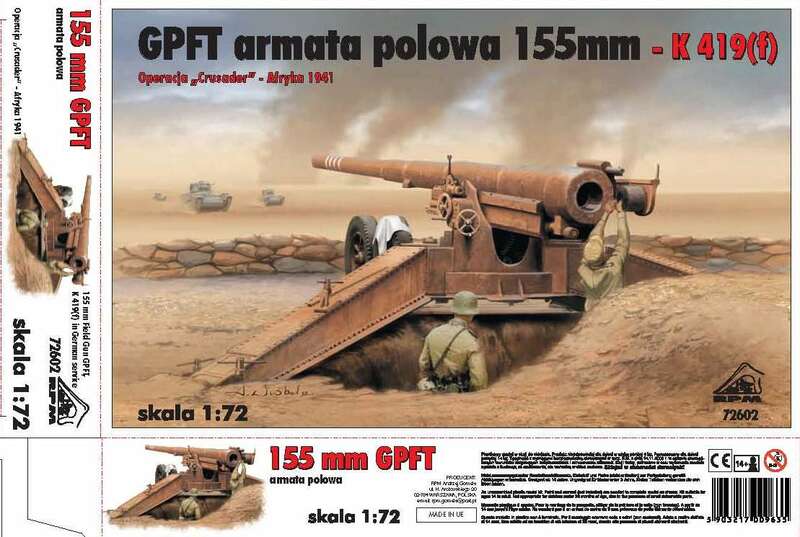 Instructions are on the back of the box, while the front of the box is the only painting/decaling guide. 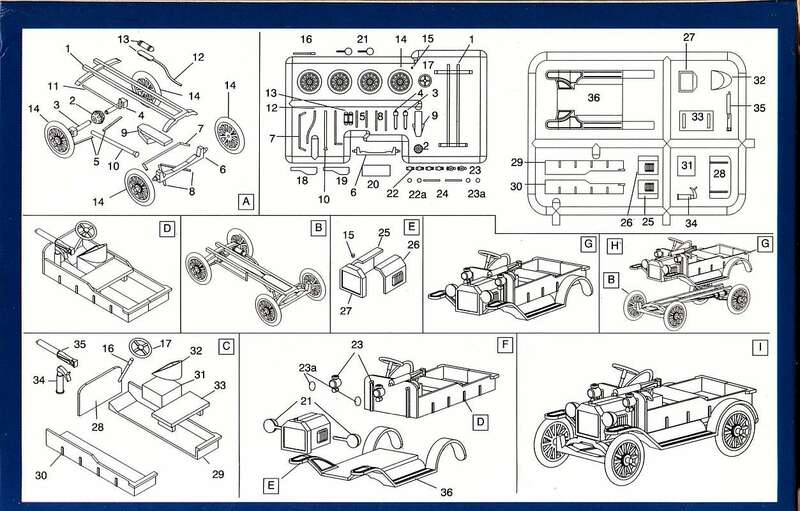 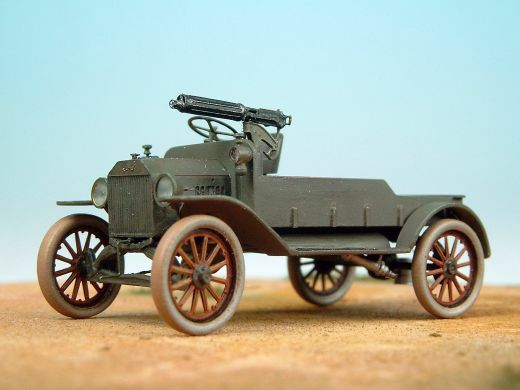 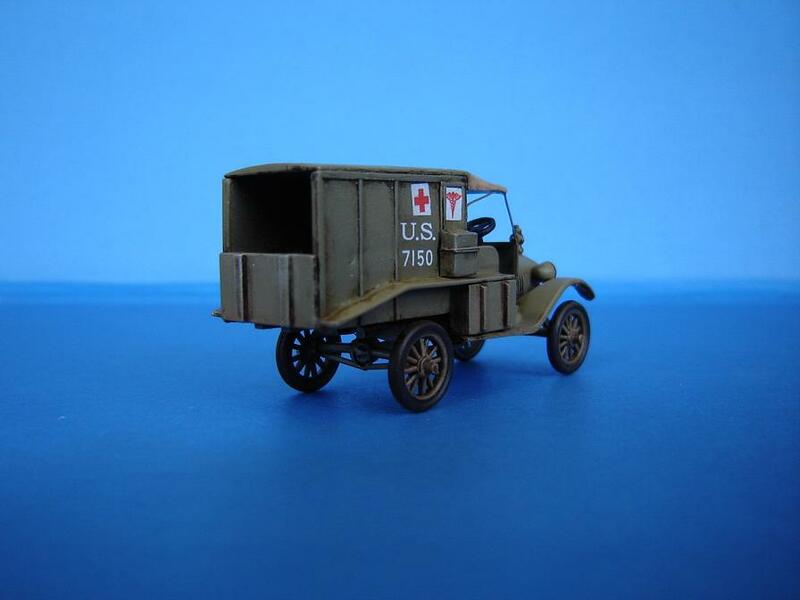 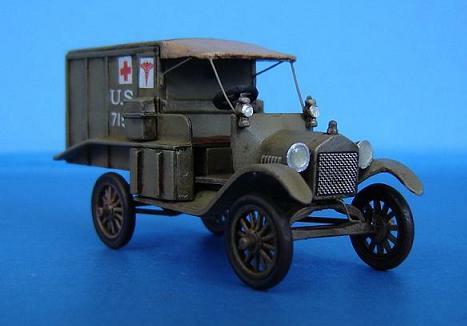 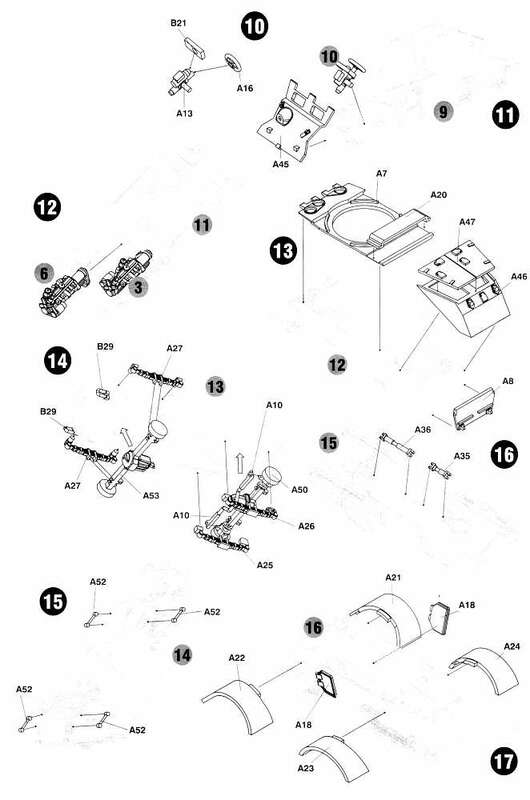 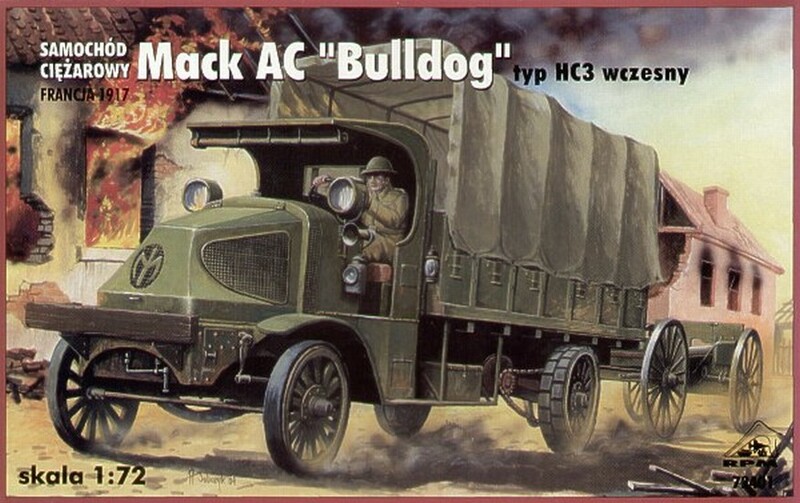 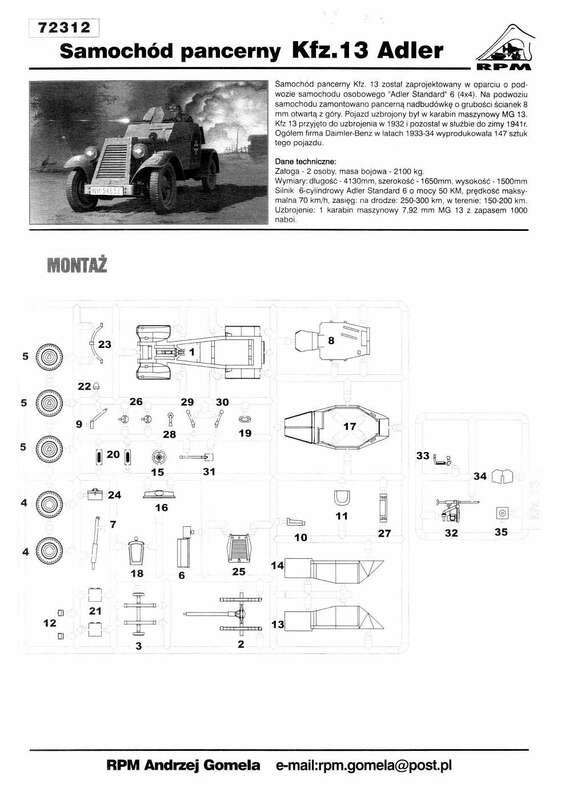 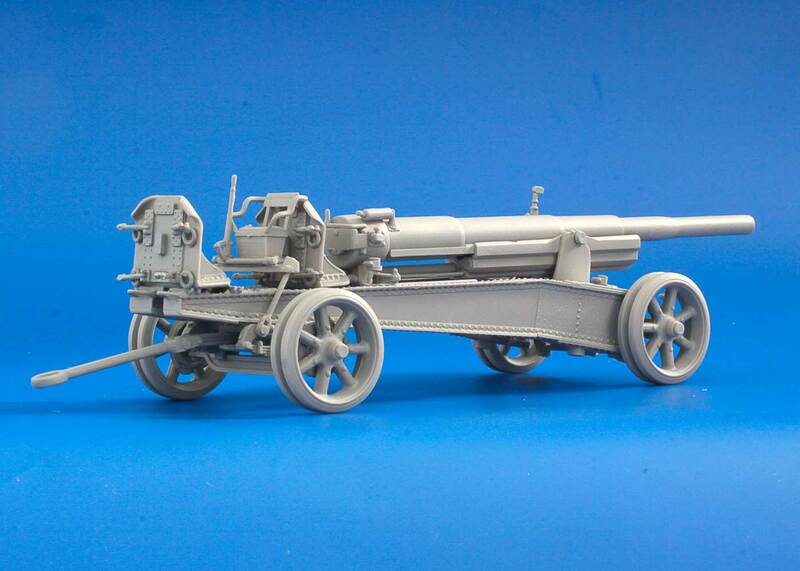 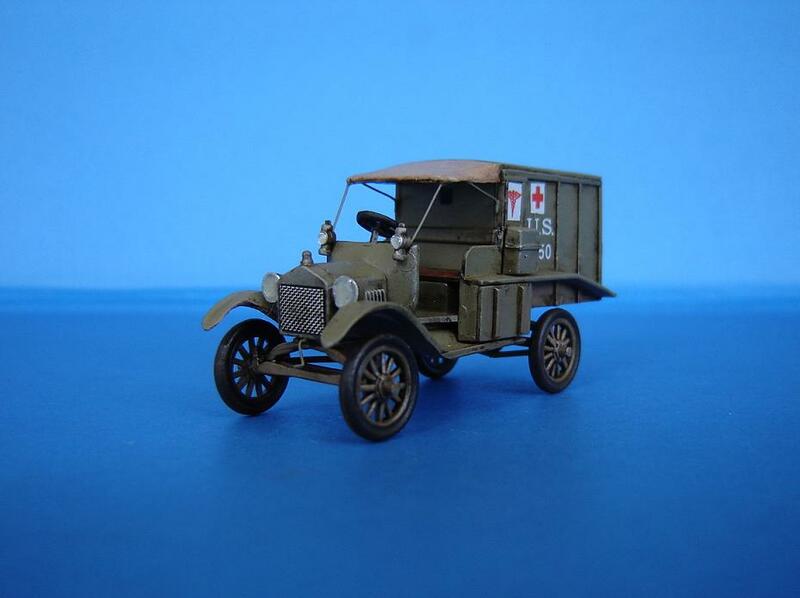 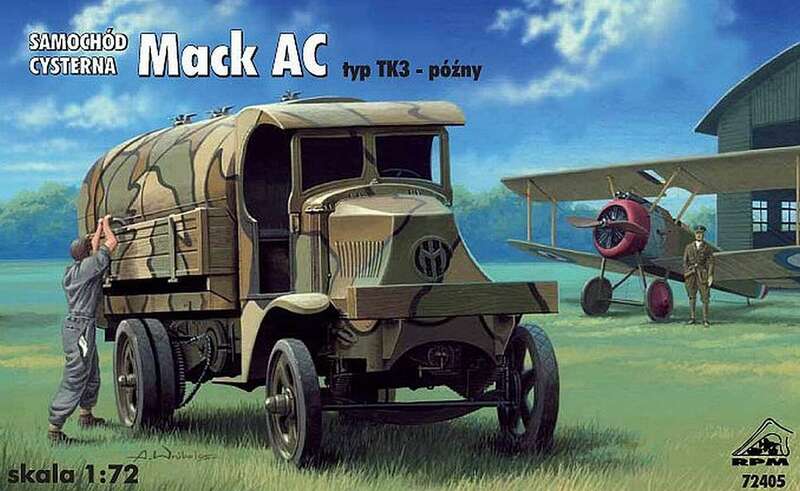 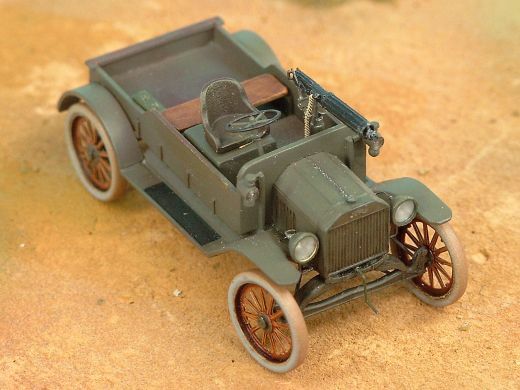 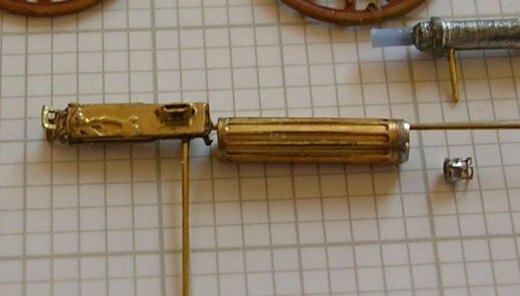 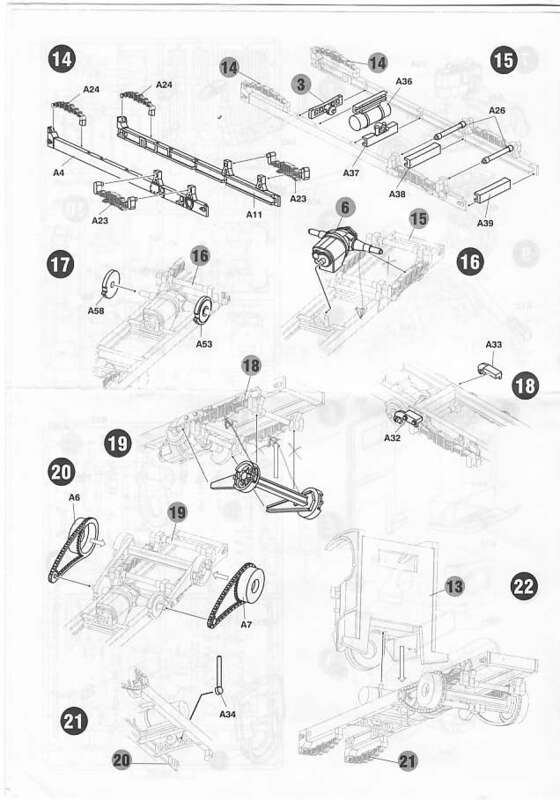 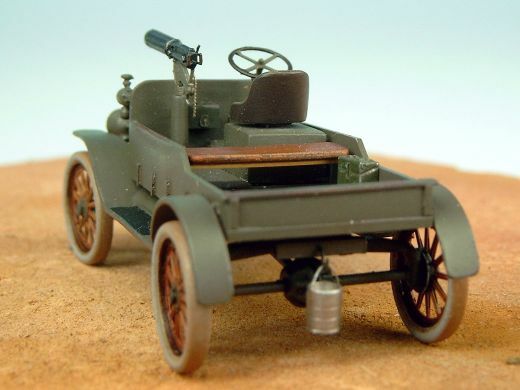 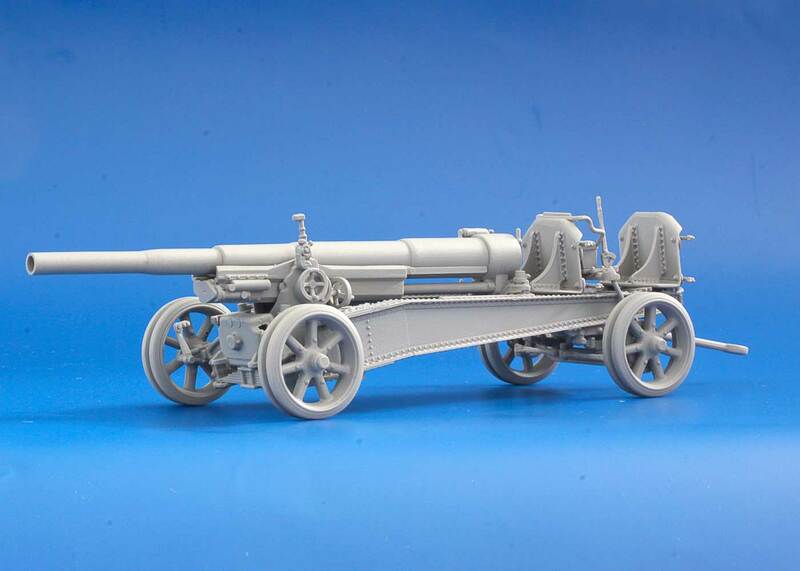 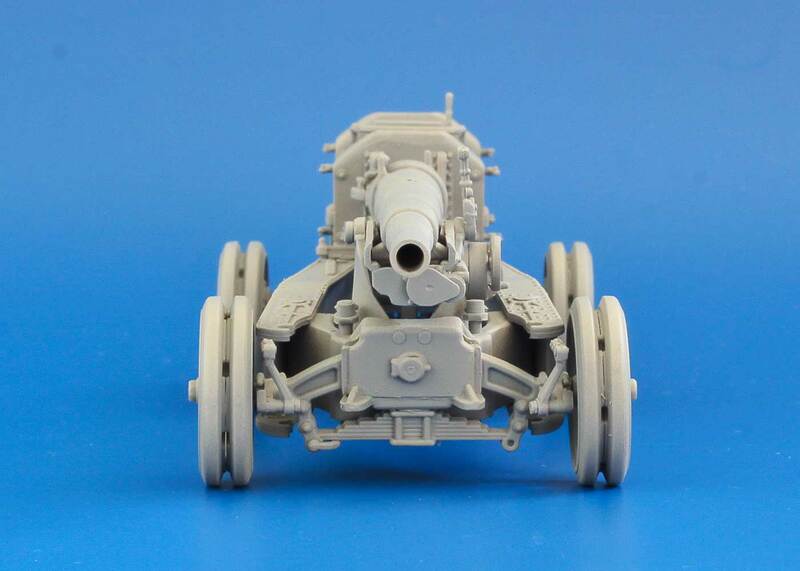 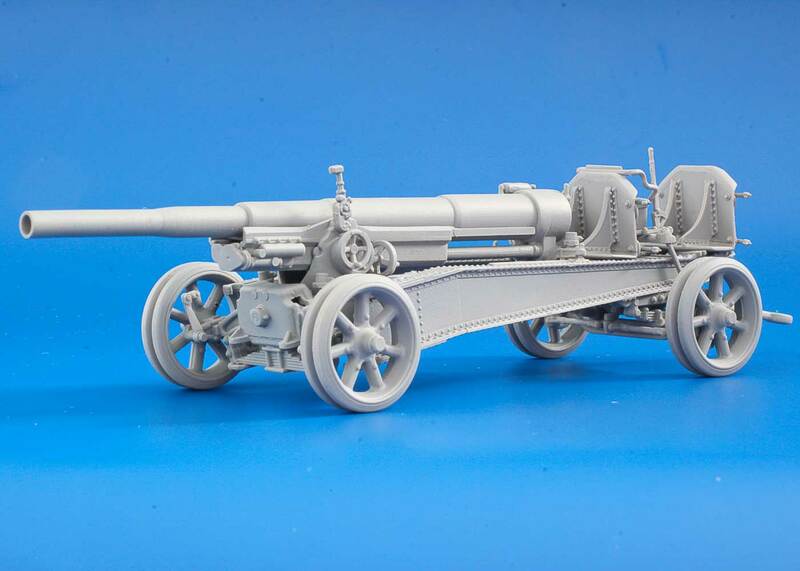 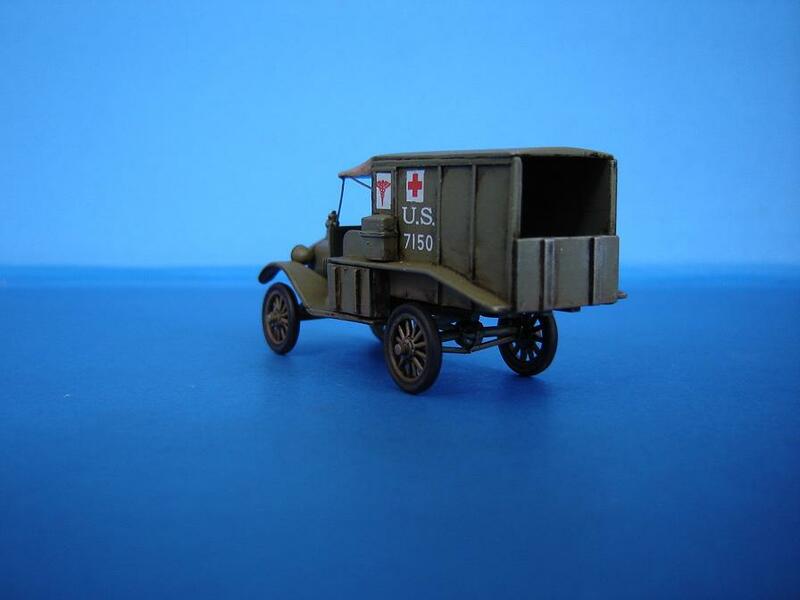 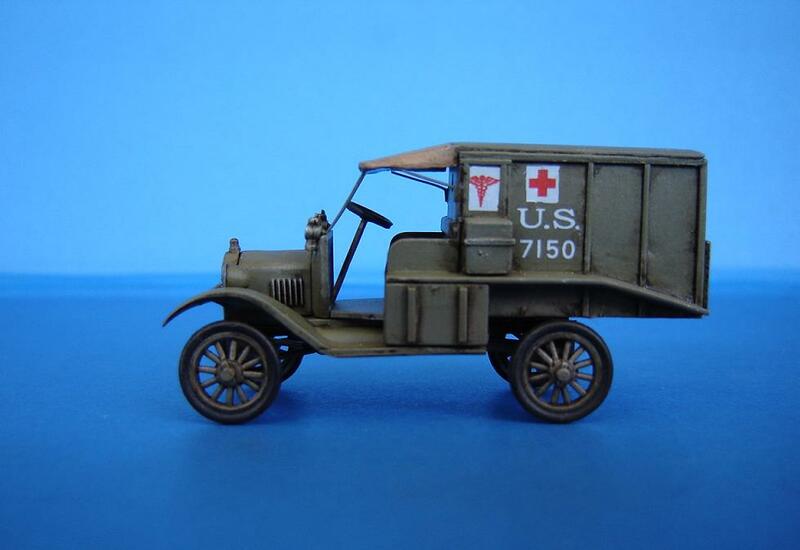 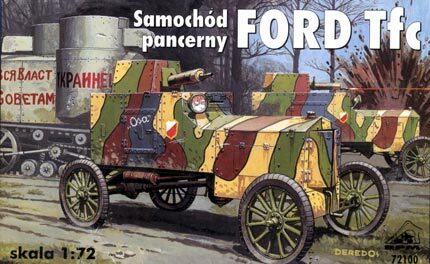 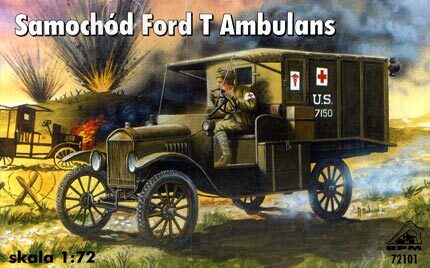 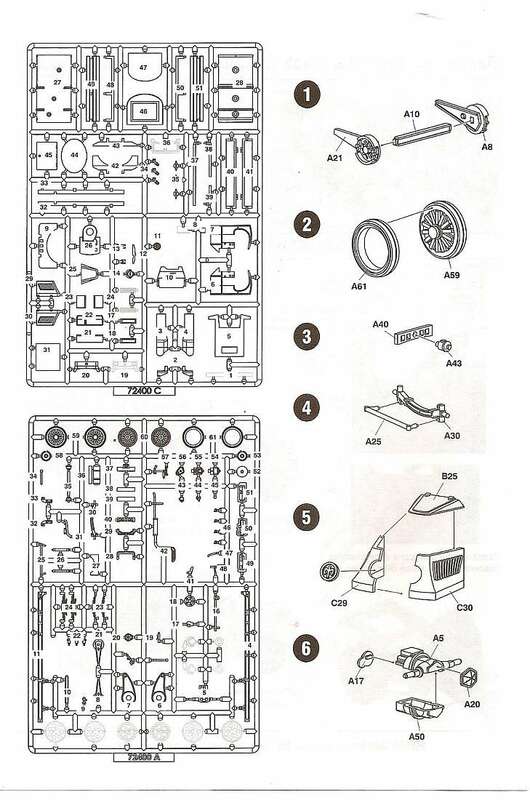 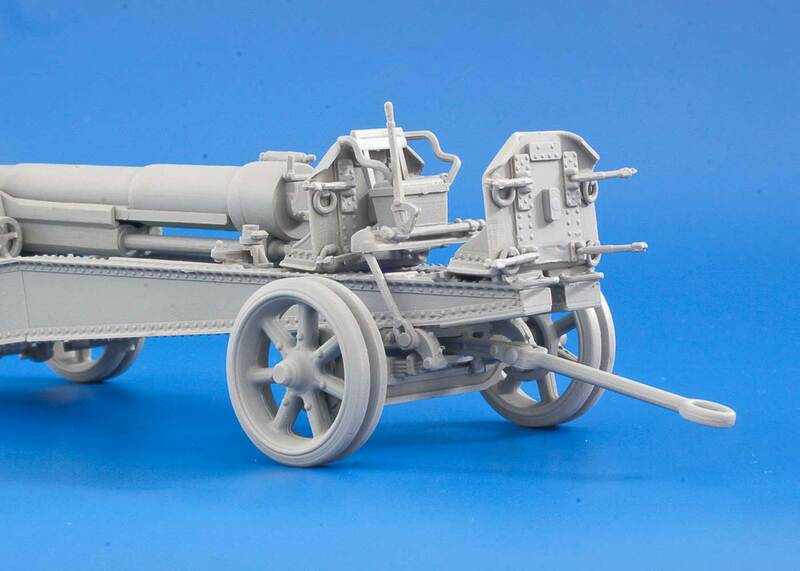 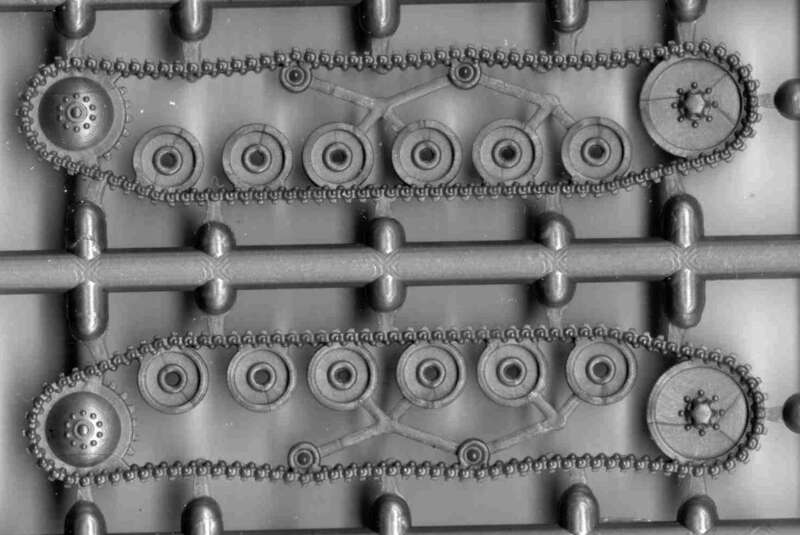 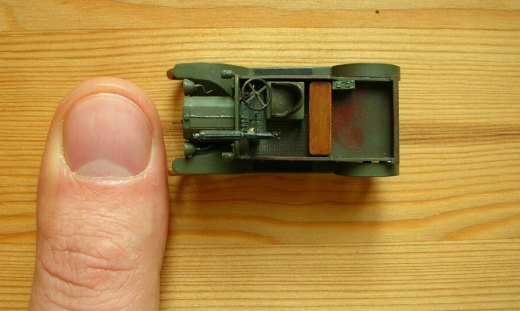 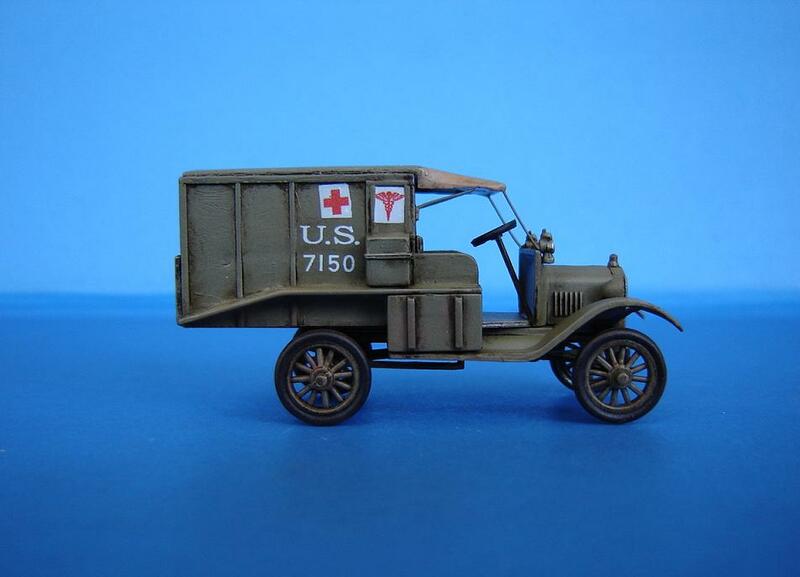 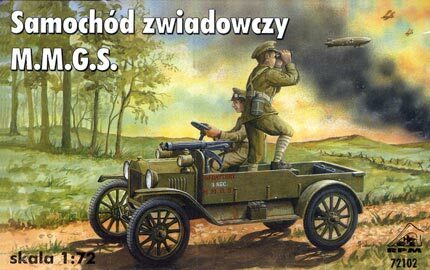 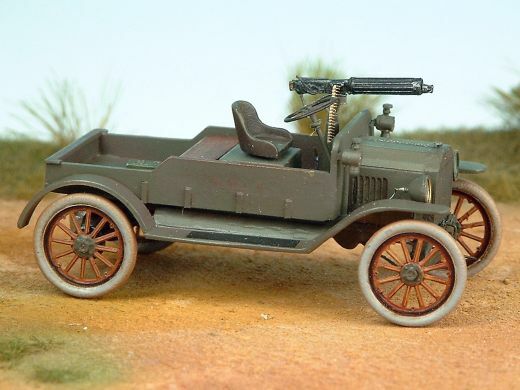 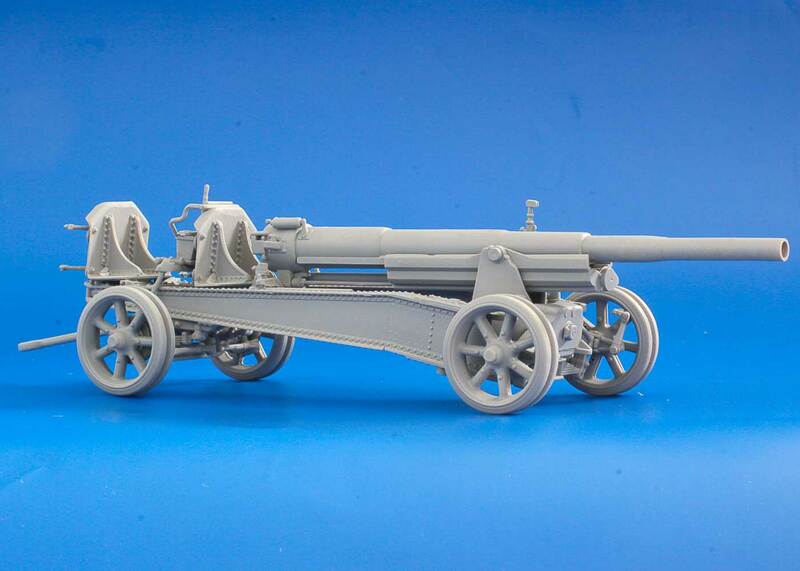 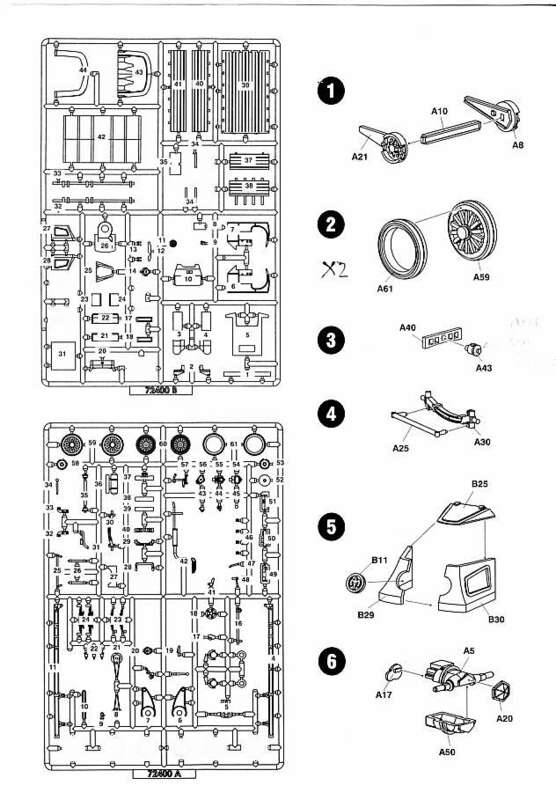 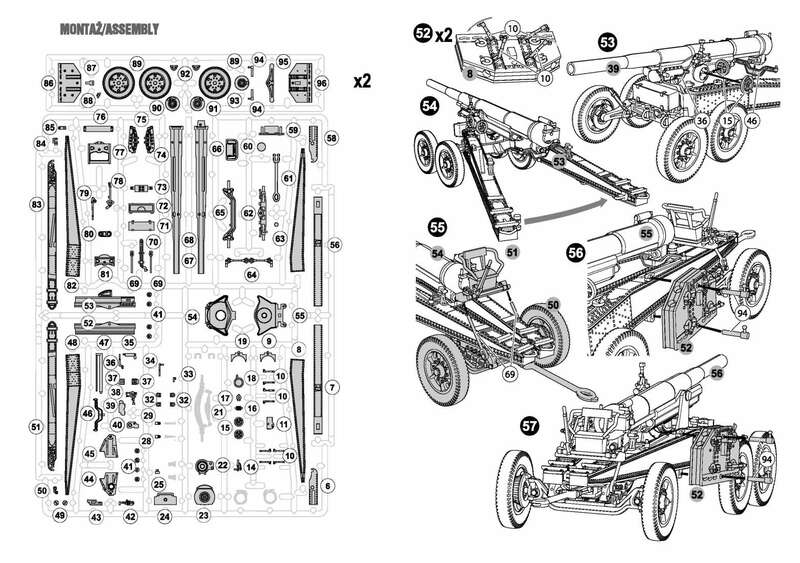 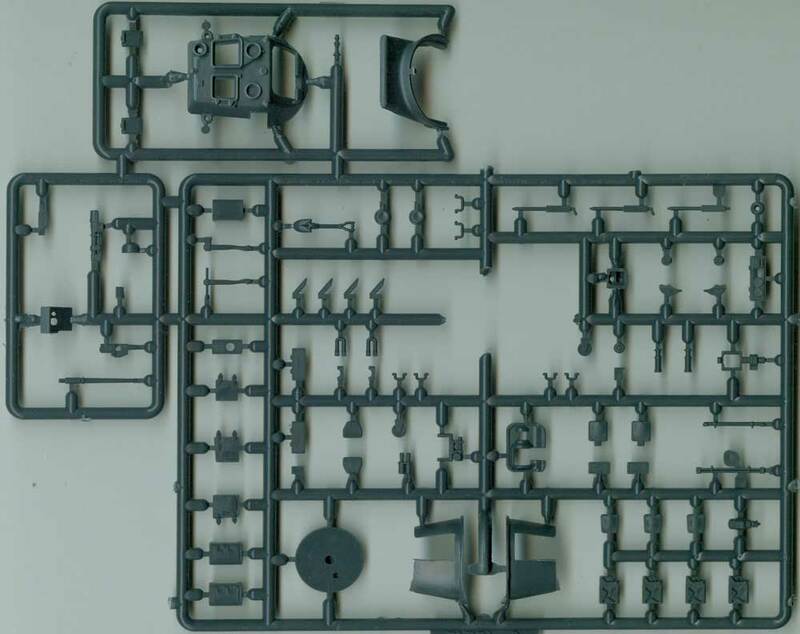 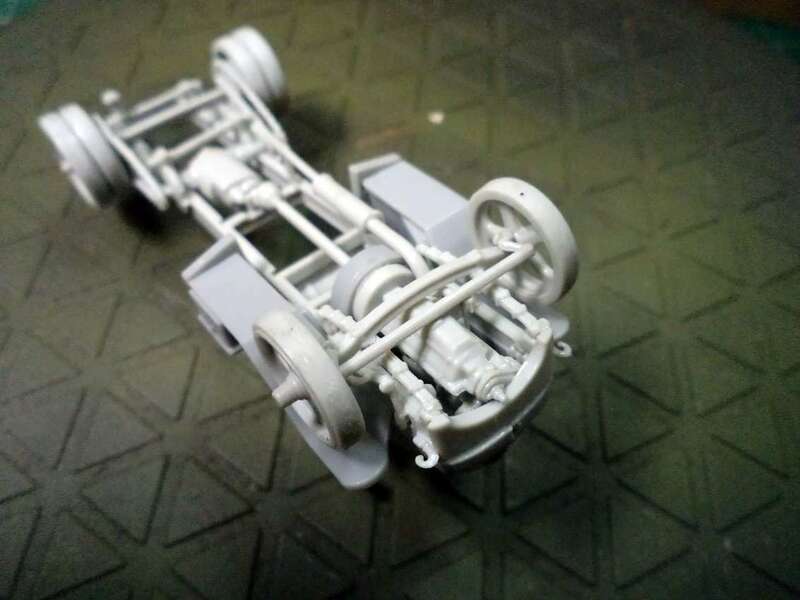 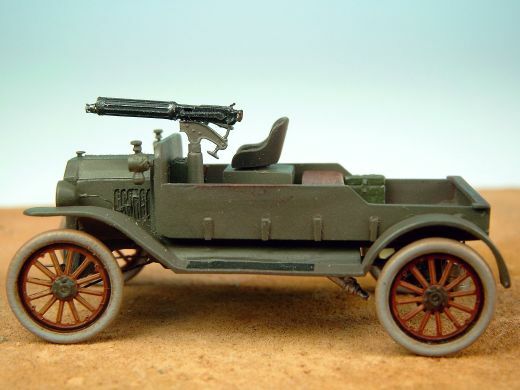 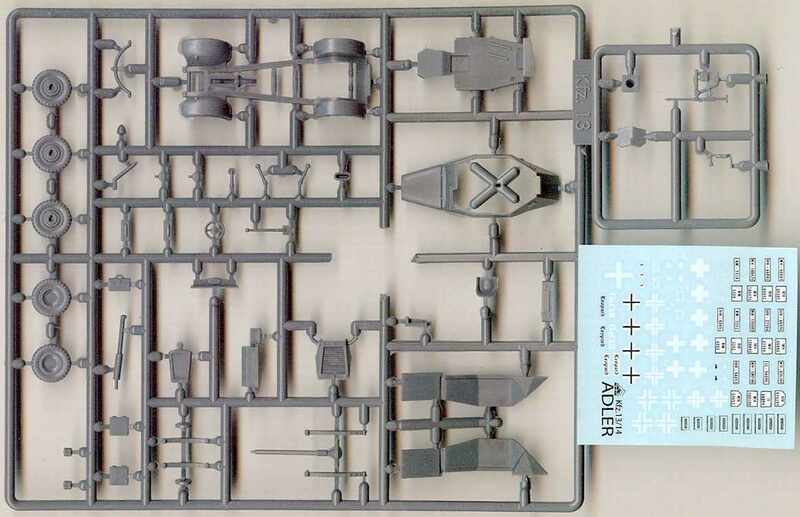 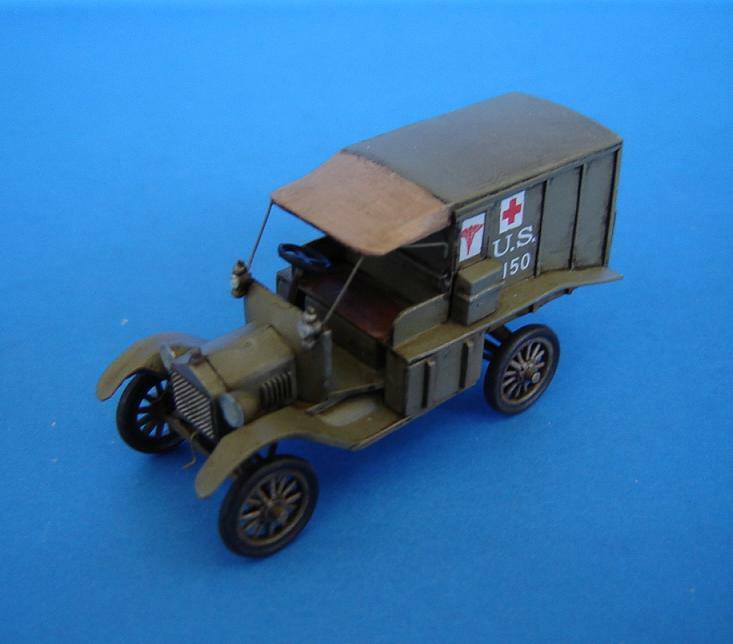 Kit 72102 - Ford model T - M.M.G.S. 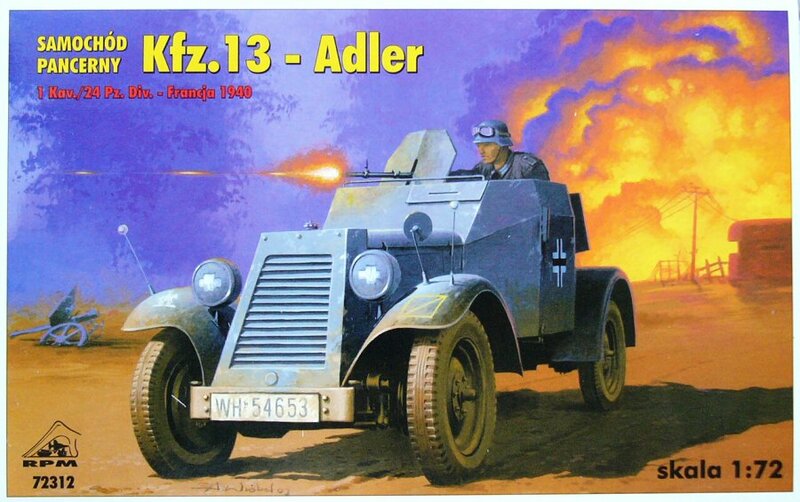 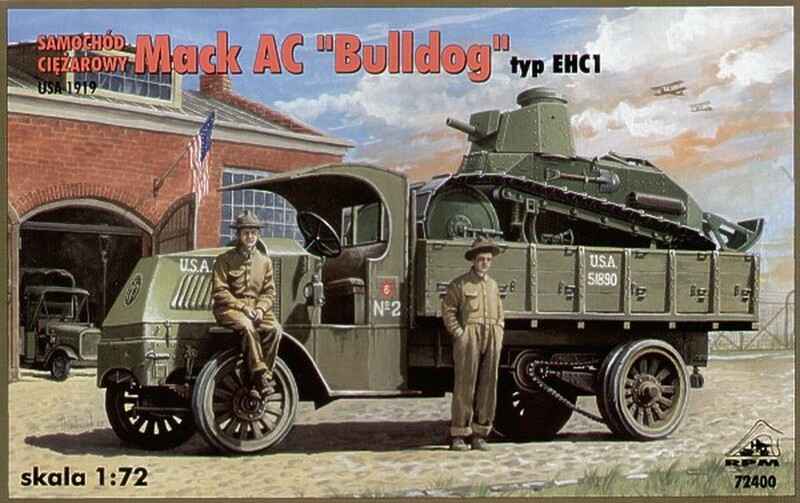 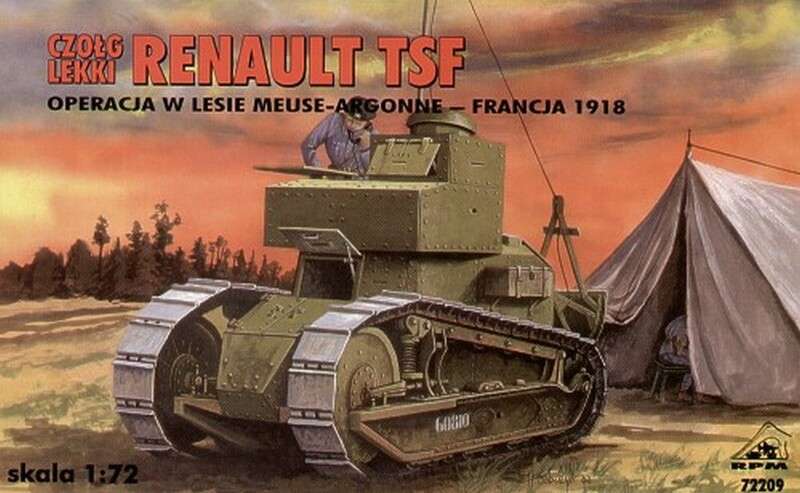 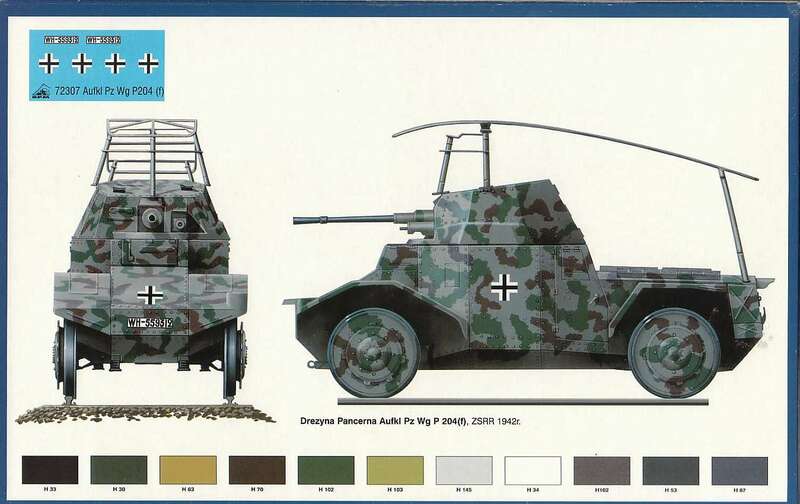 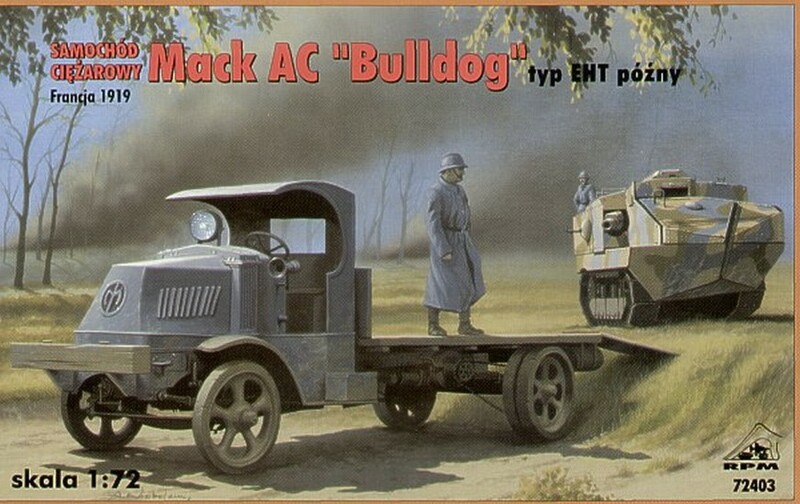 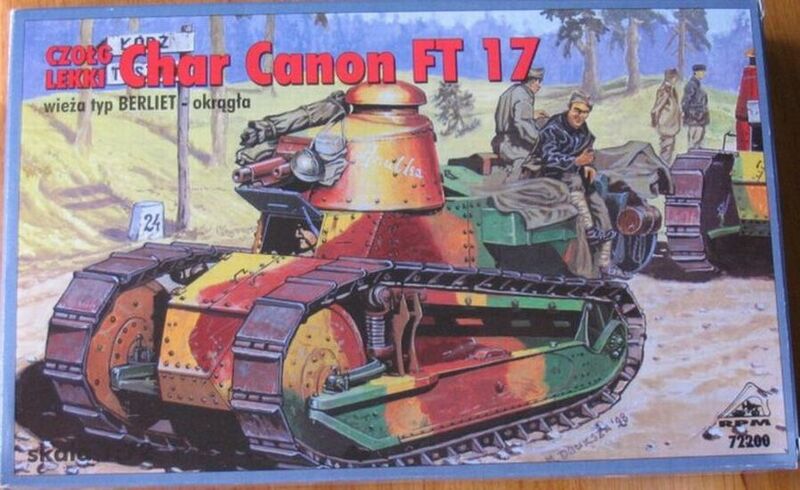 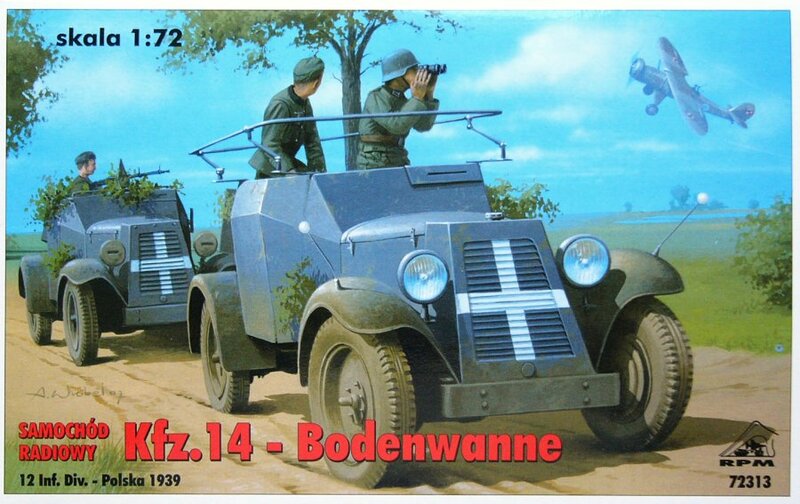 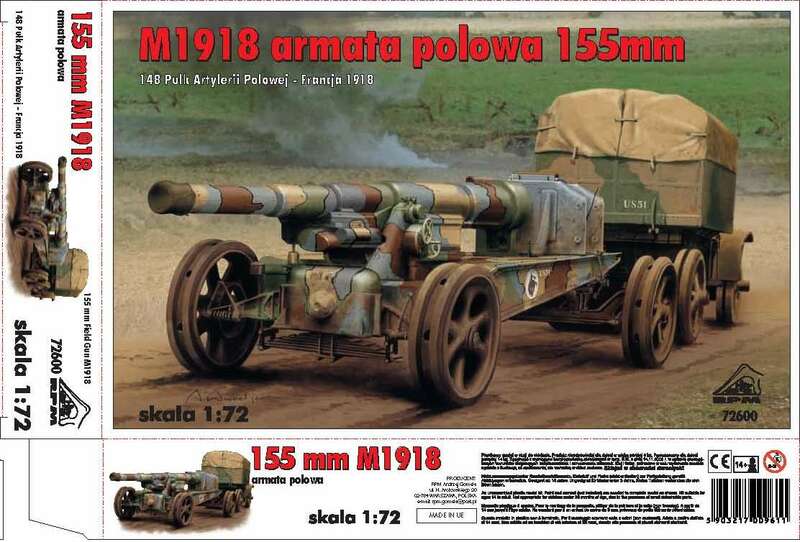 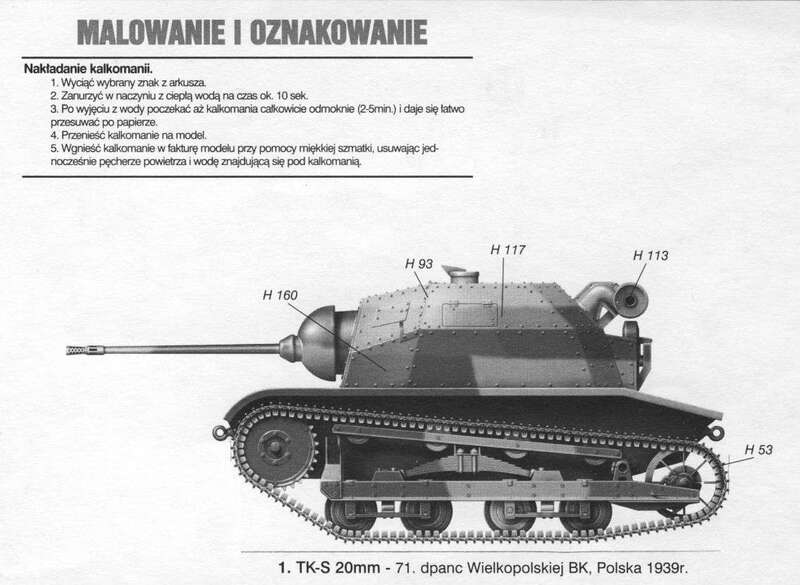 This was an early type of armoured personnel carrier...going by the dash mounted machine gun. 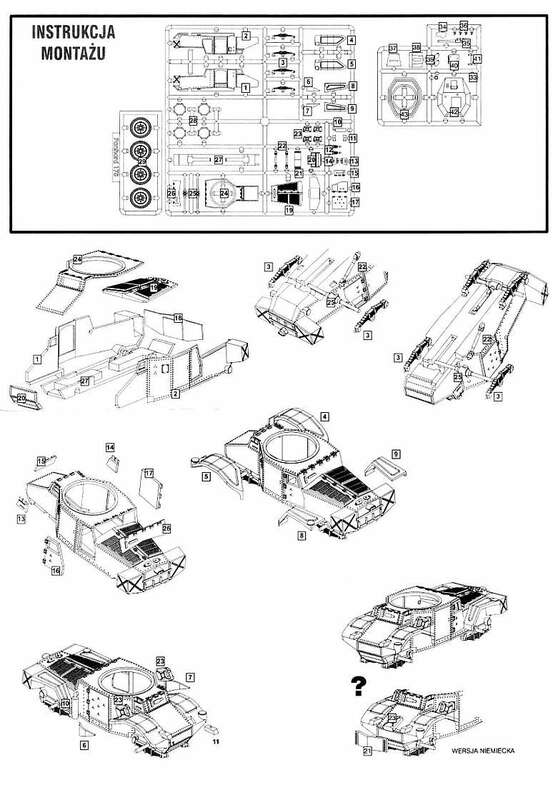 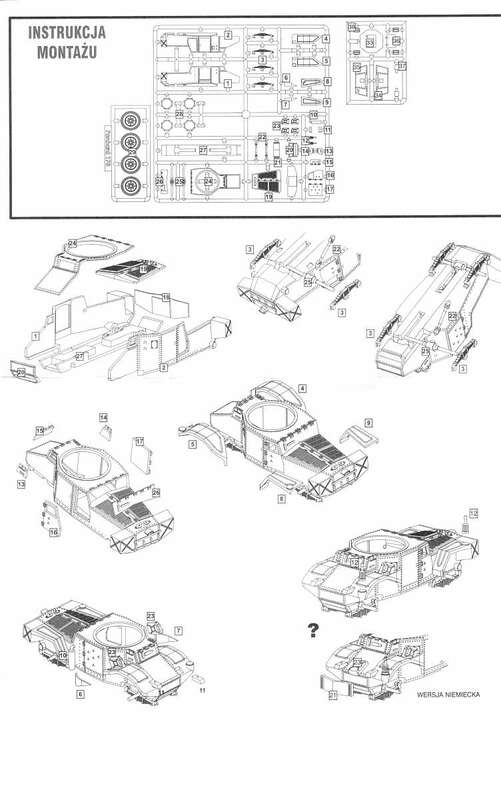 Once again, based on the Ford Tc kit and sharing the same chassis etc. 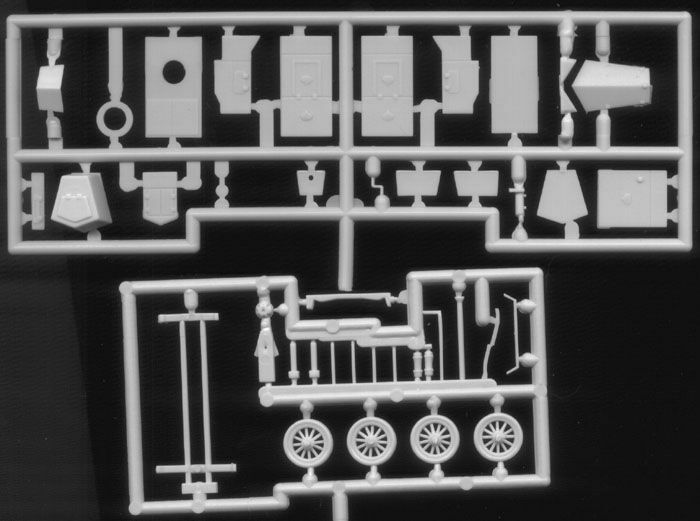 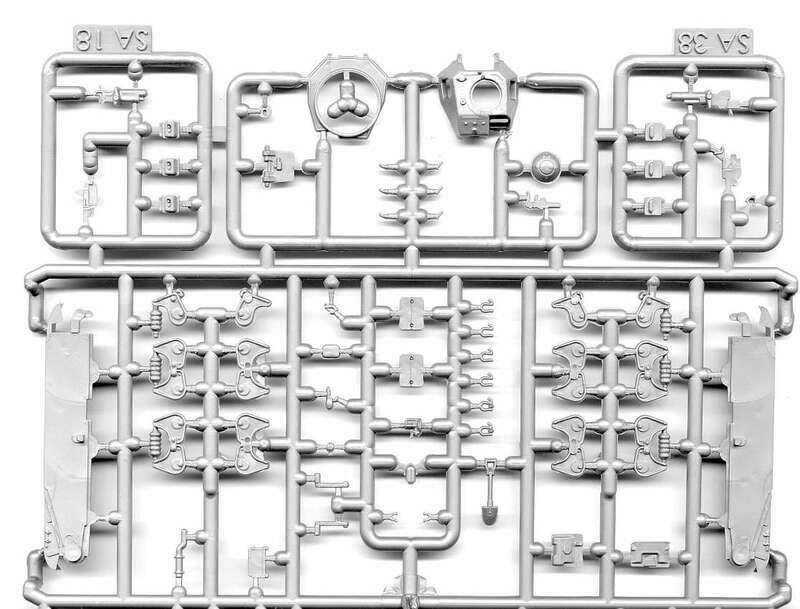 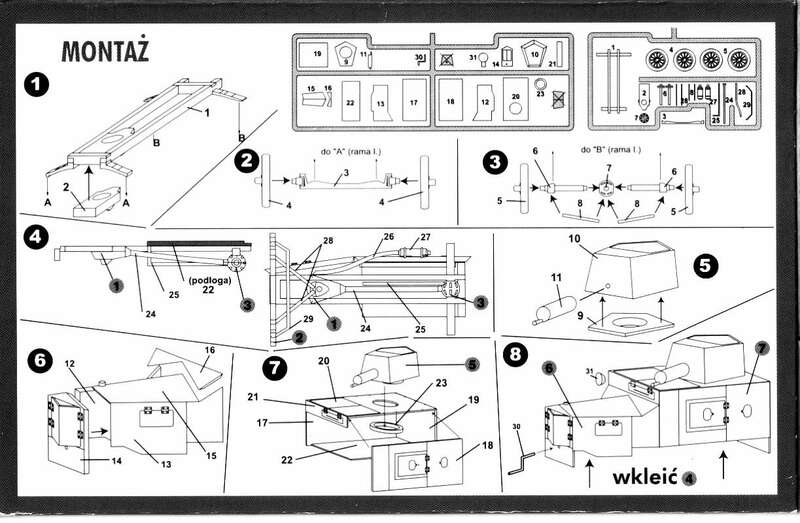 as the ambulance, this kit has just 48 finely moulded parts...but no figures (as per the box top). 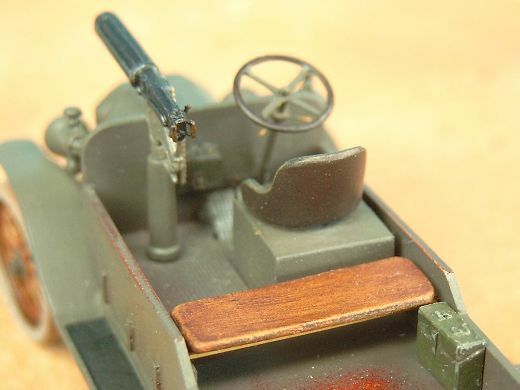 Besides the machine gun and mount, the only 'interior' detail are the driver's seat and a rear bench seat. 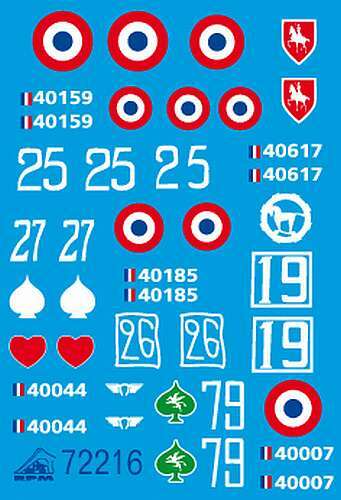 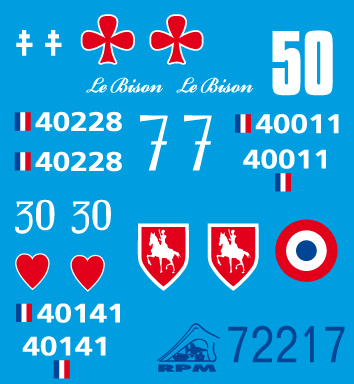 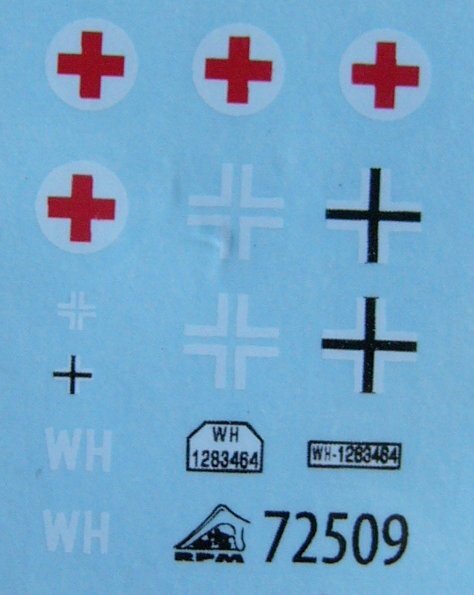 A small set of decals has markings as per the box top (actually, they are the same decals as in the ambulance kit...both have markings for either vehicle). 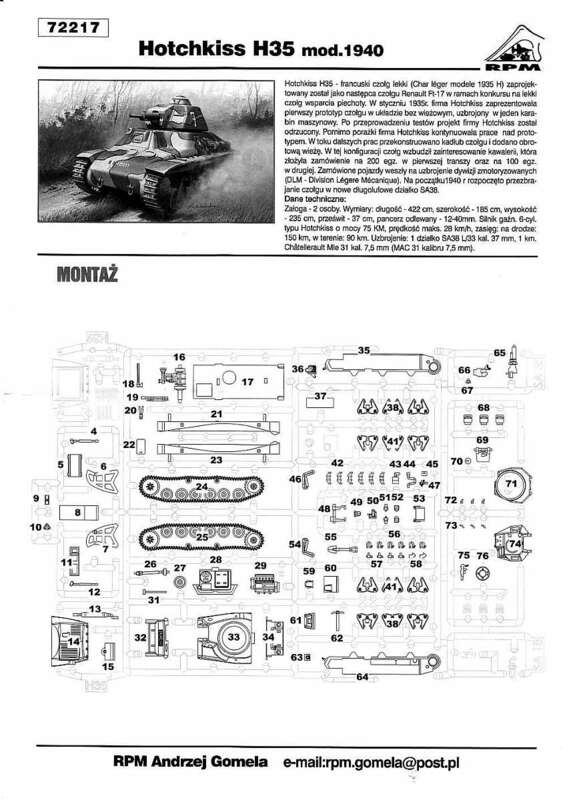 Back of the box instructions...box top painting/decaling guide! 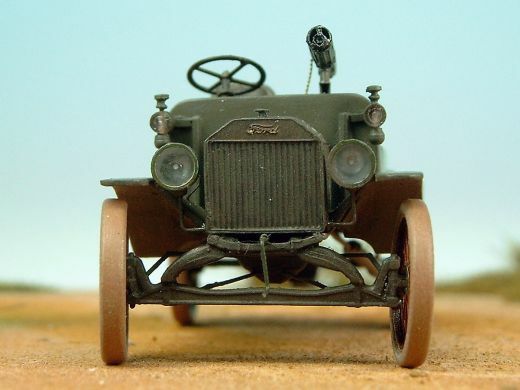 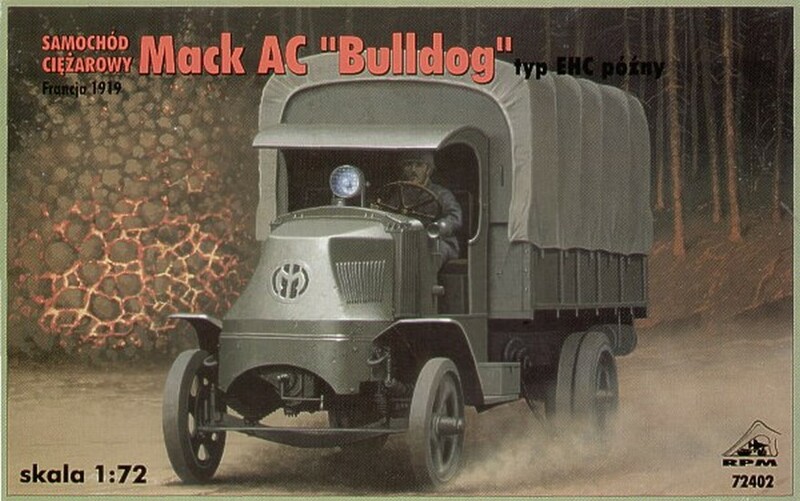 Built Ford Model T - M.M.G.S. 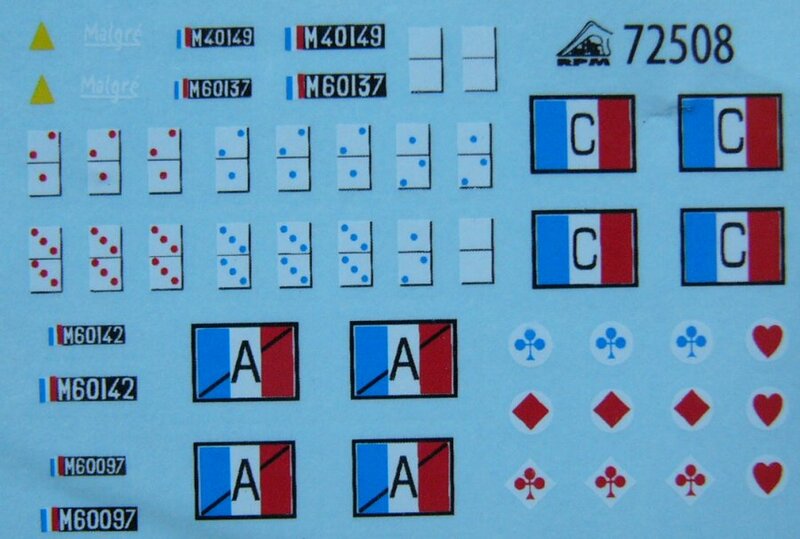 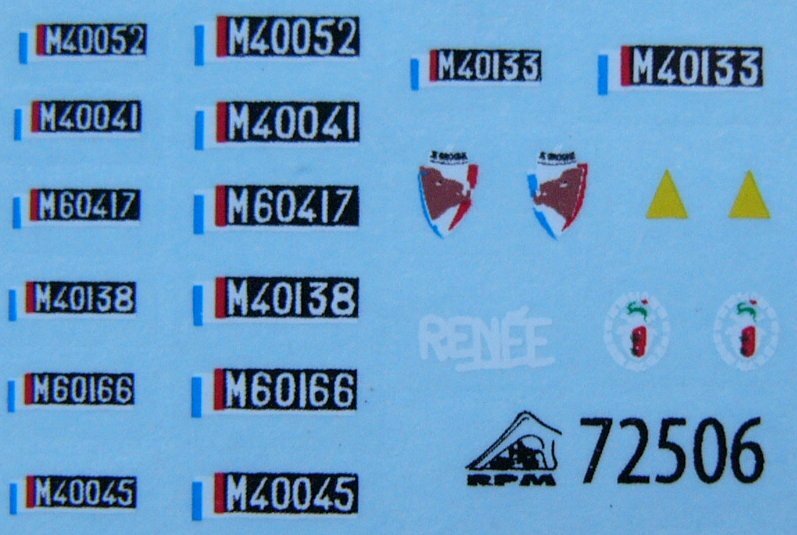 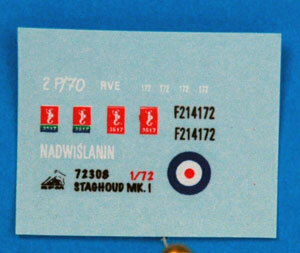 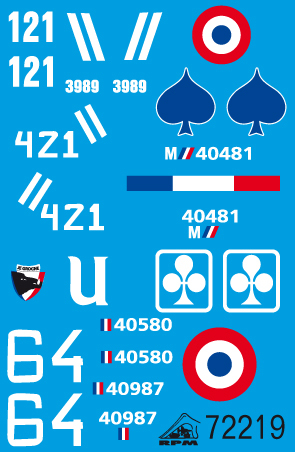 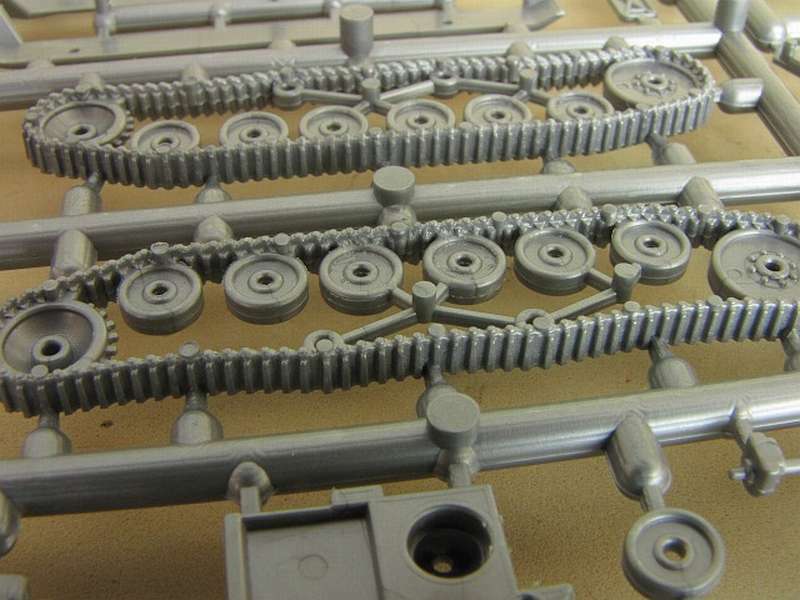 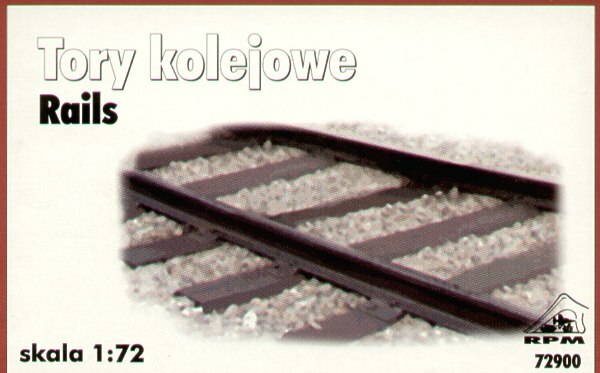 RPM FT 17 series - tracks don`t take paint either acrylic or enamel- one of several problems with these kits. 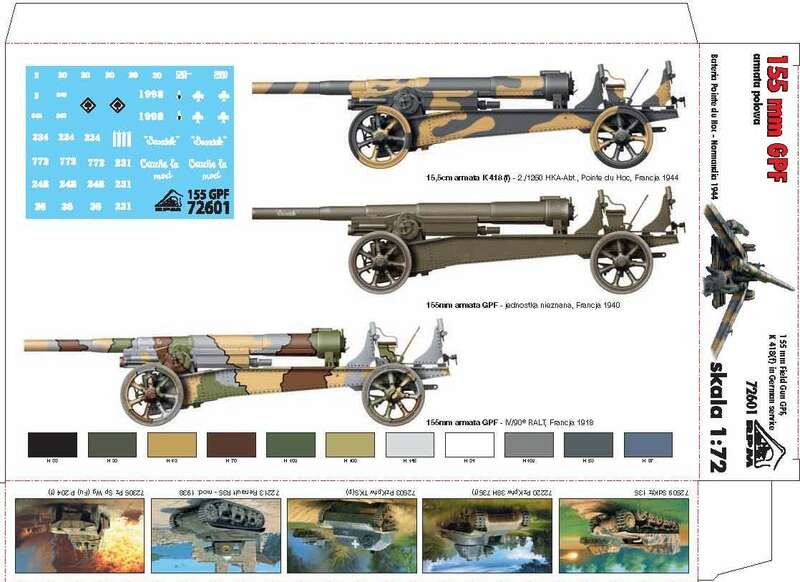 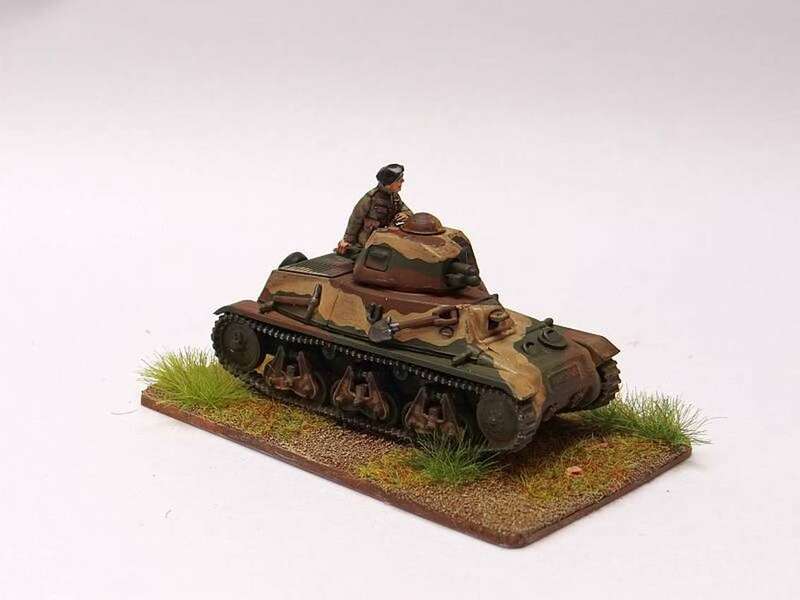 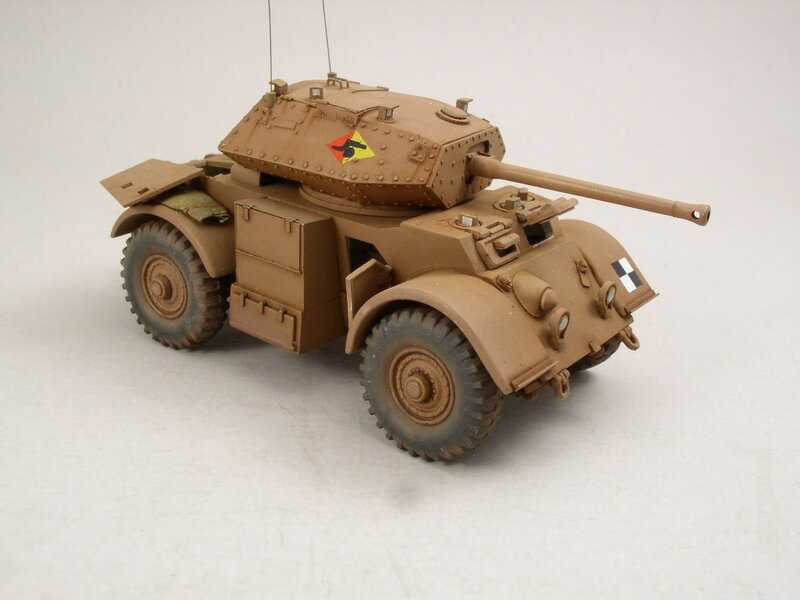 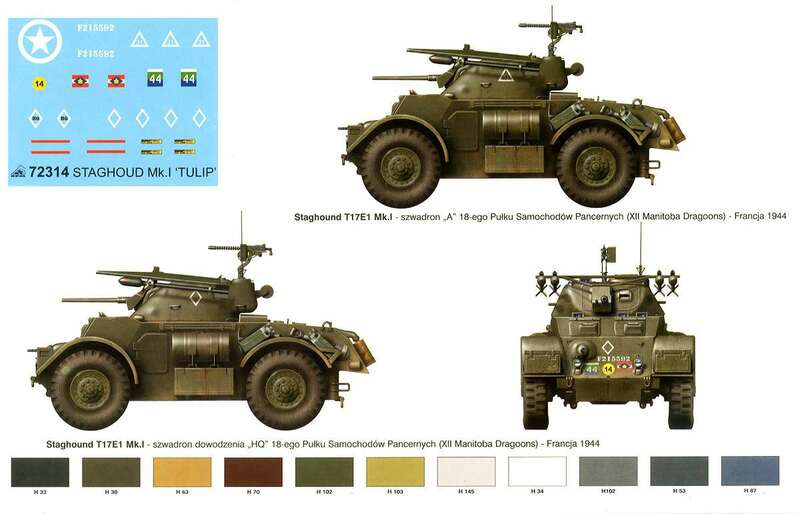 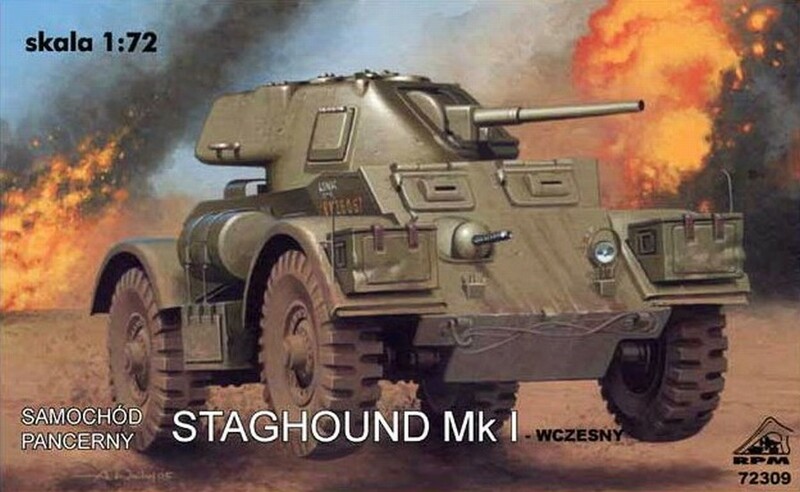 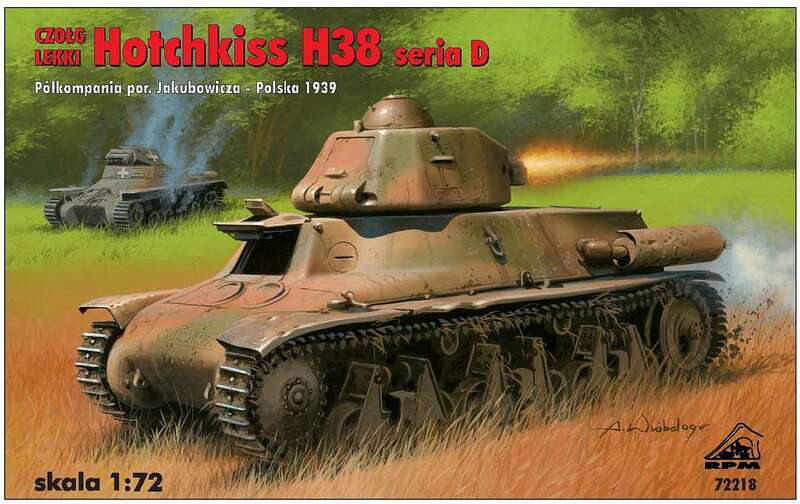 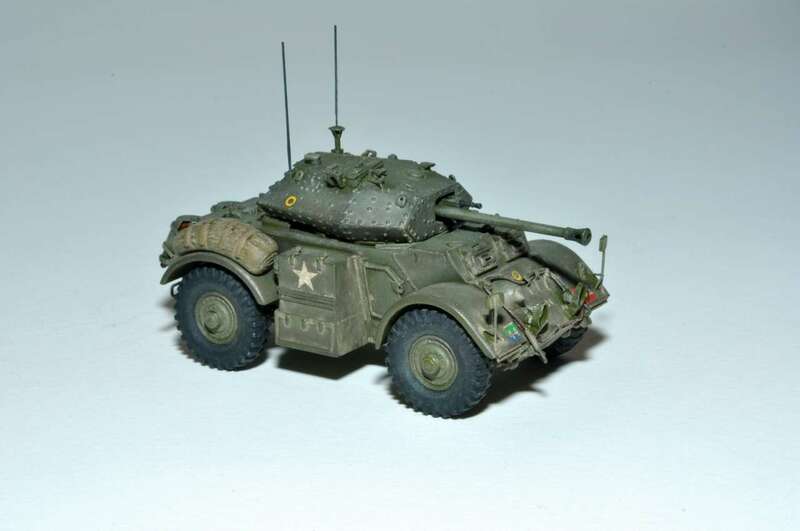 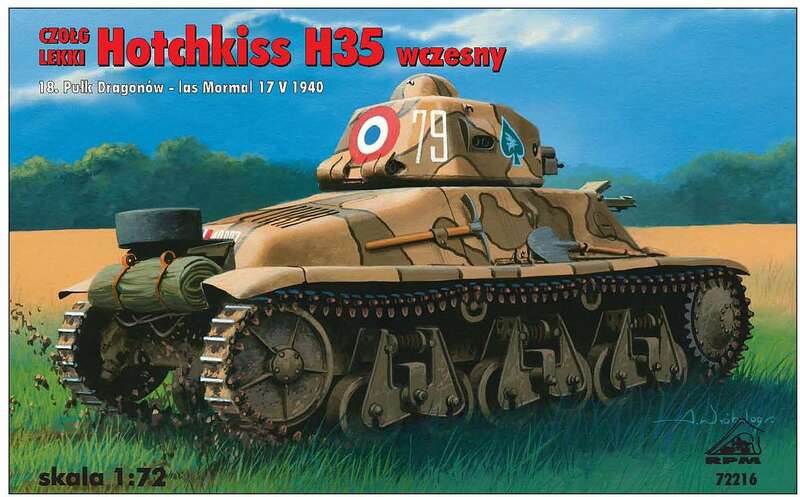 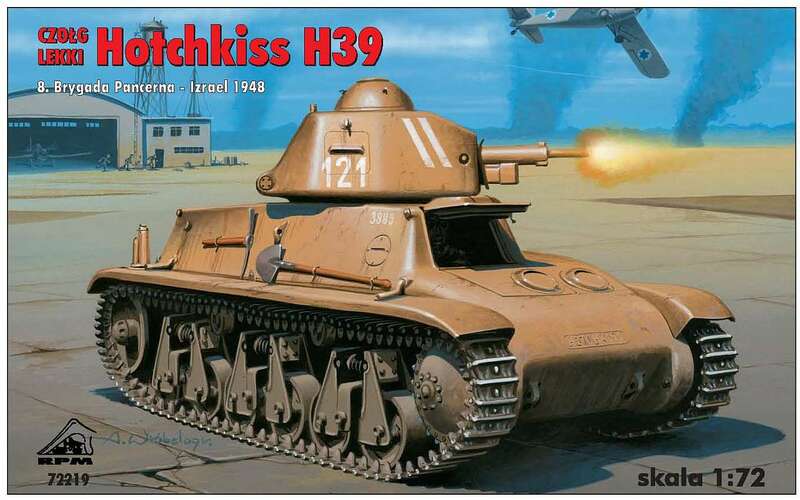 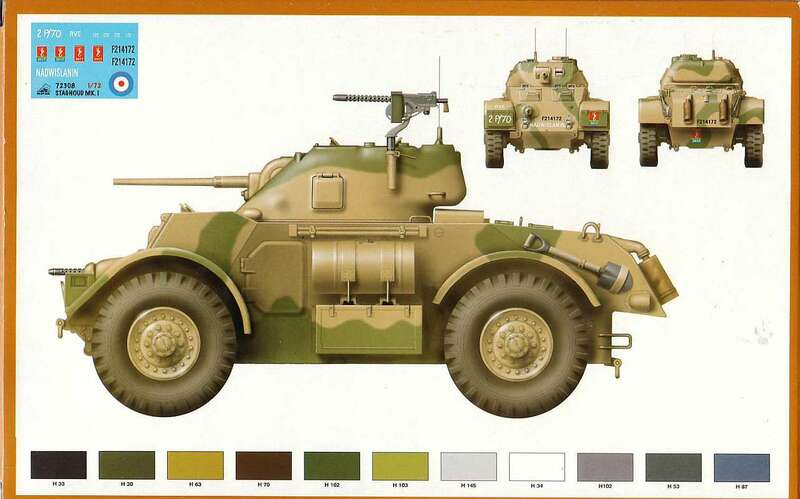 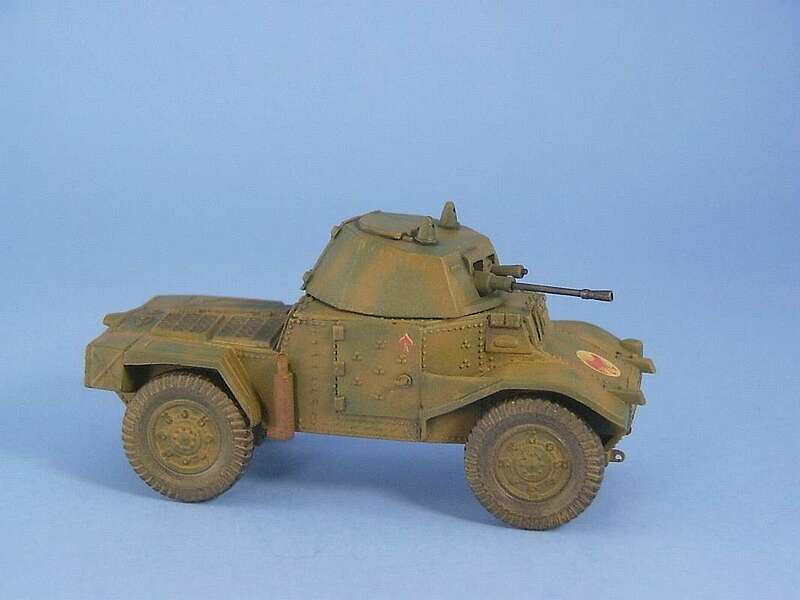 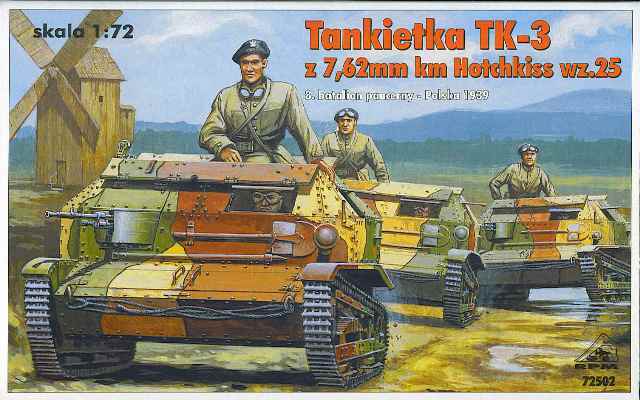 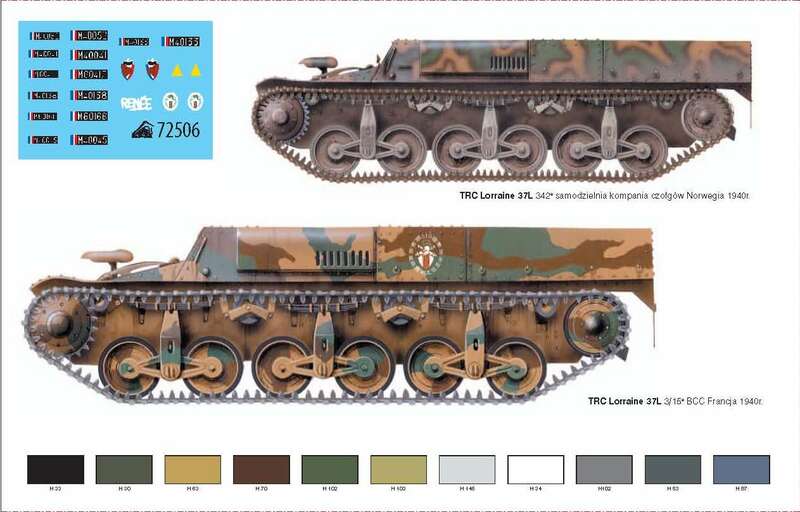 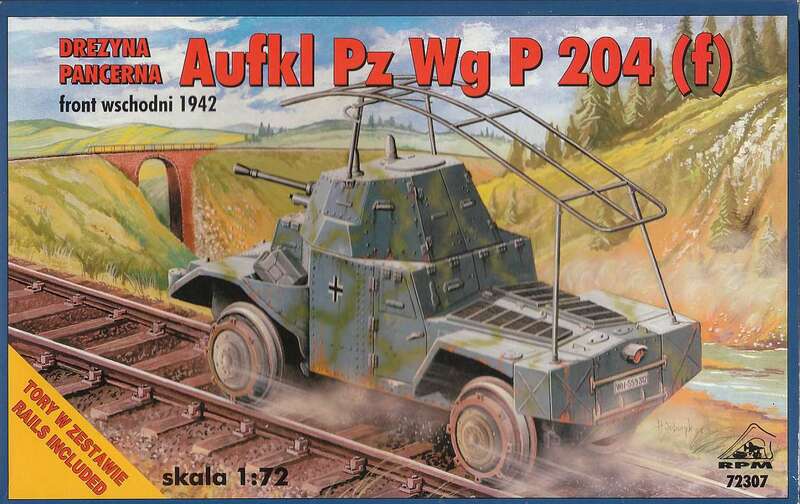 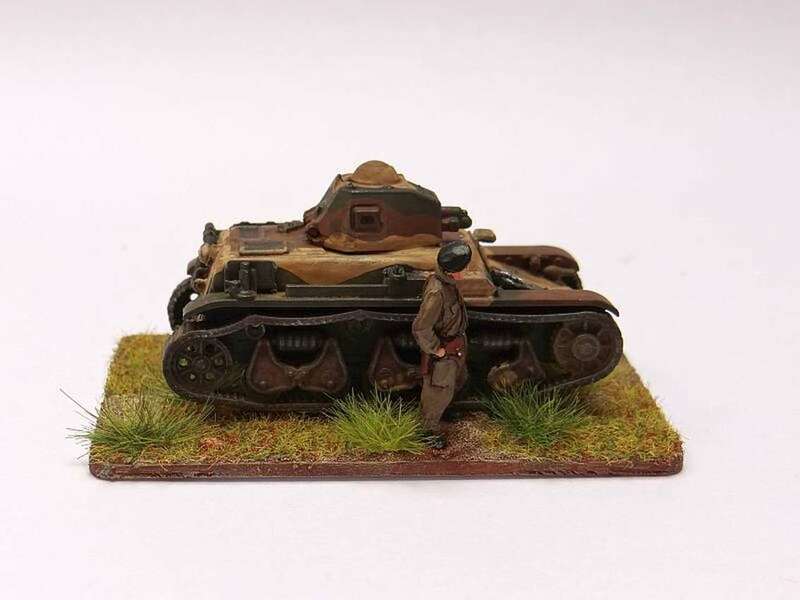 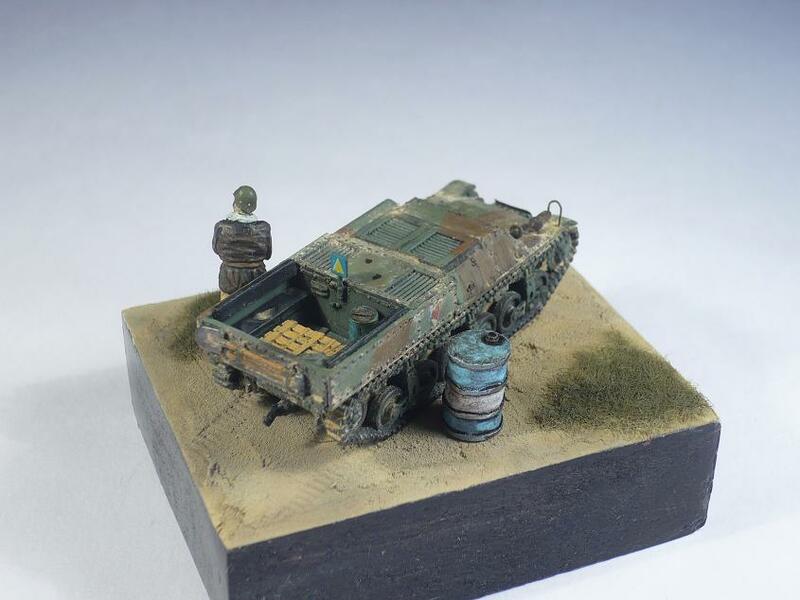 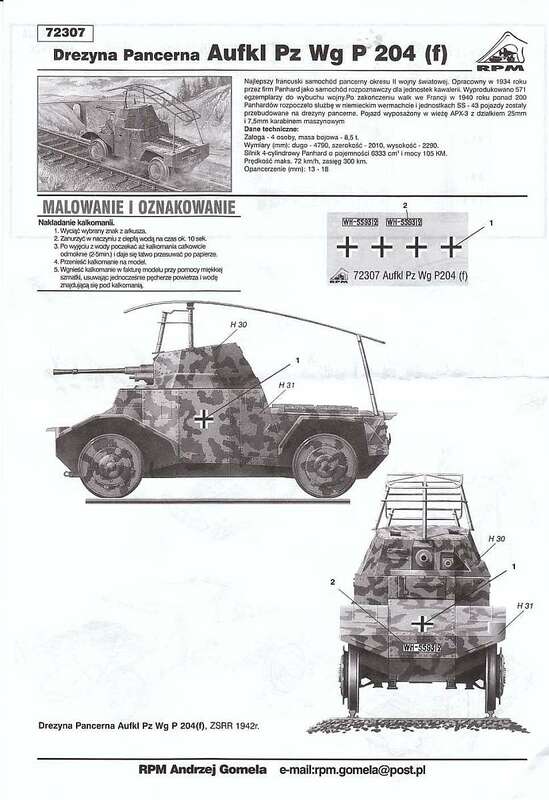 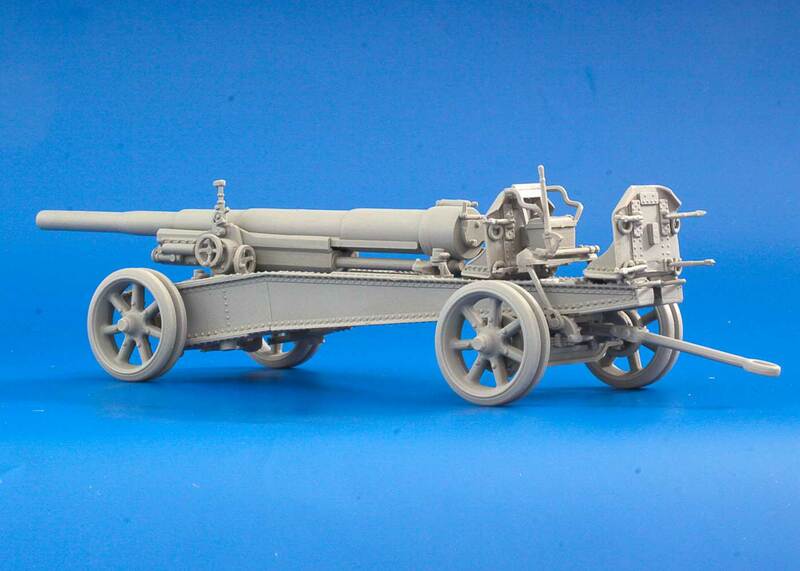 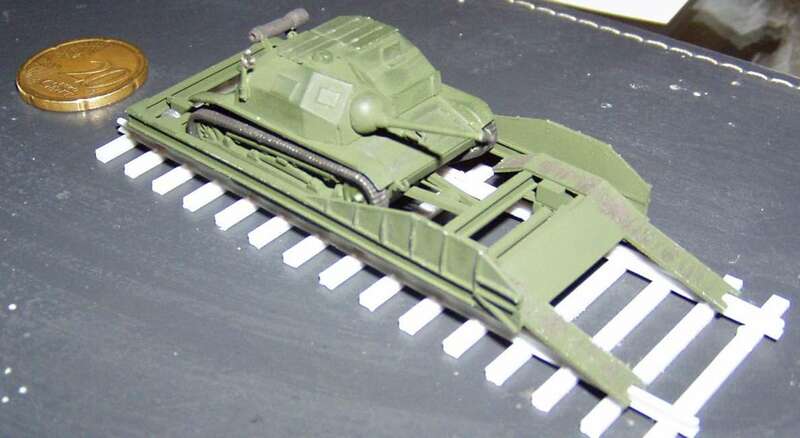 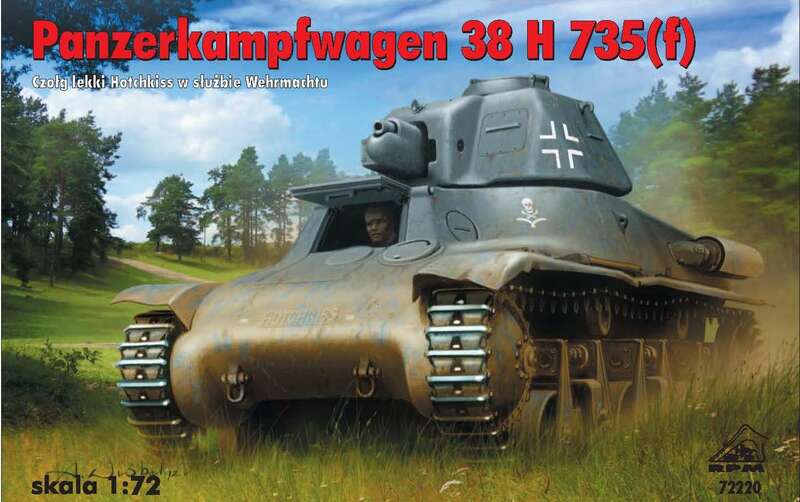 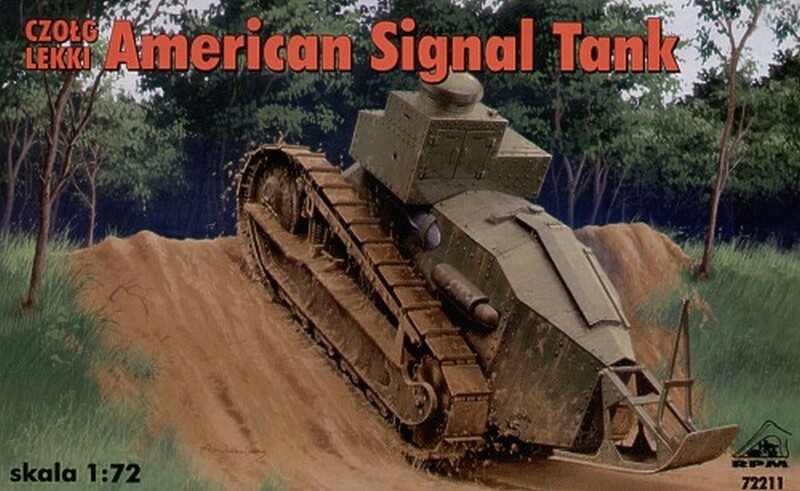 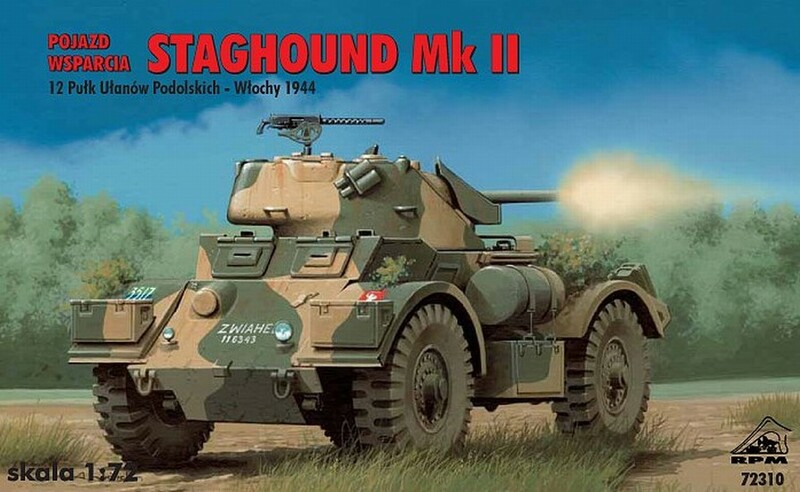 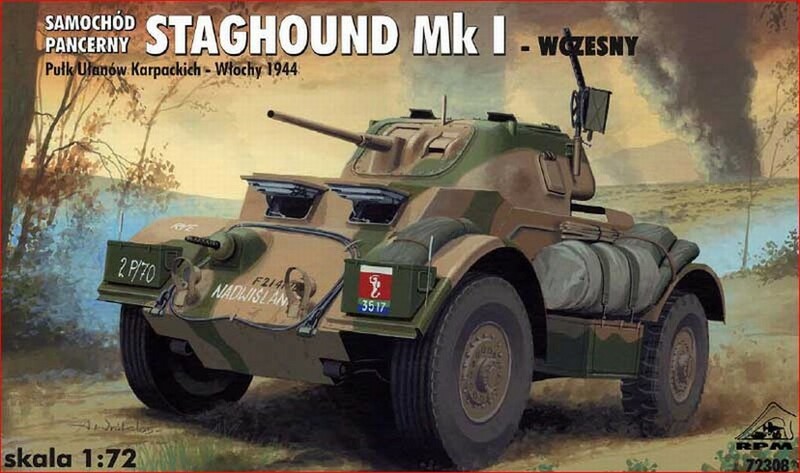 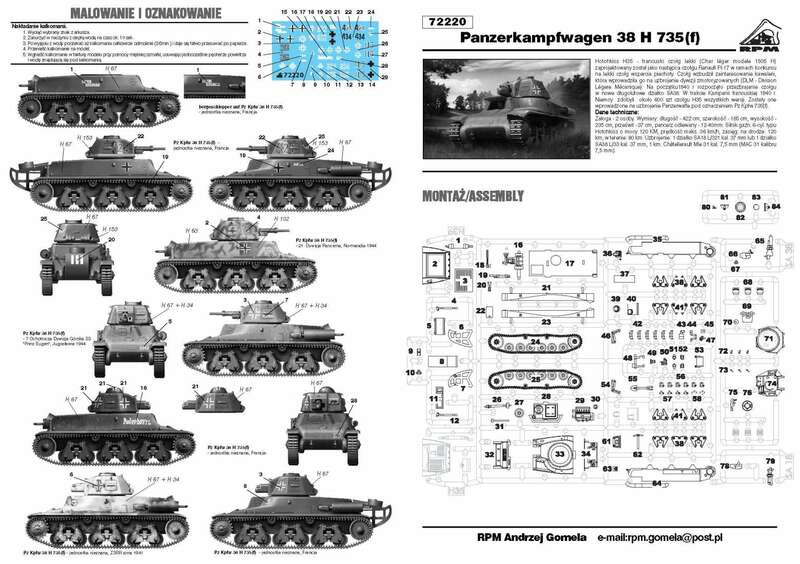 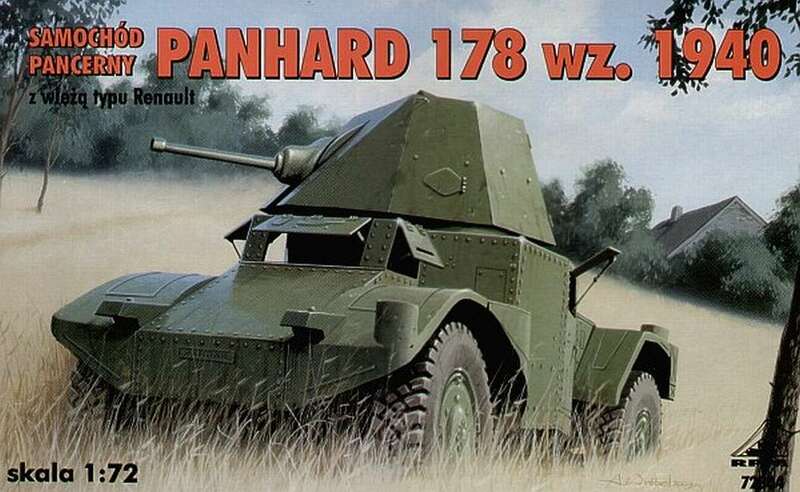 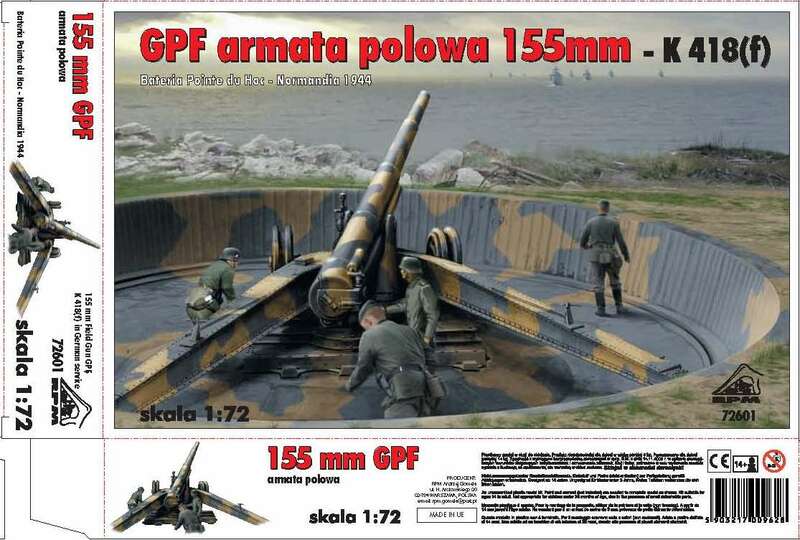 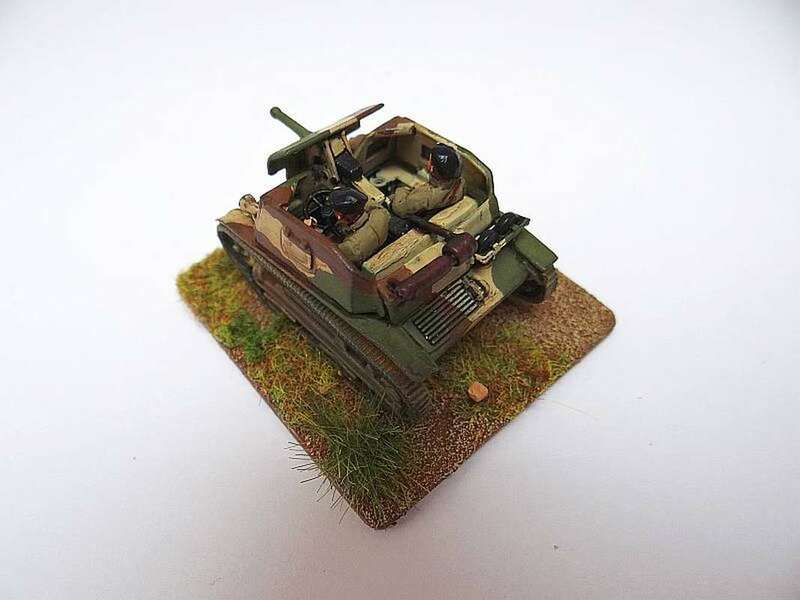 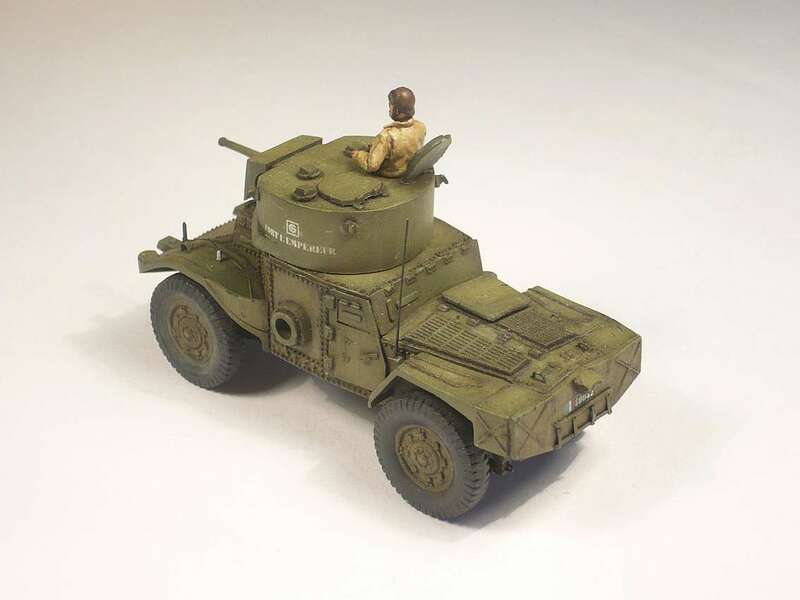 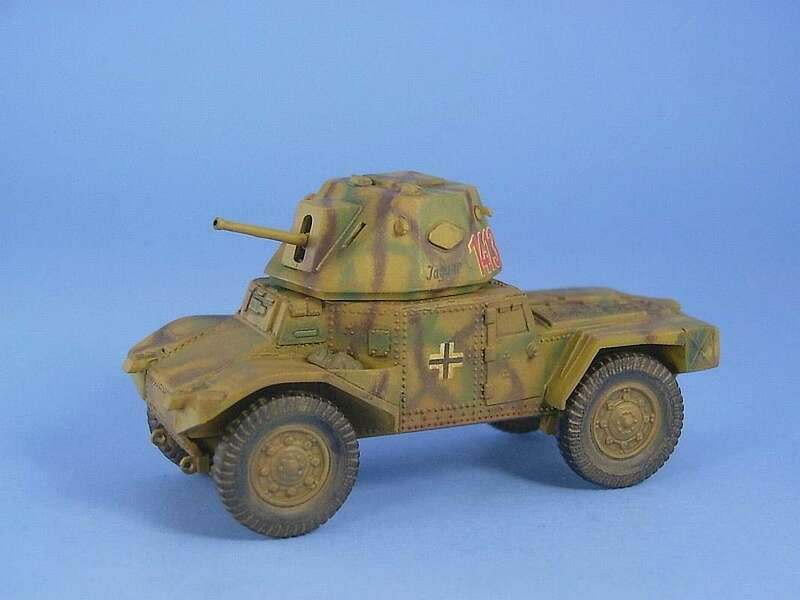 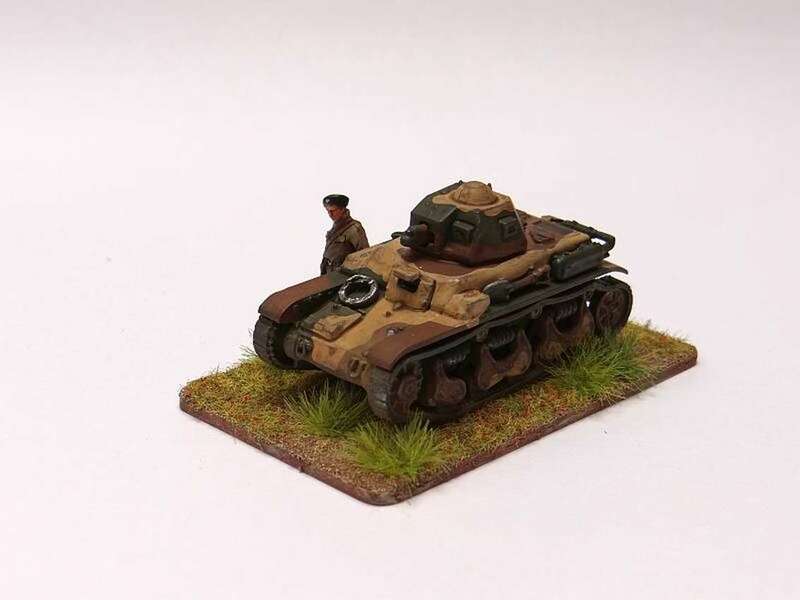 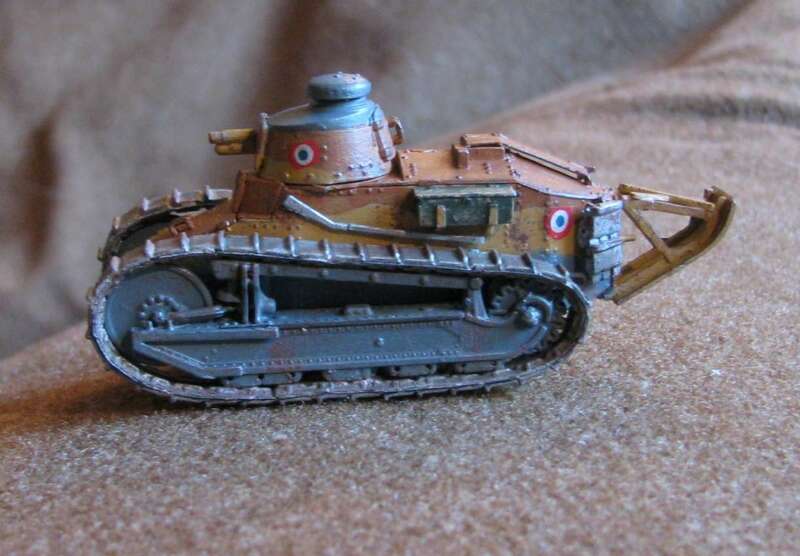 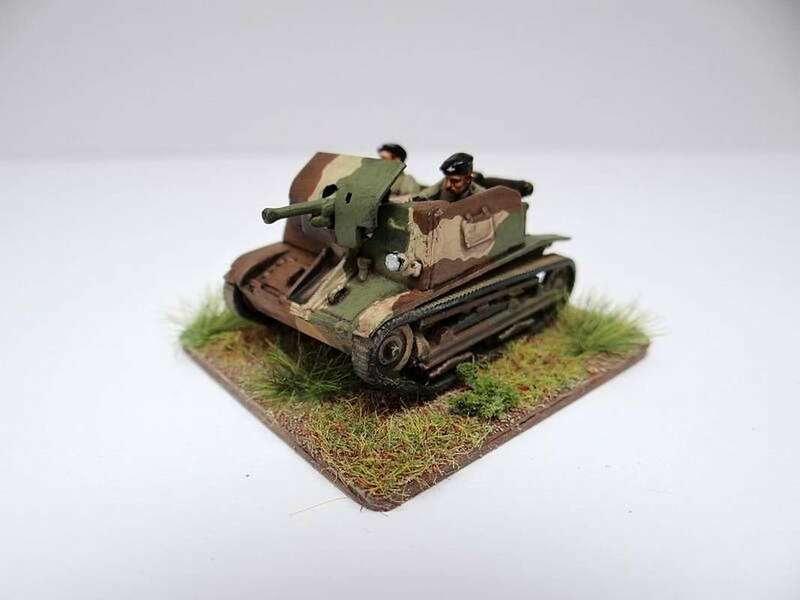 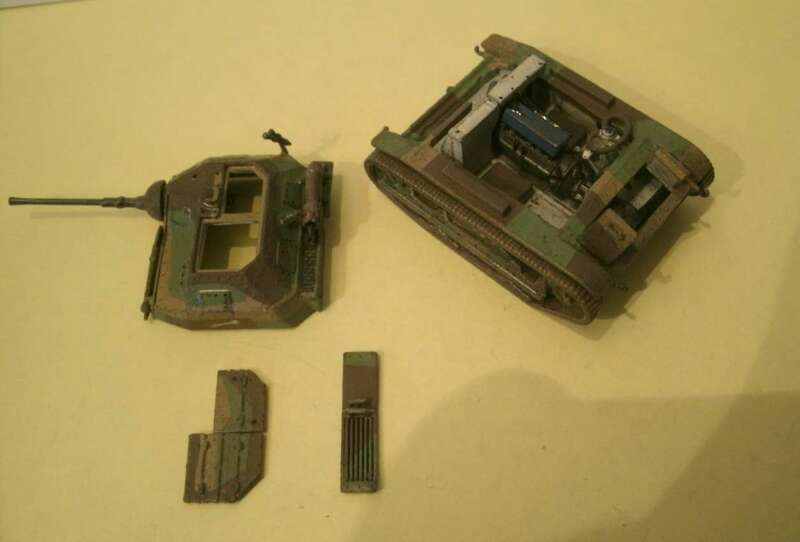 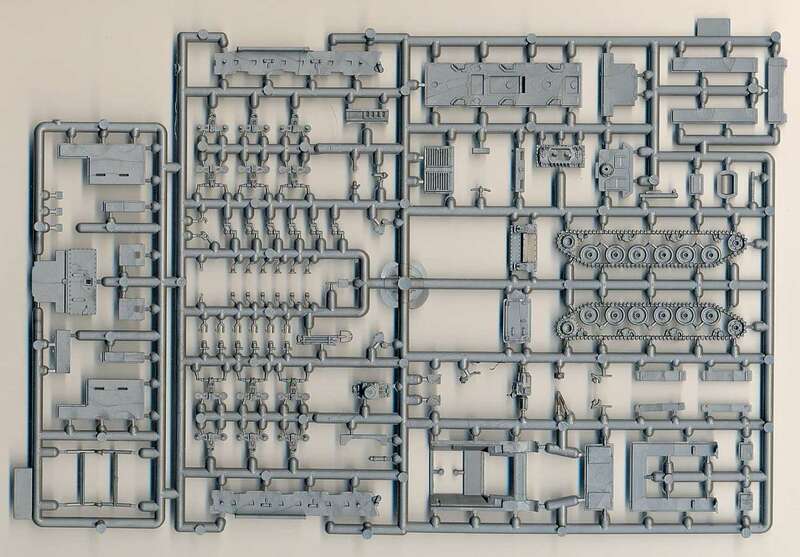 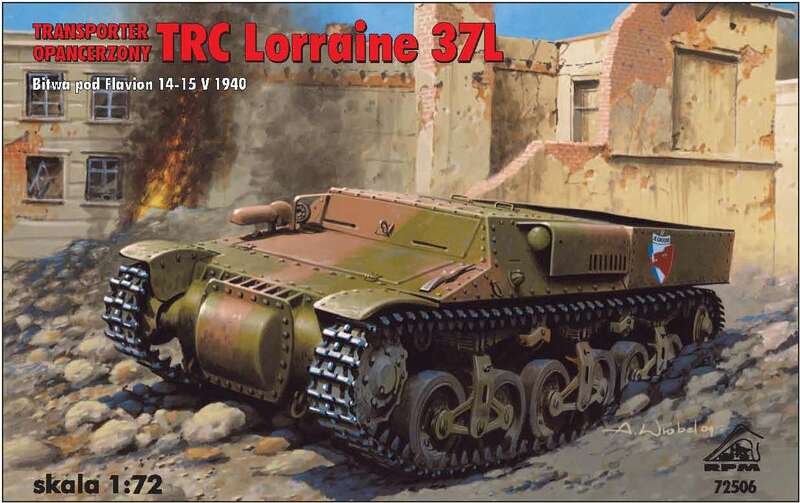 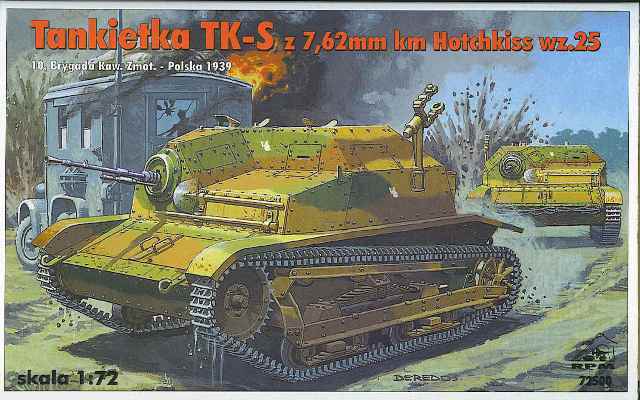 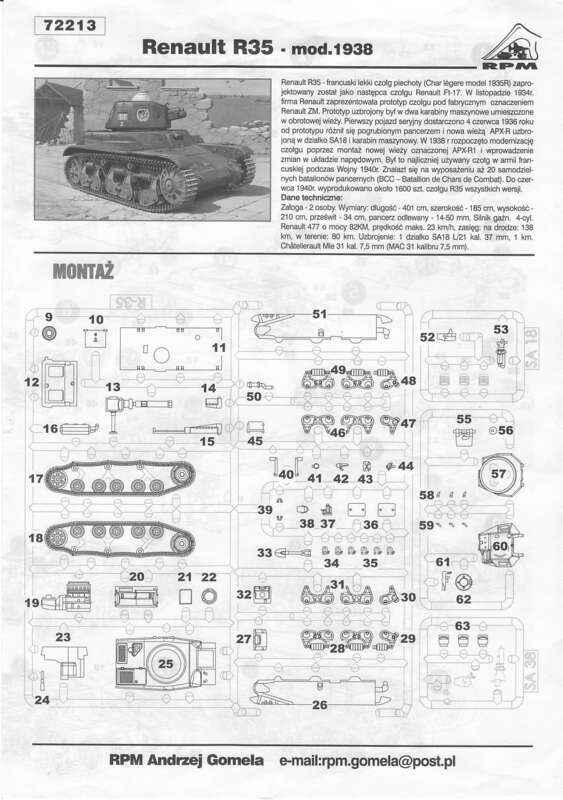 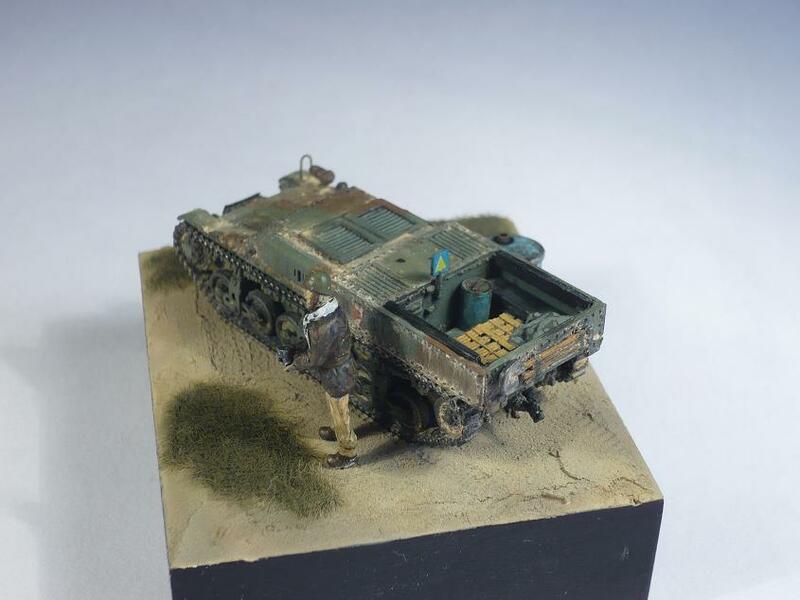 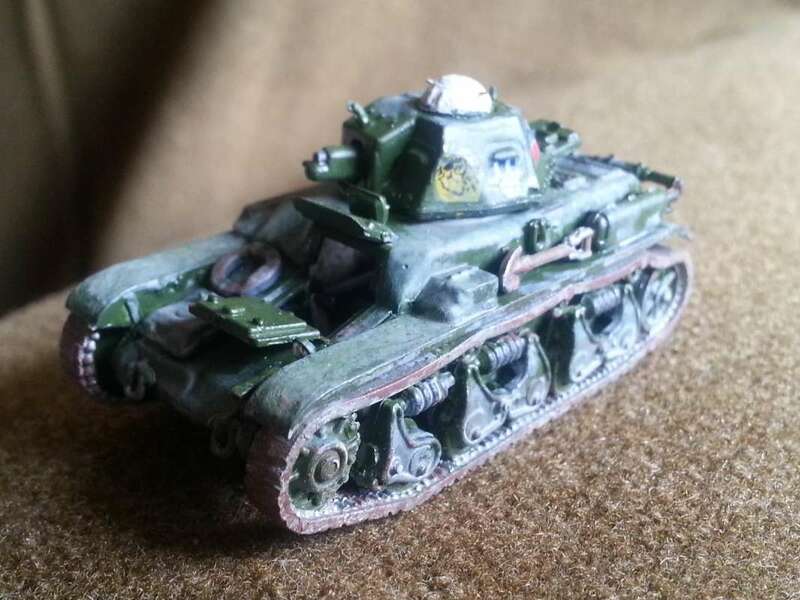 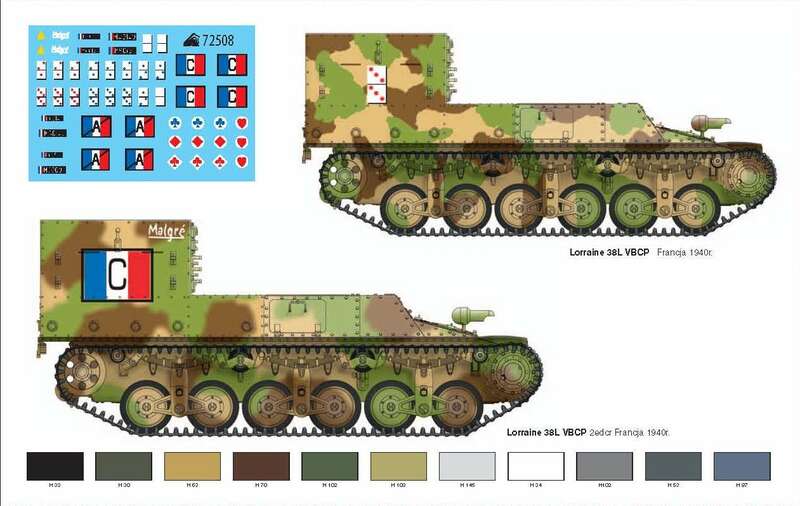 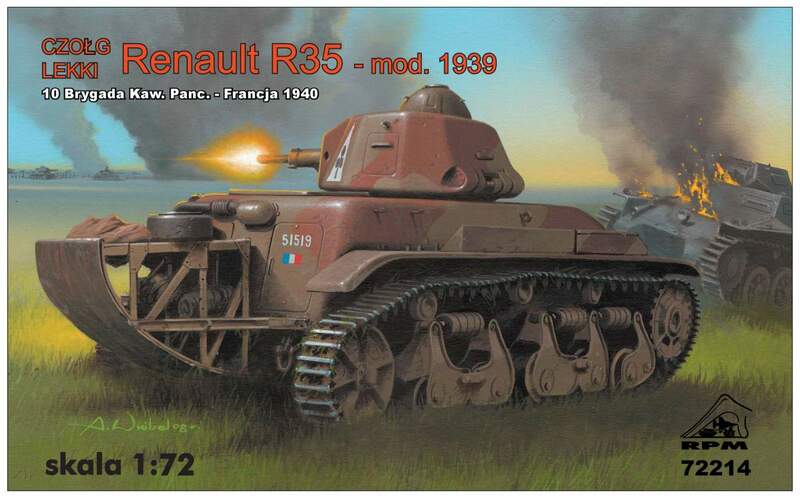 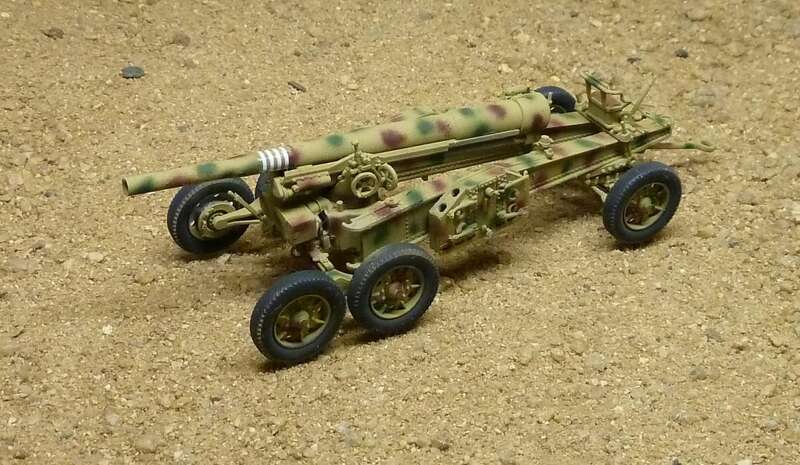 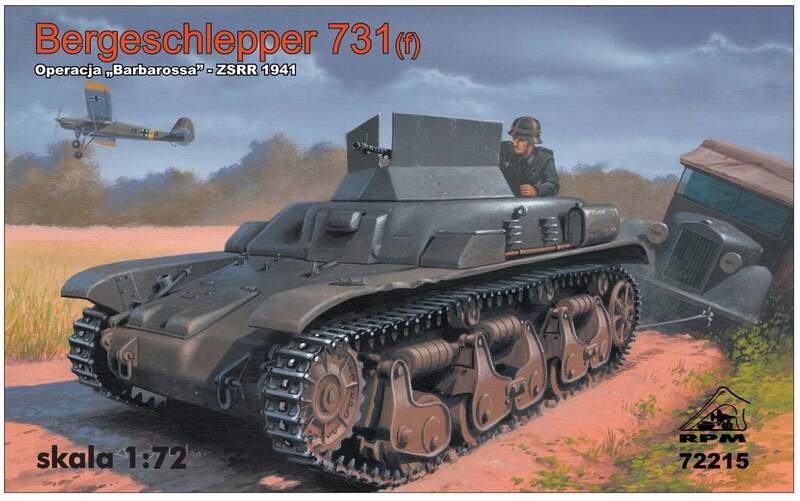 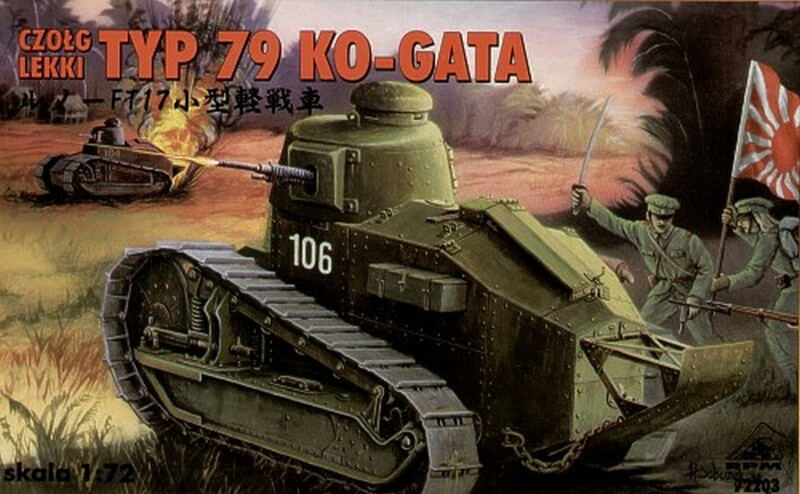 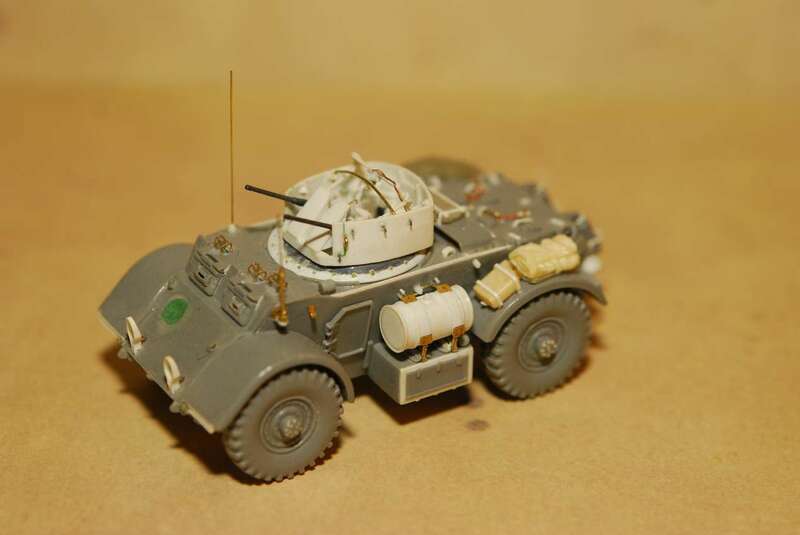 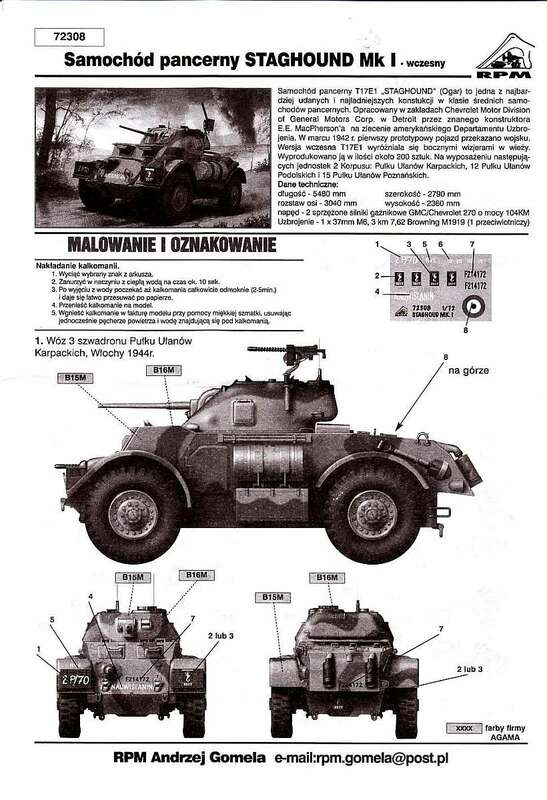 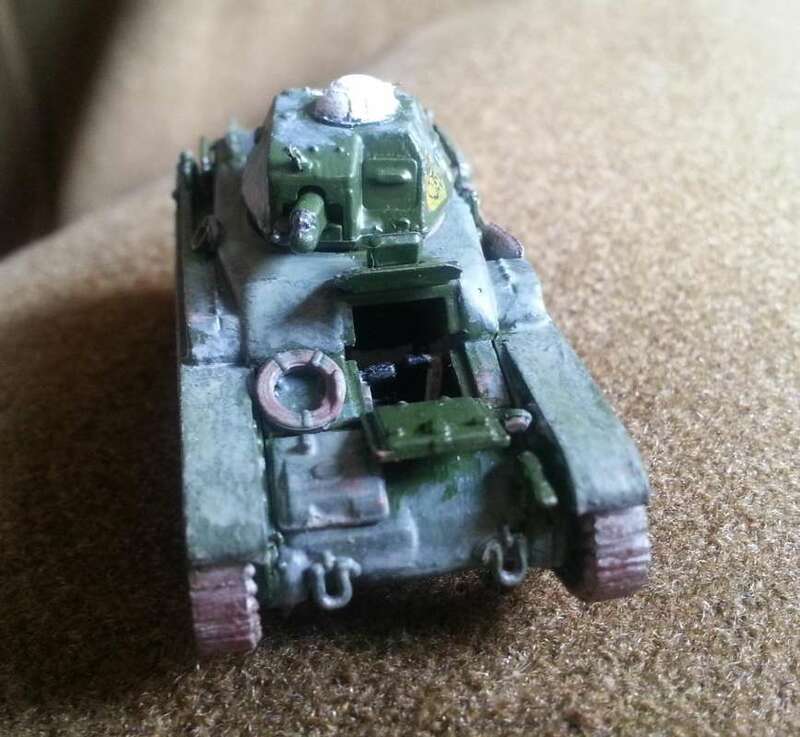 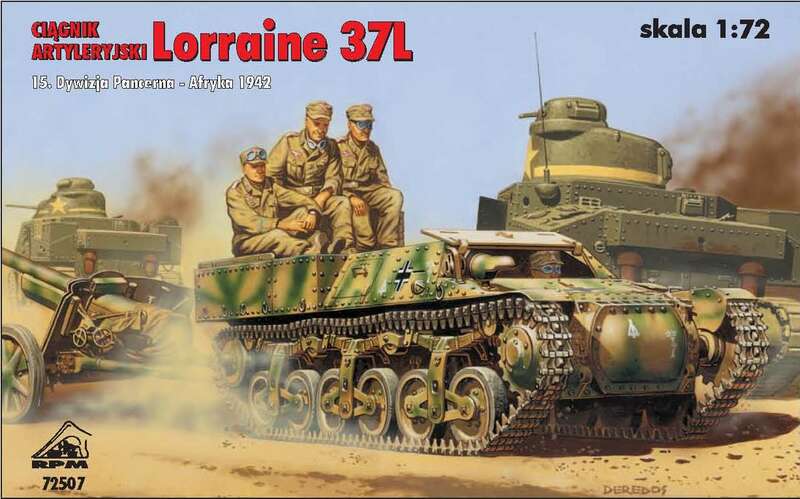 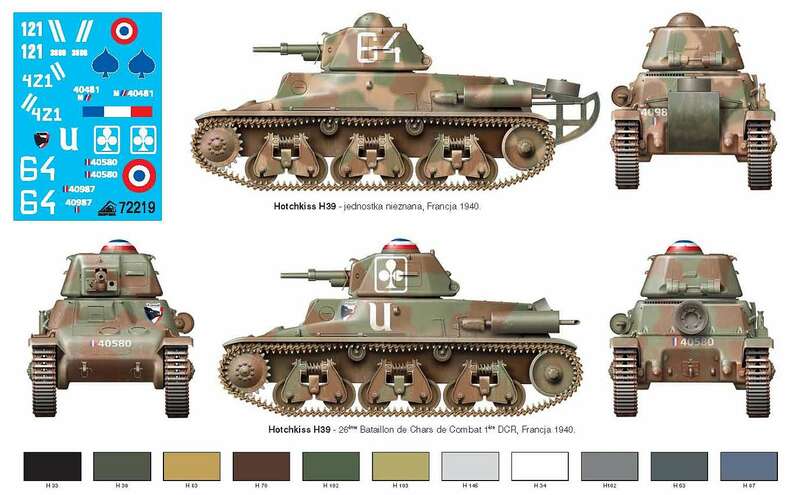 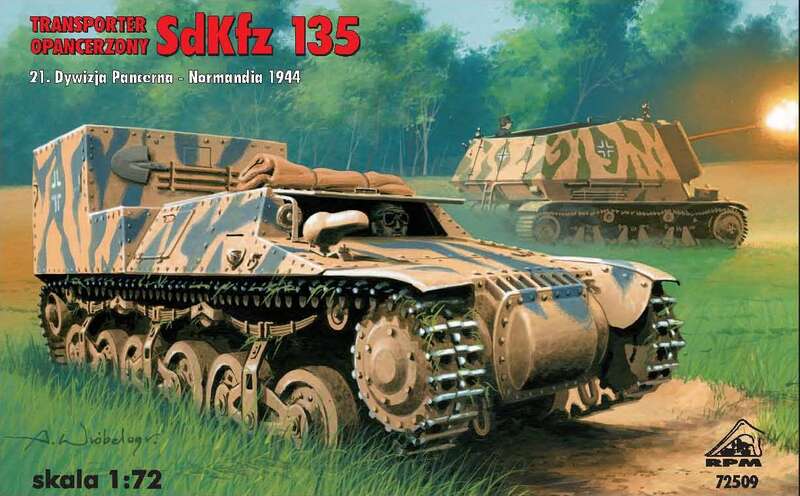 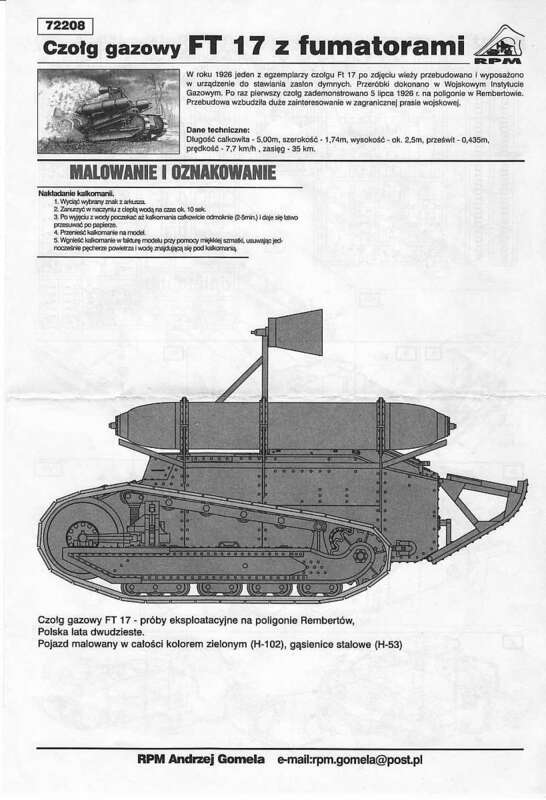 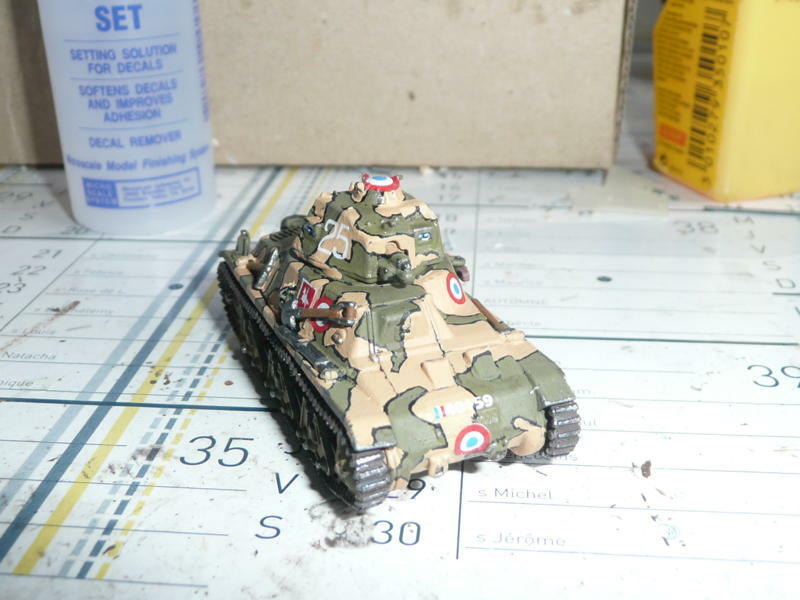 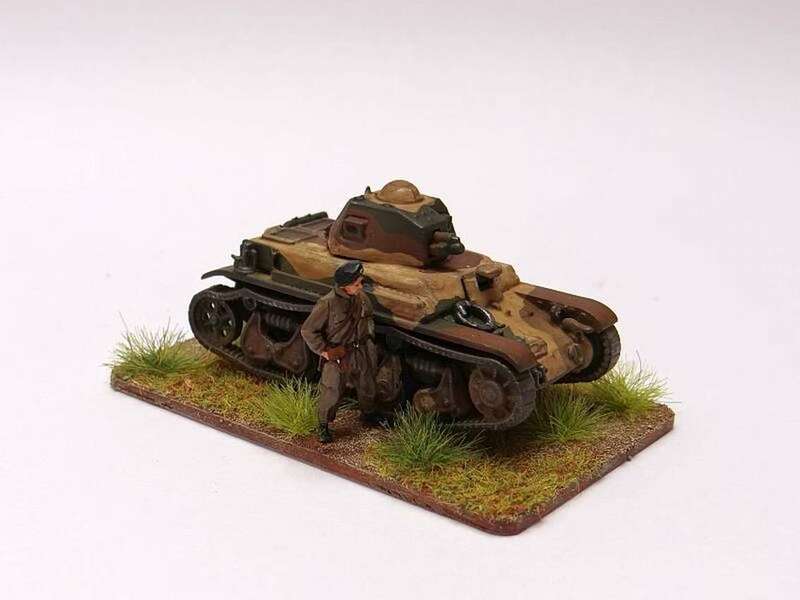 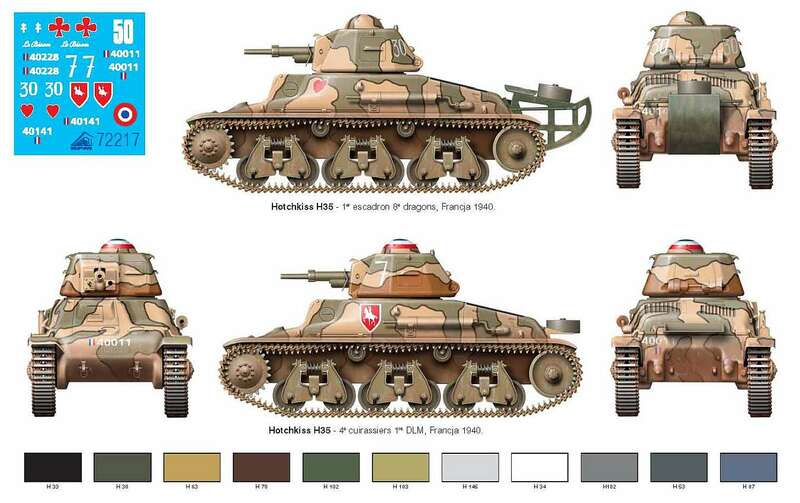 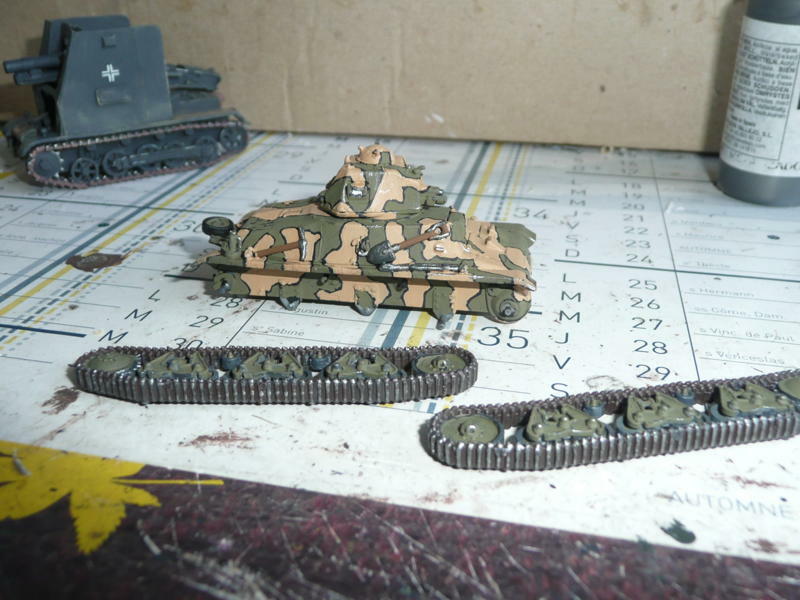 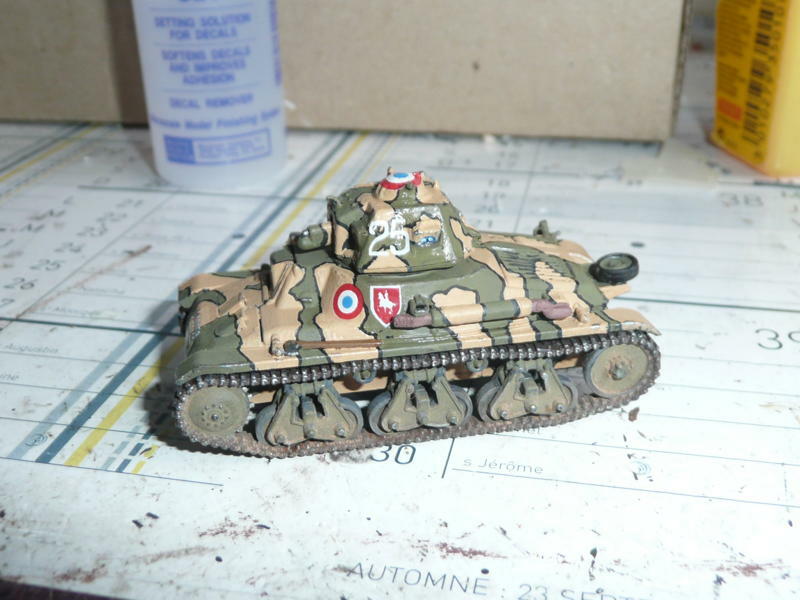 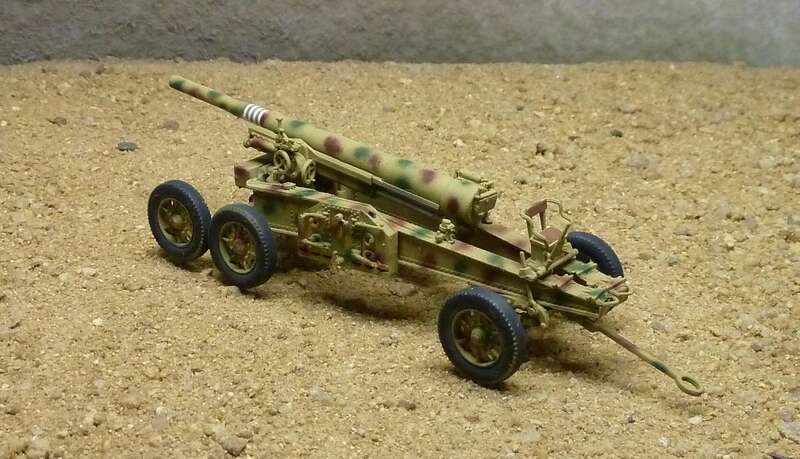 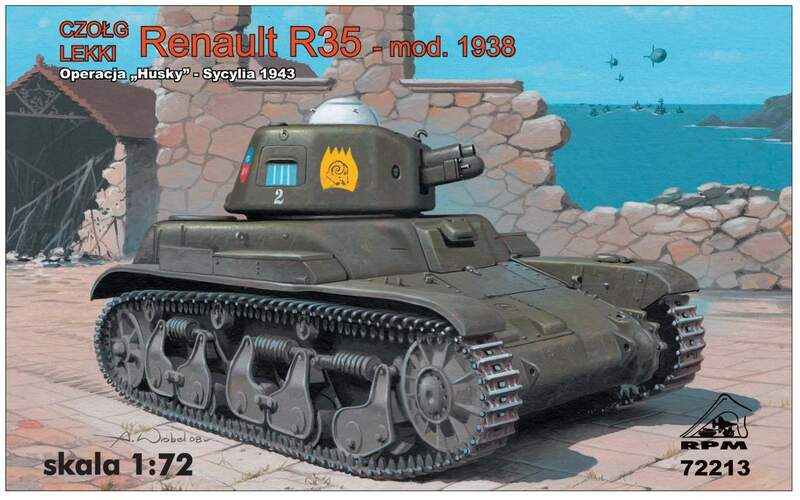 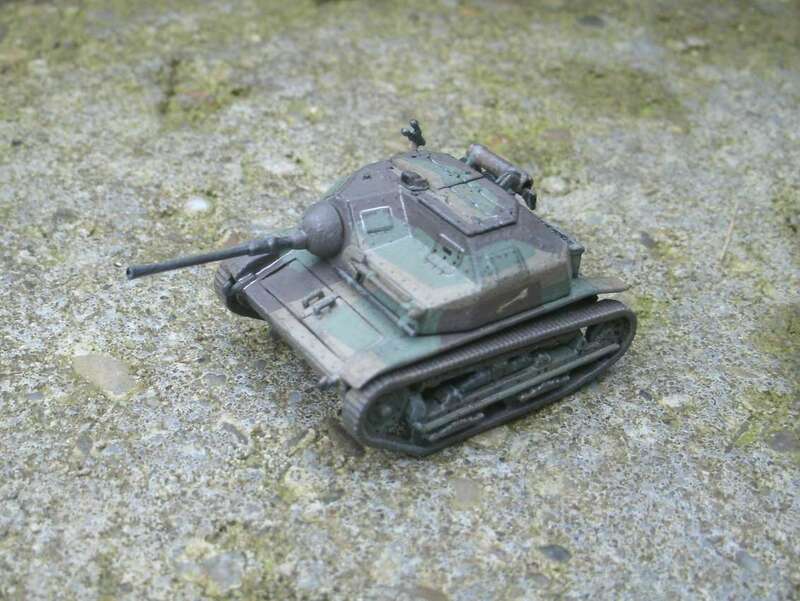 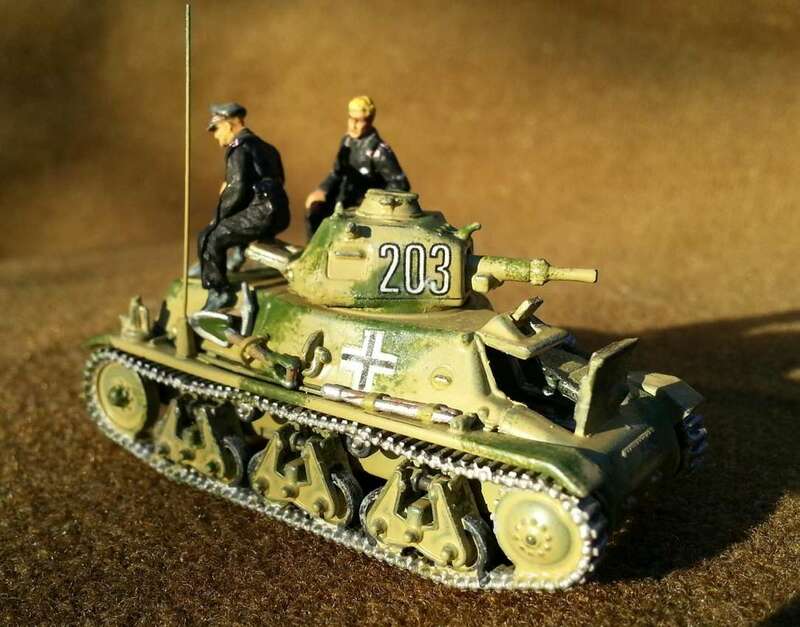 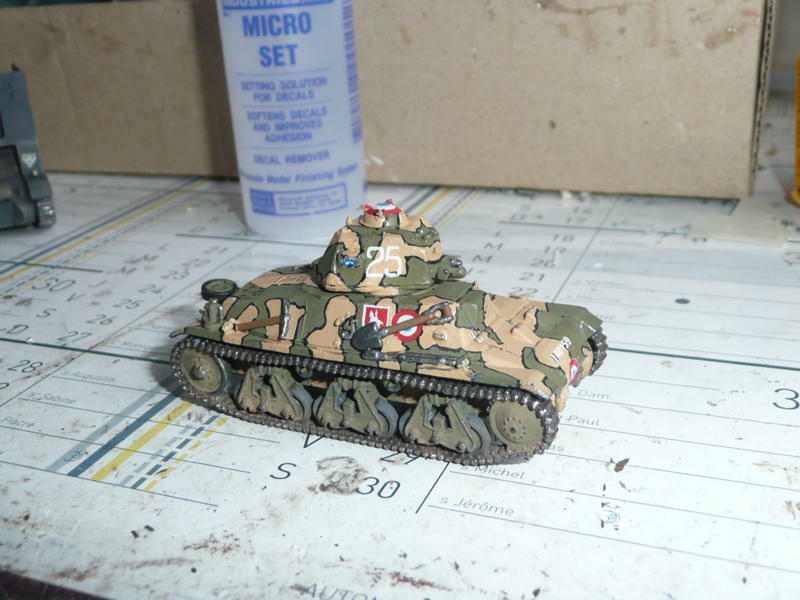 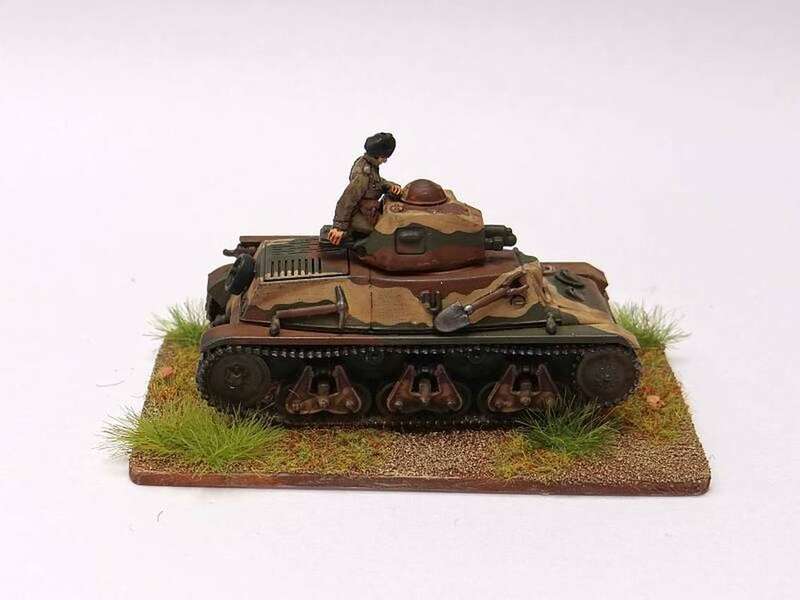 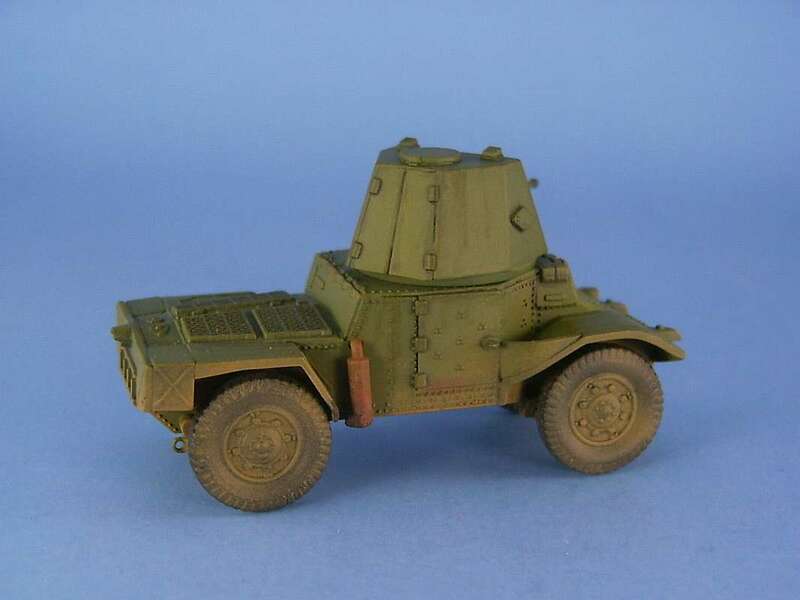 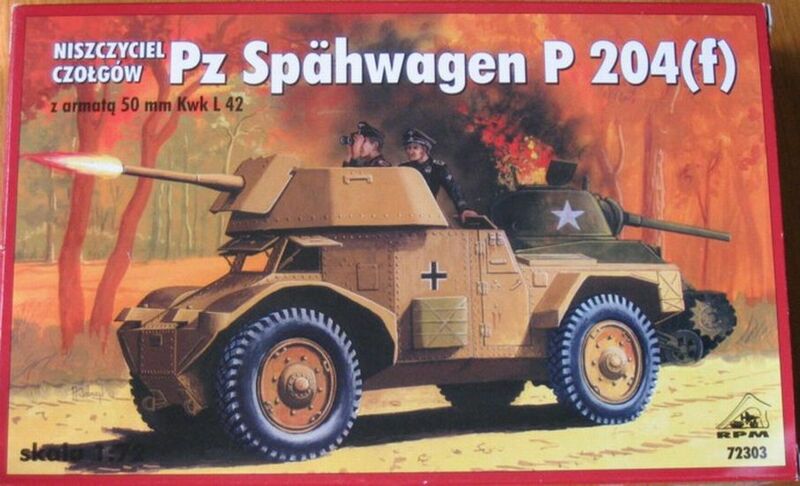 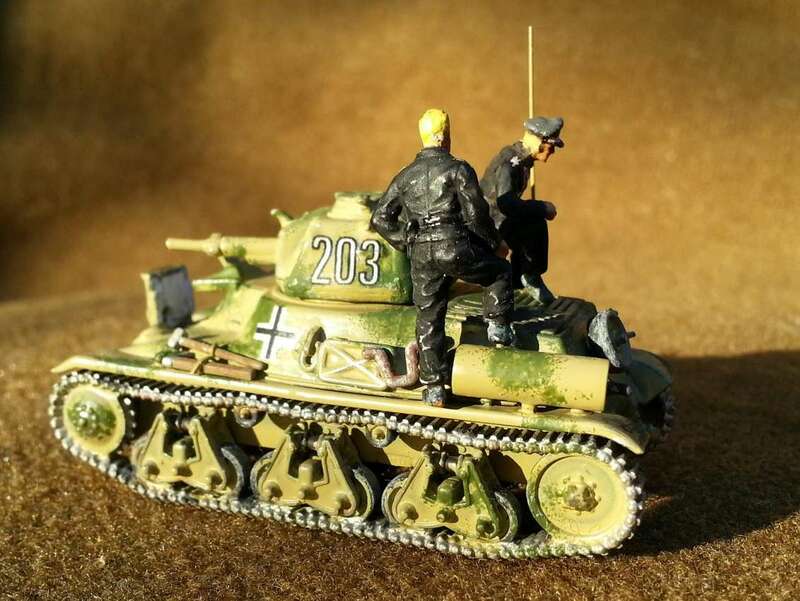 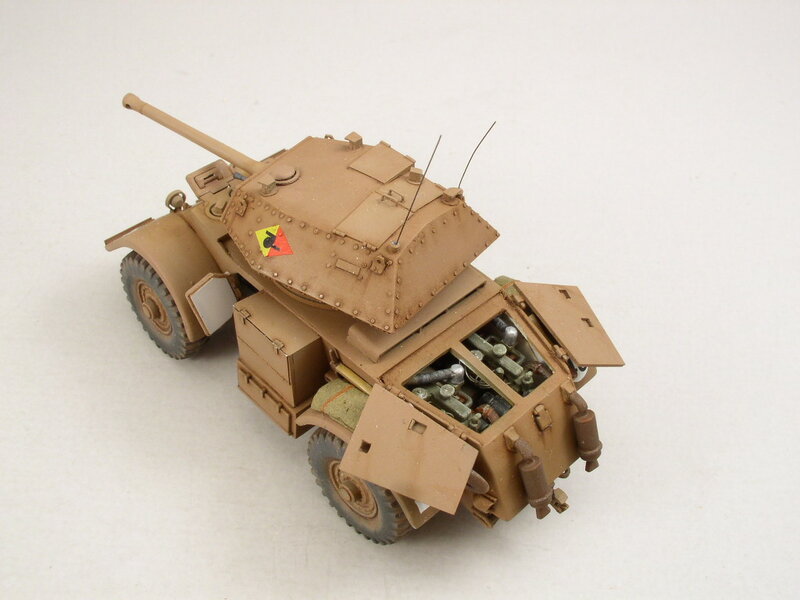 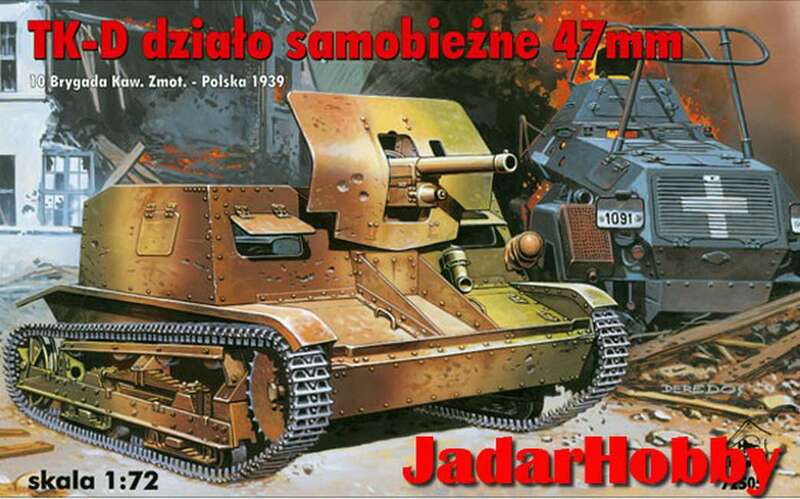 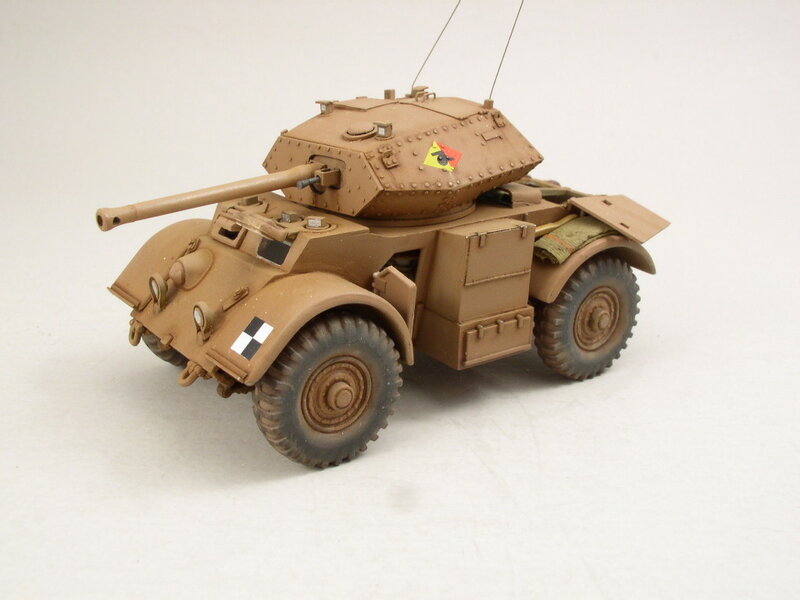 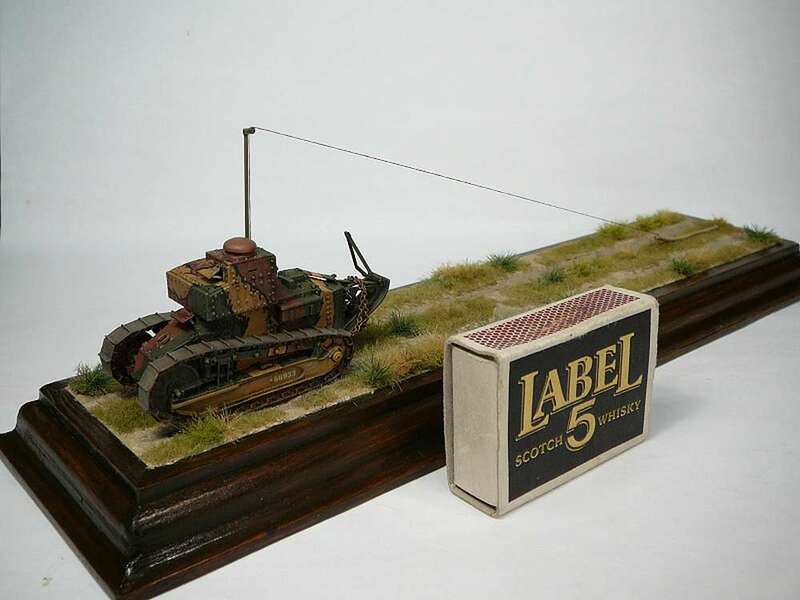 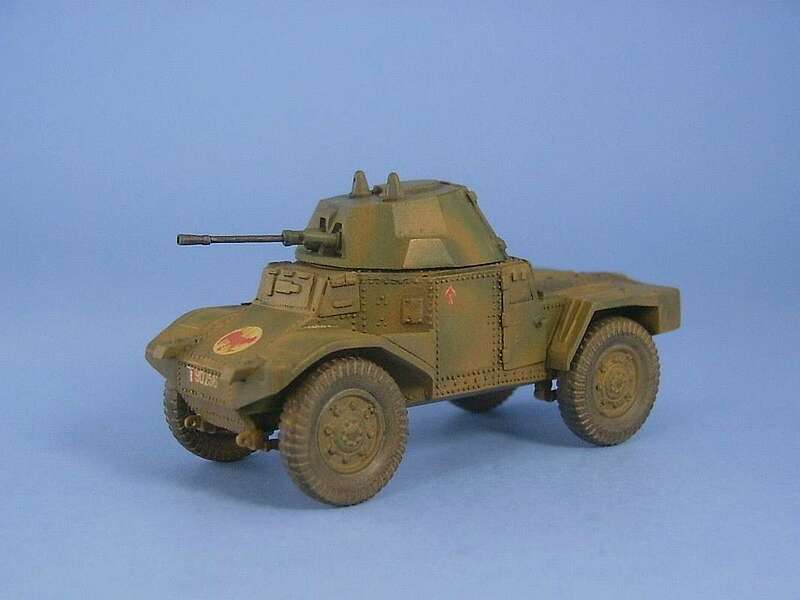 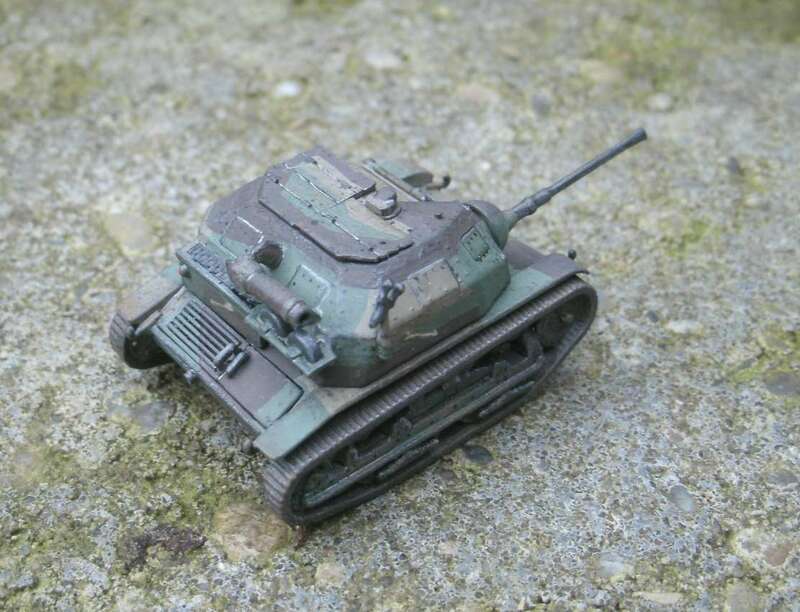 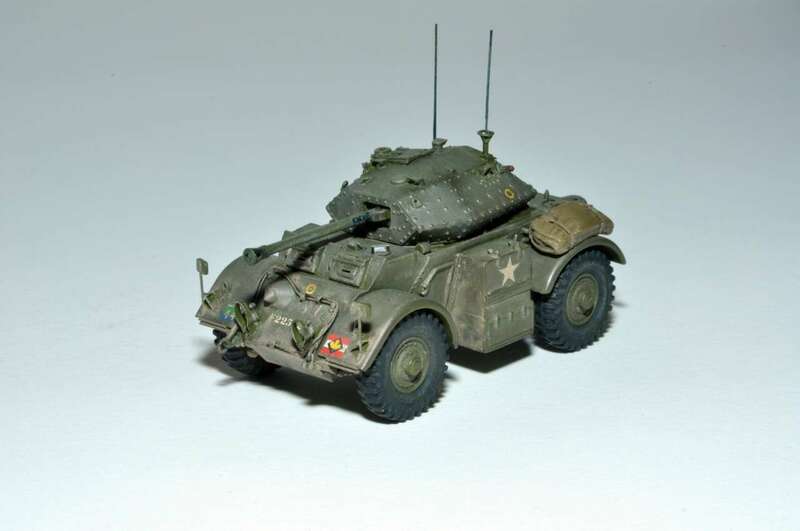 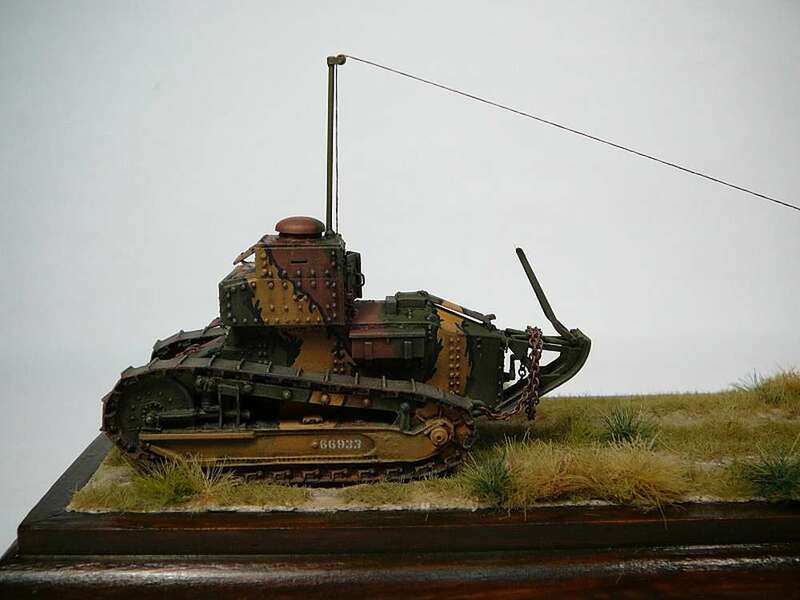 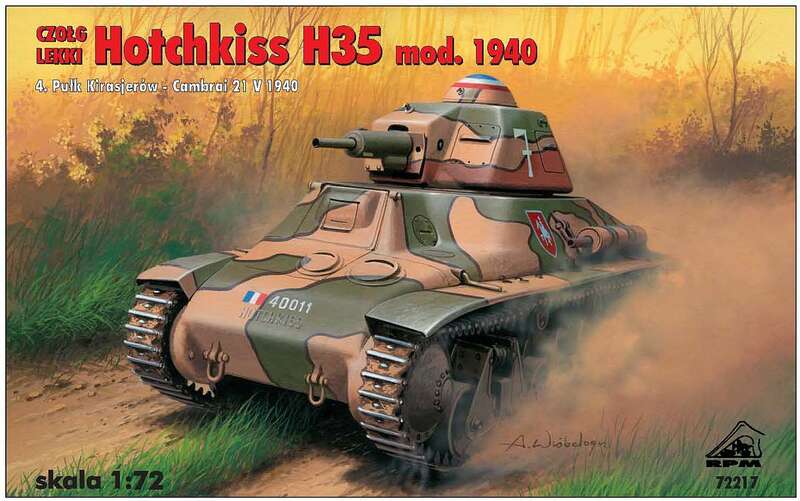 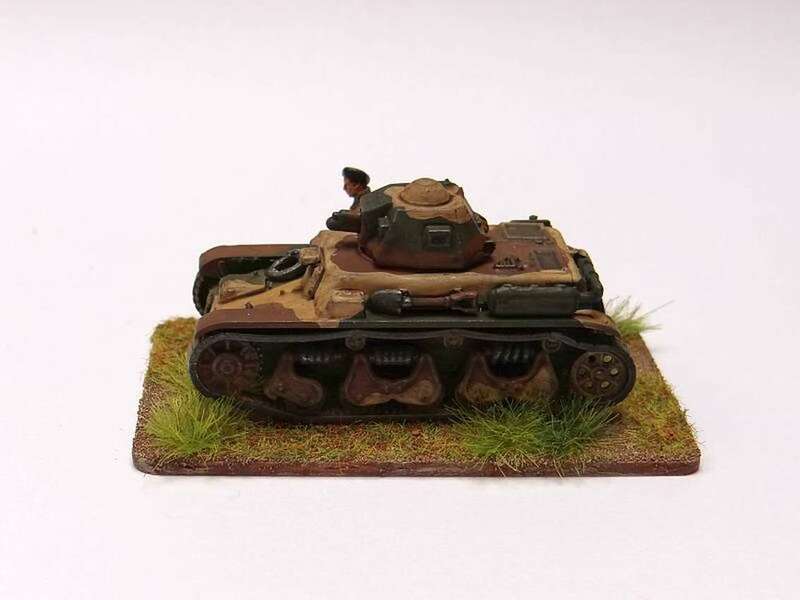 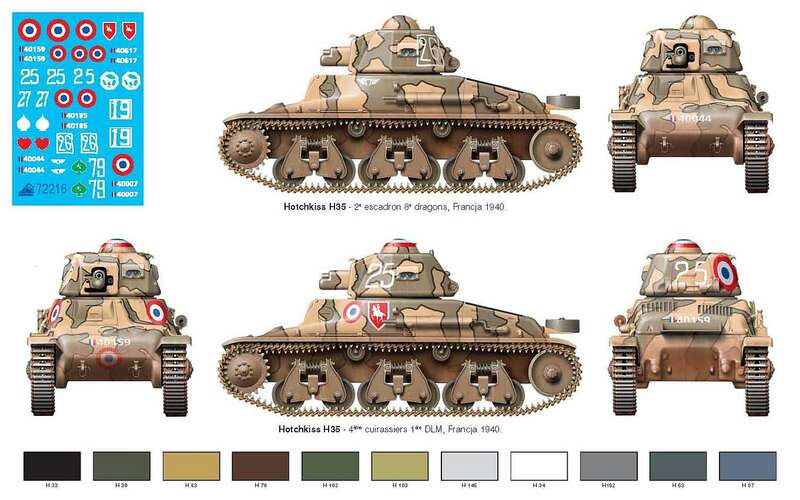 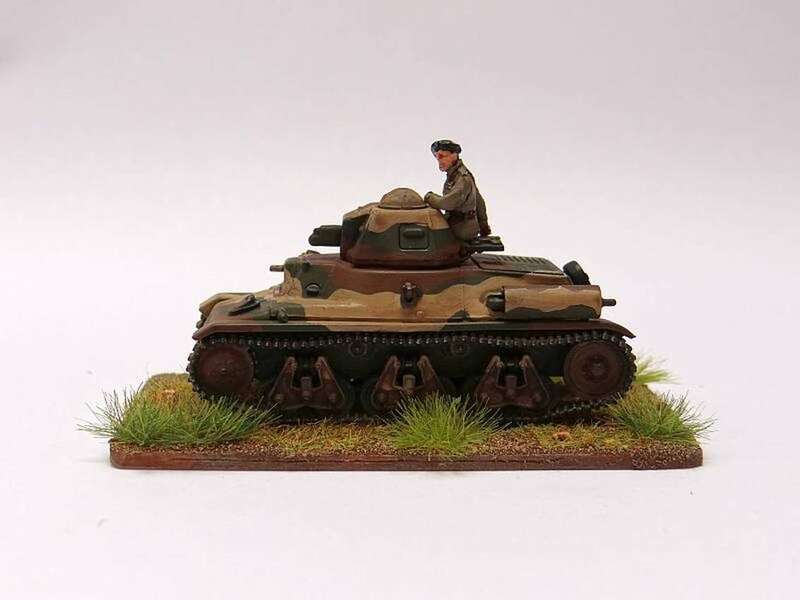 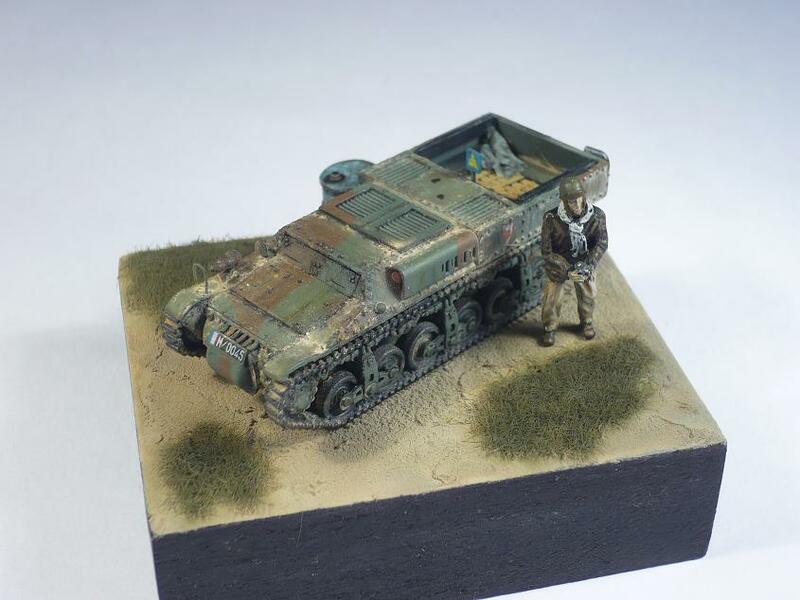 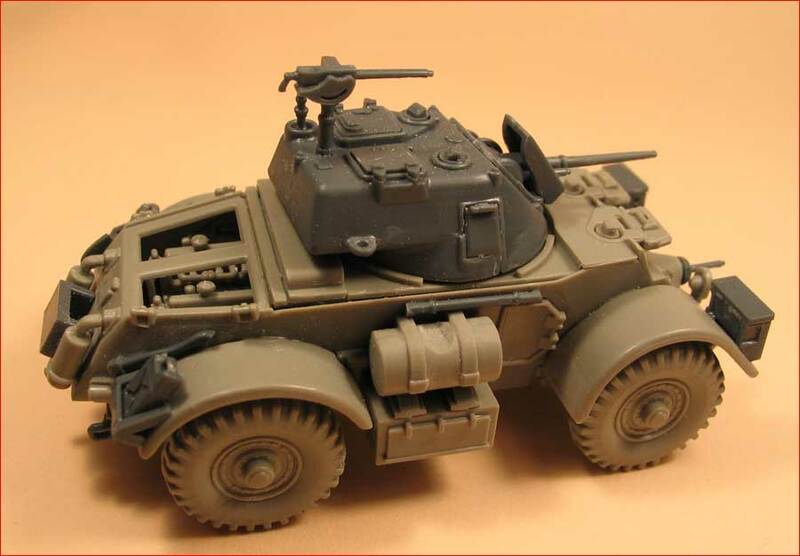 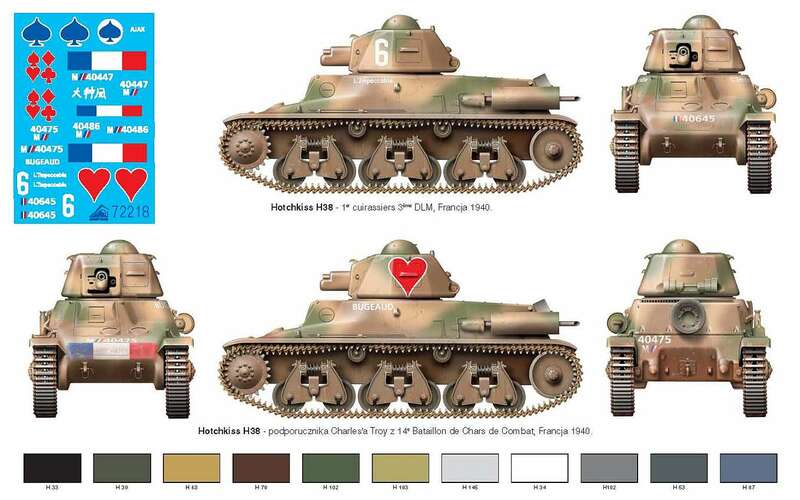 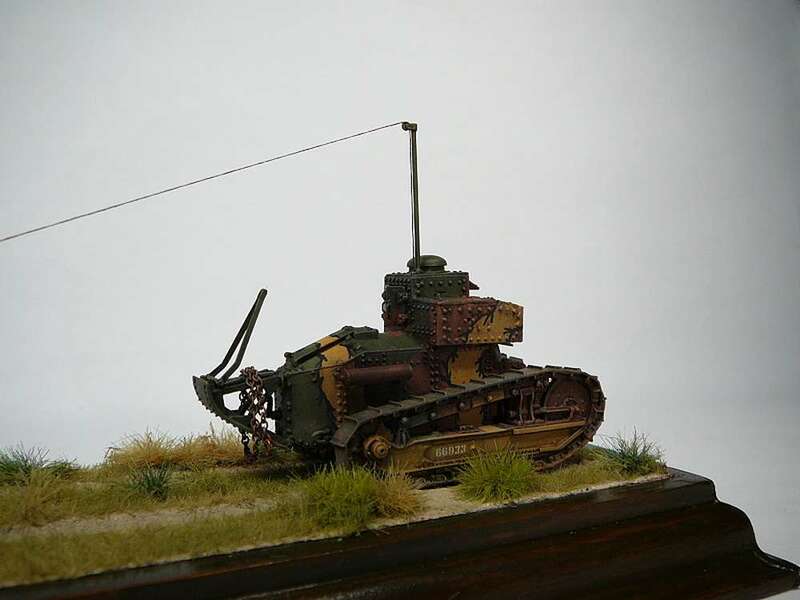 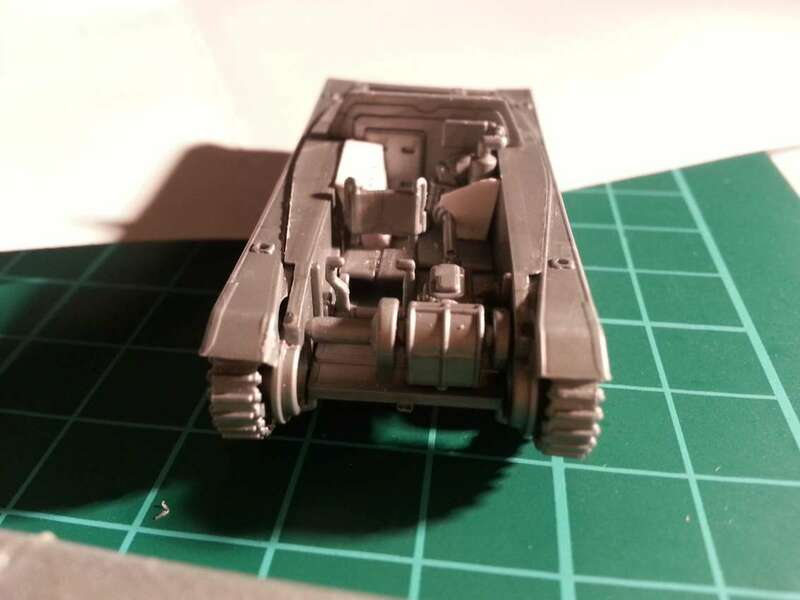 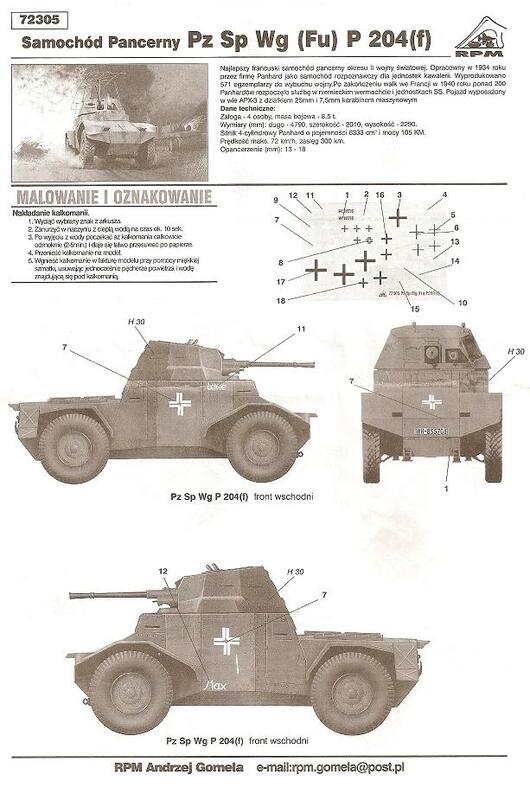 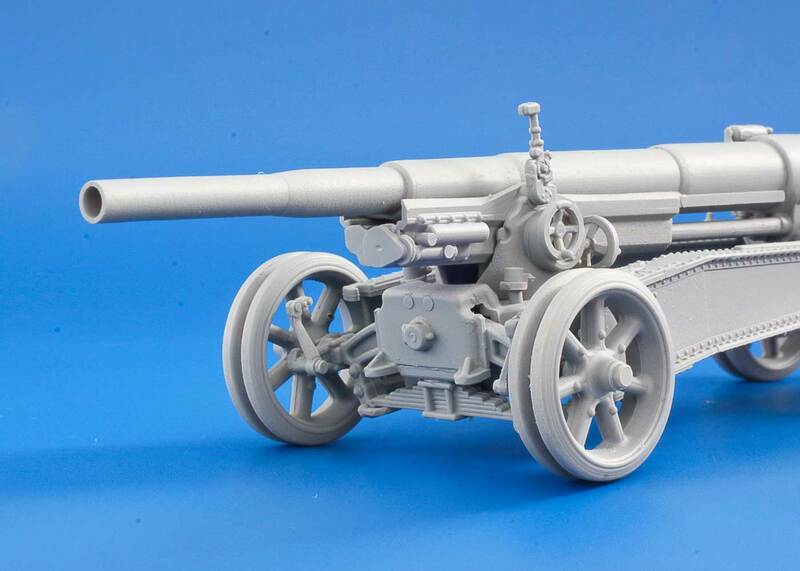 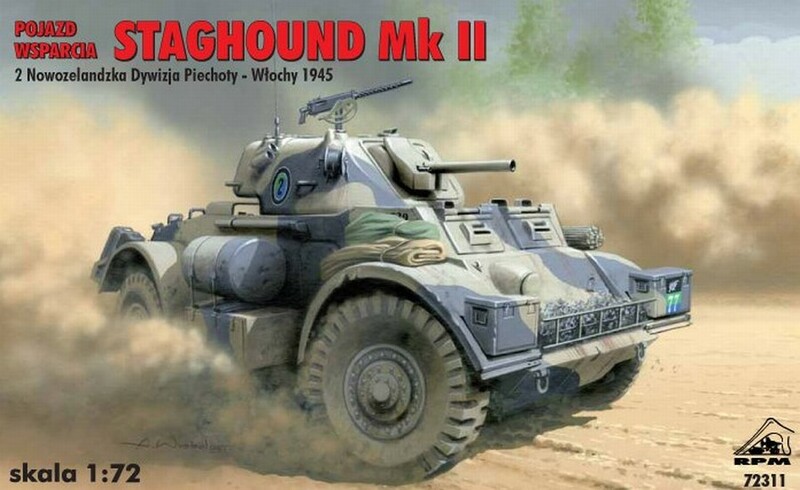 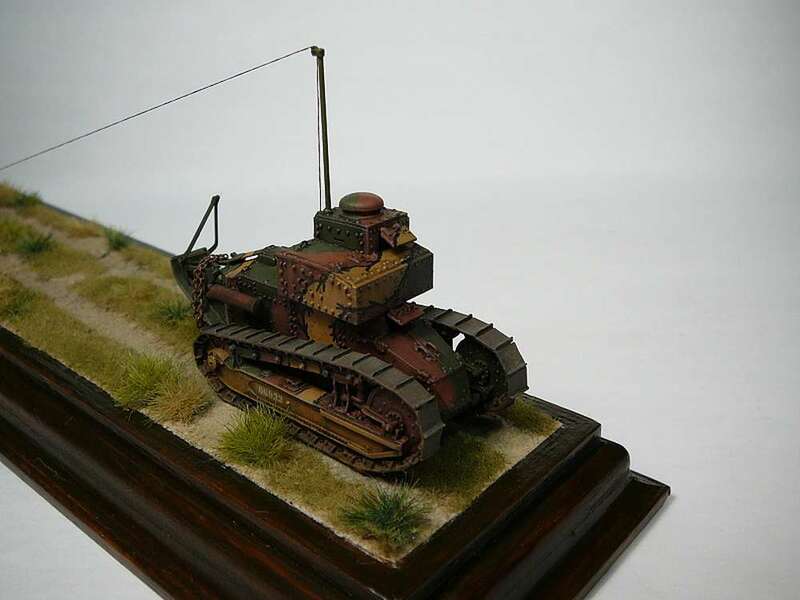 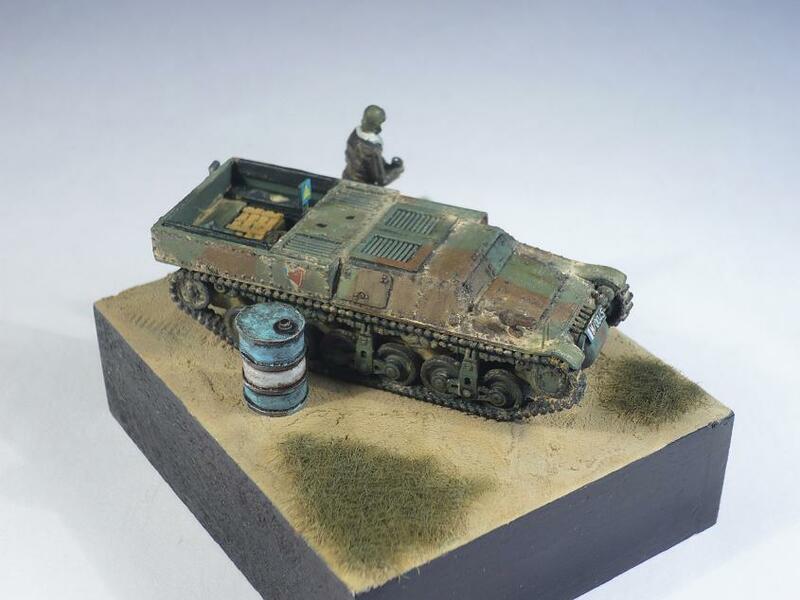 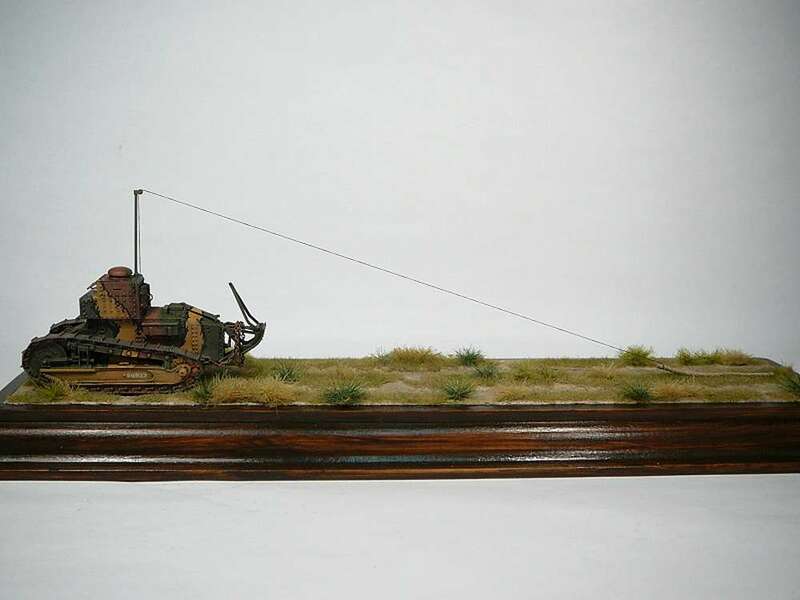 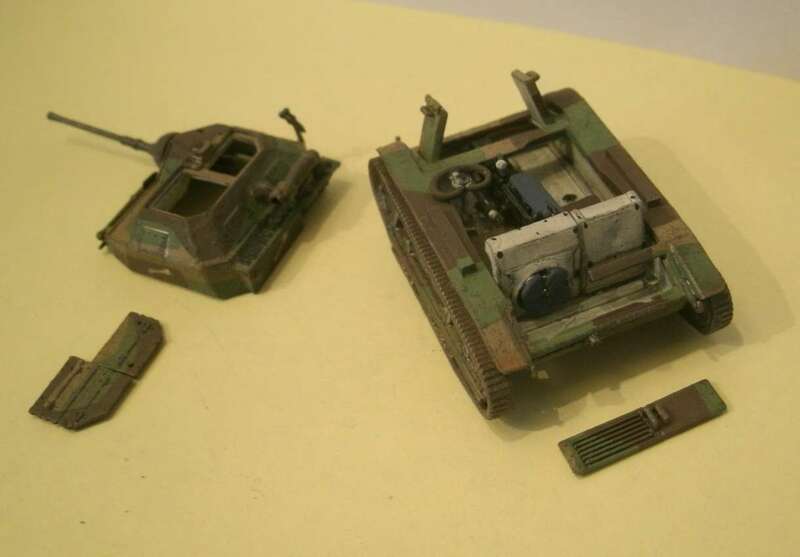 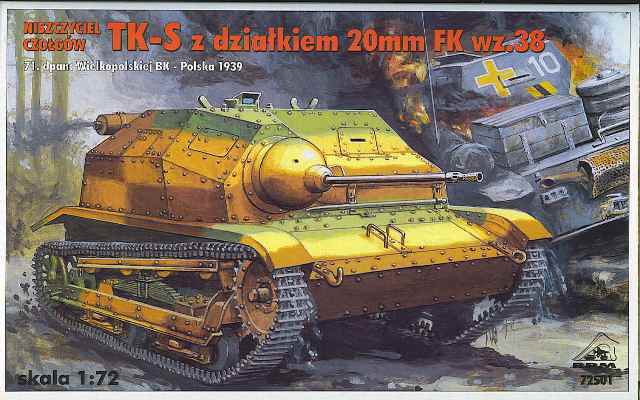 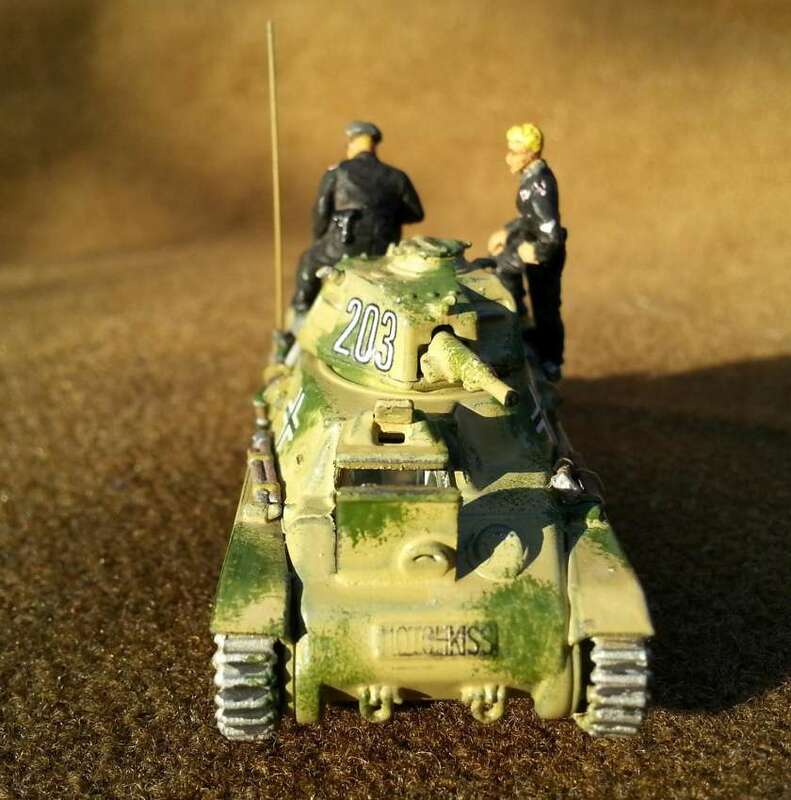 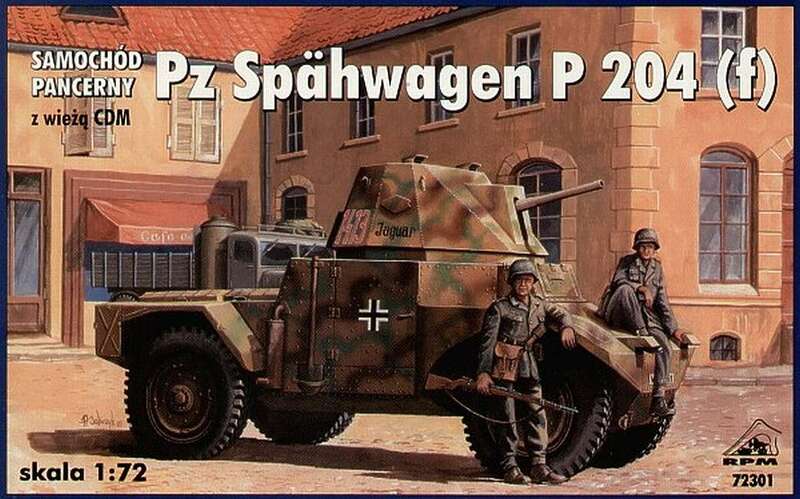 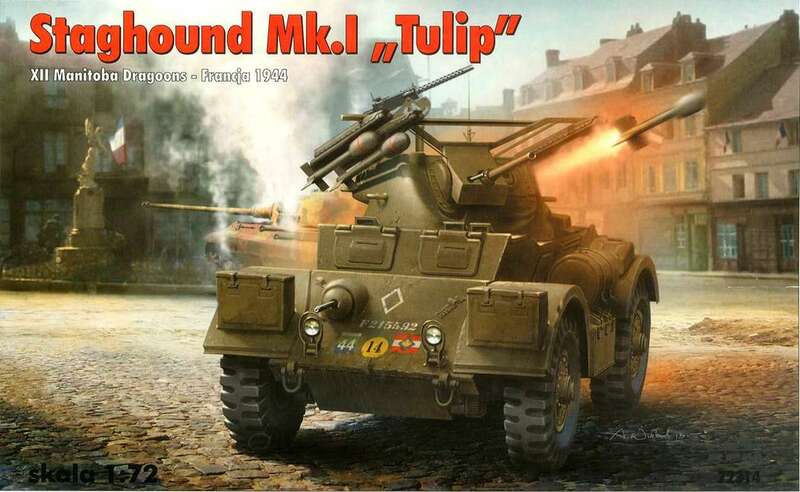 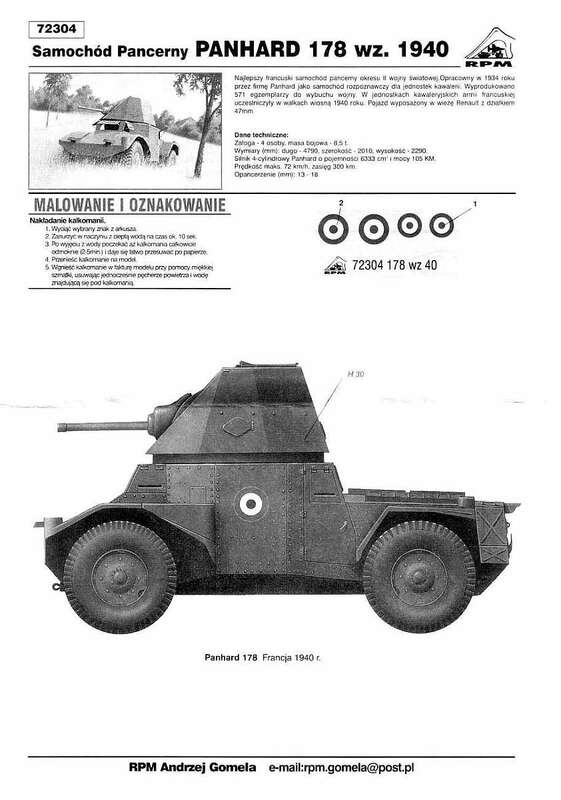 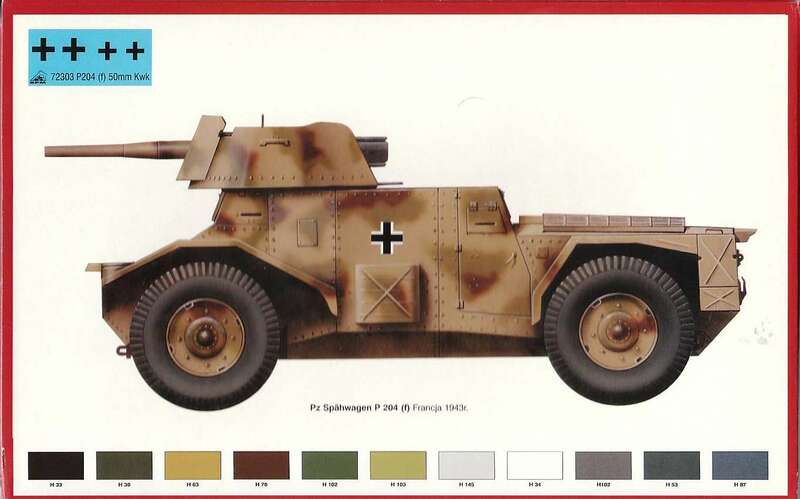 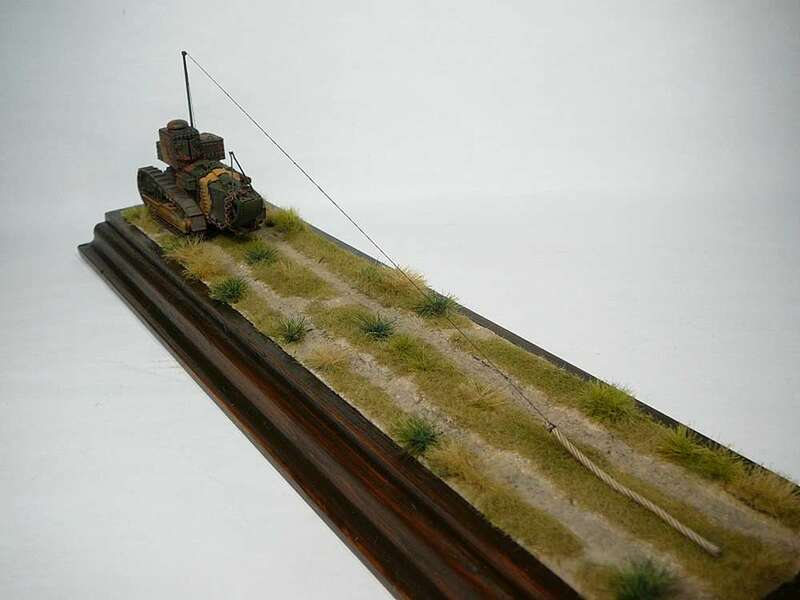 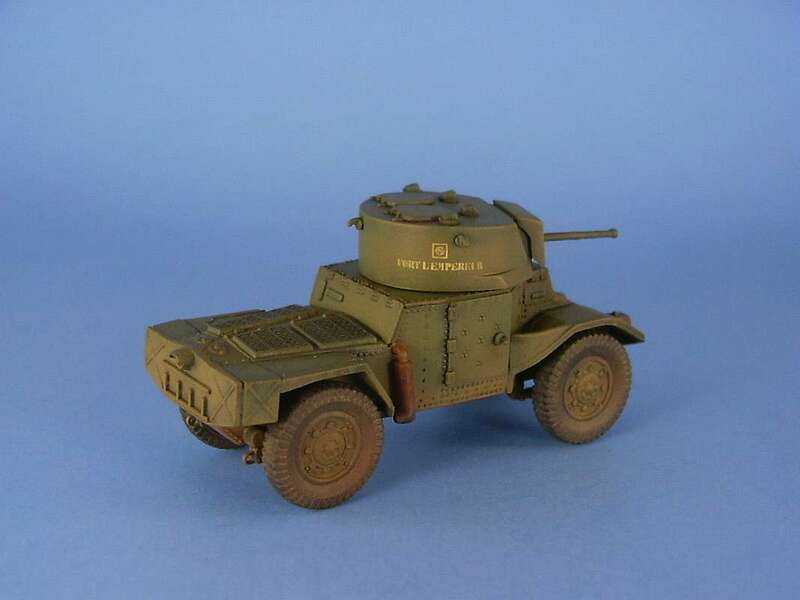 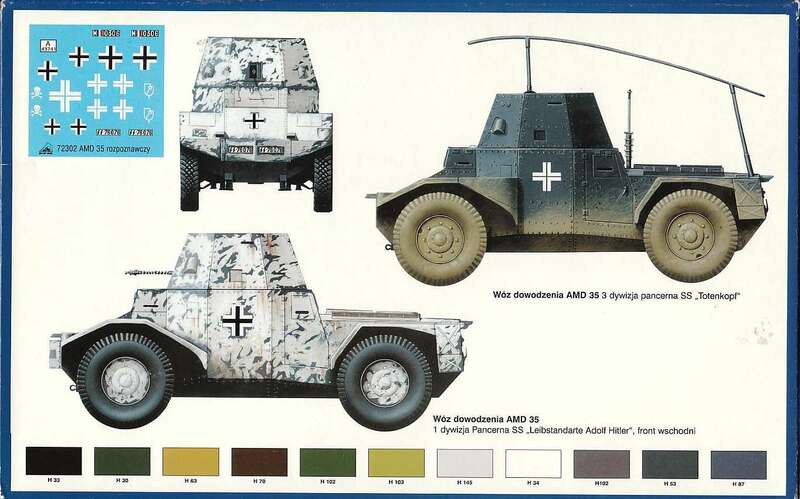 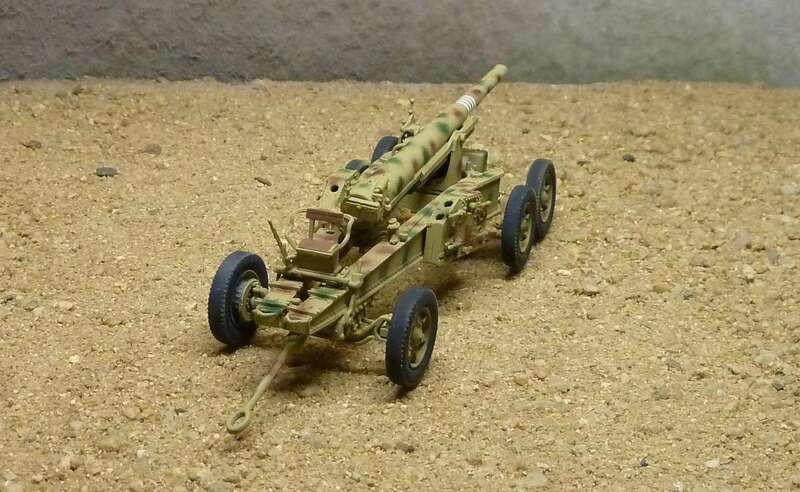 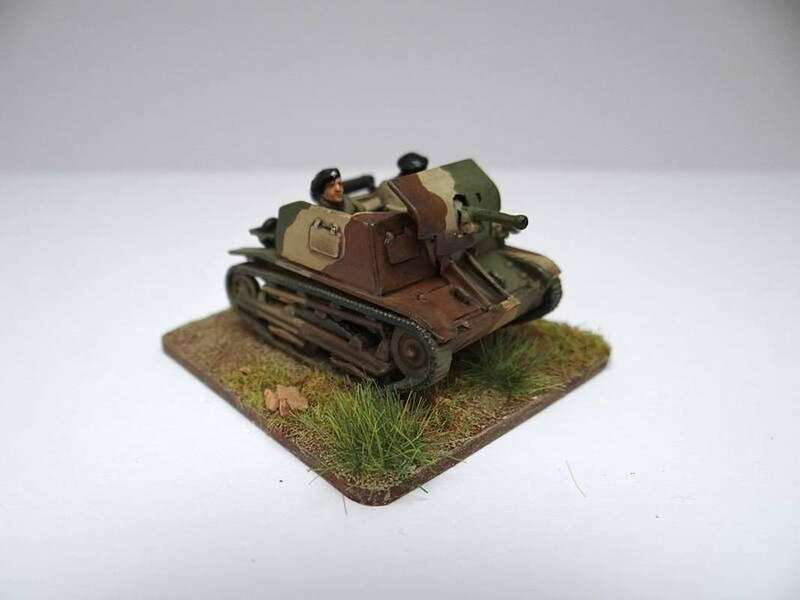 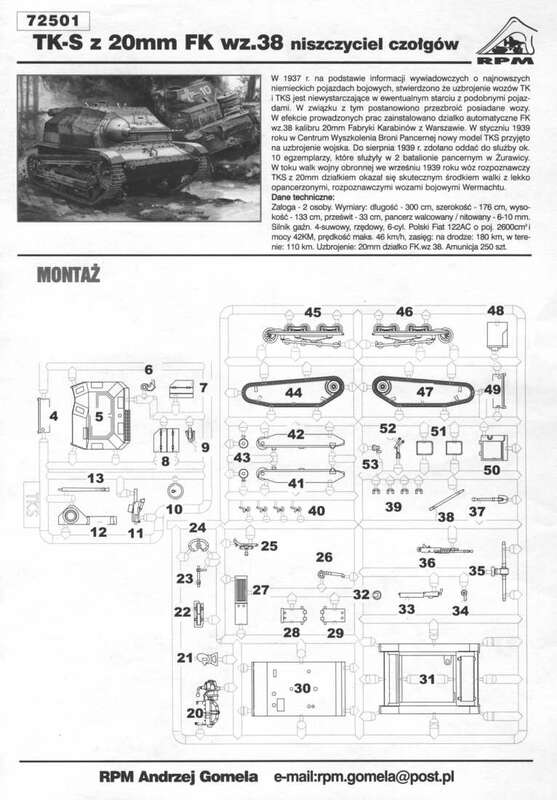 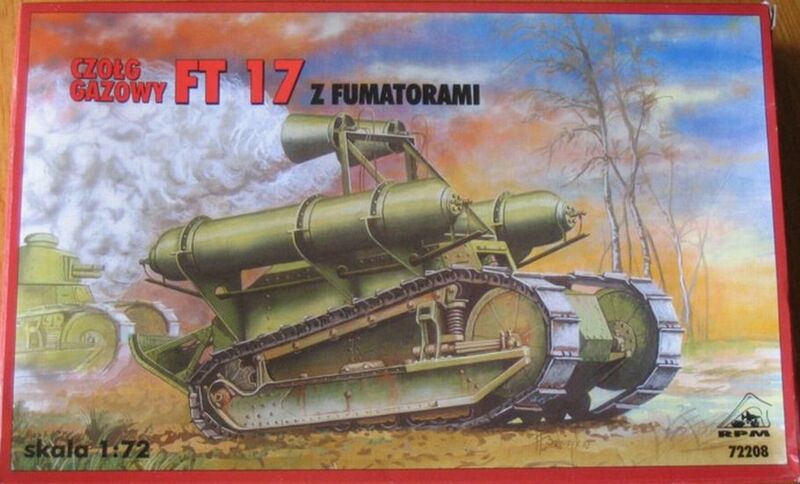 Kit 72314 - Staghound Mk I "Tulip"